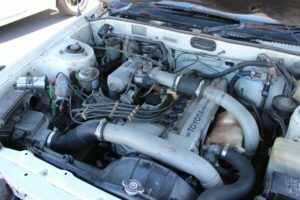 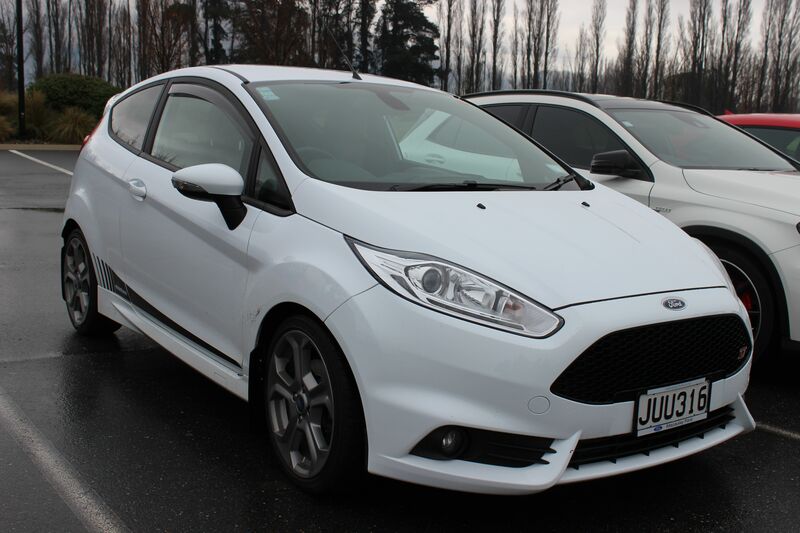 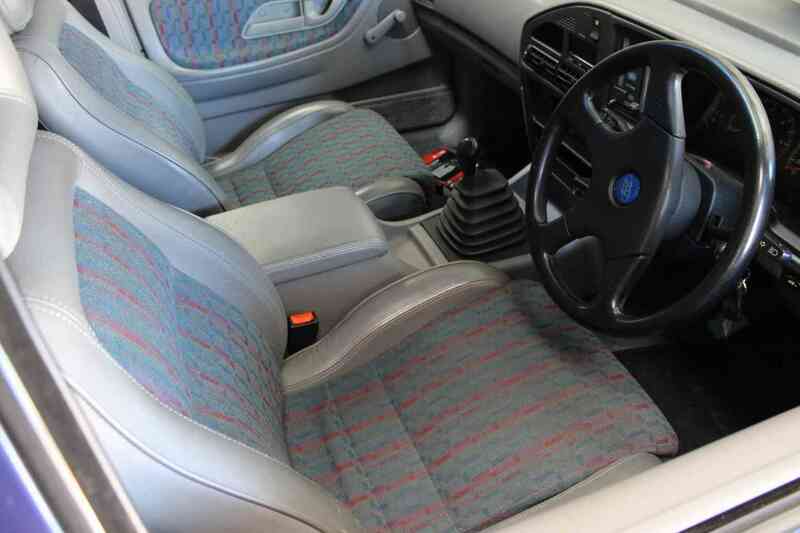 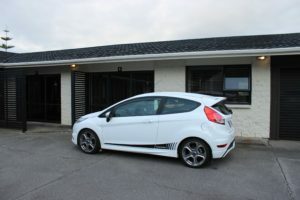 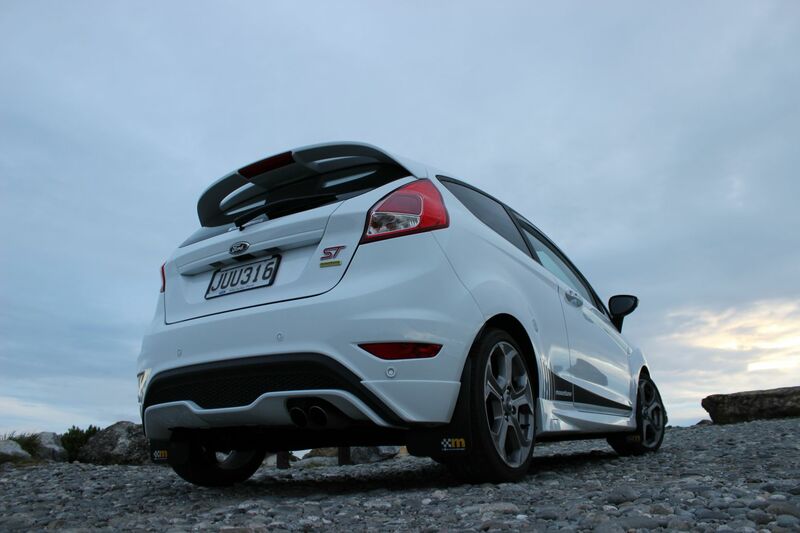 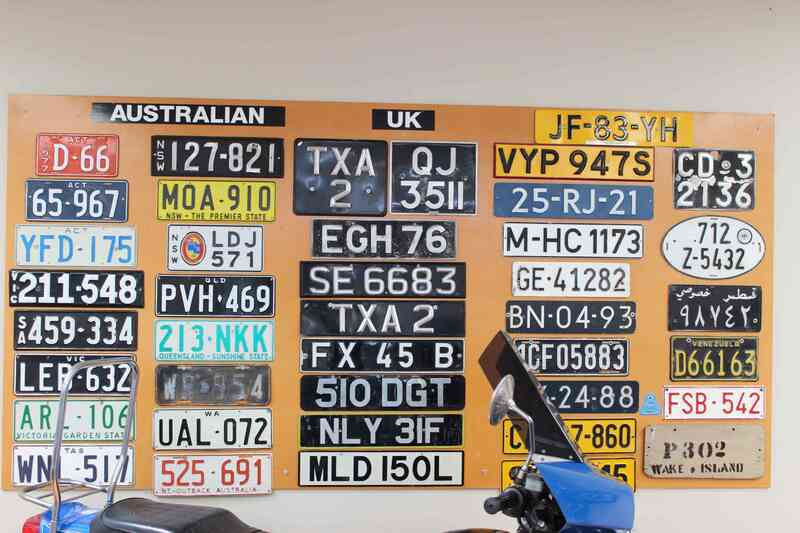 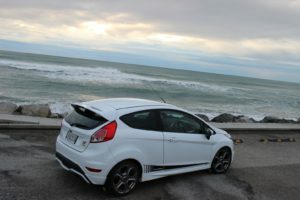 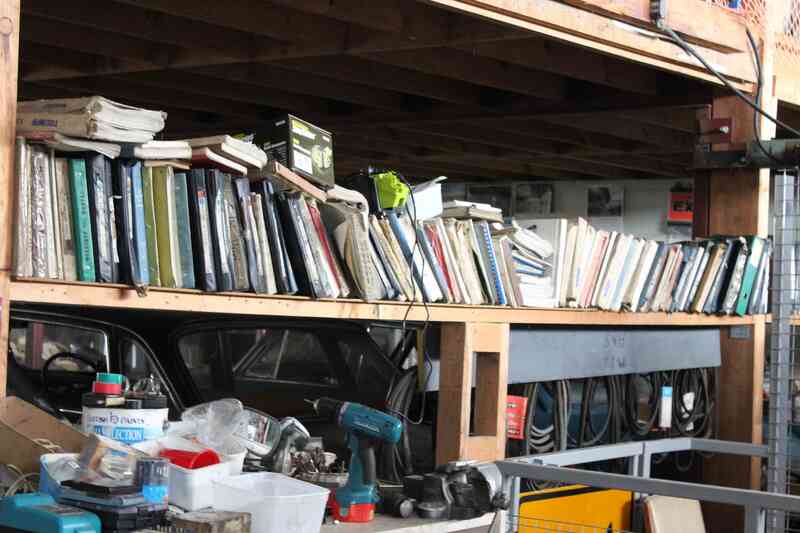 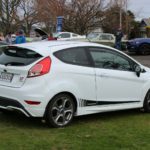 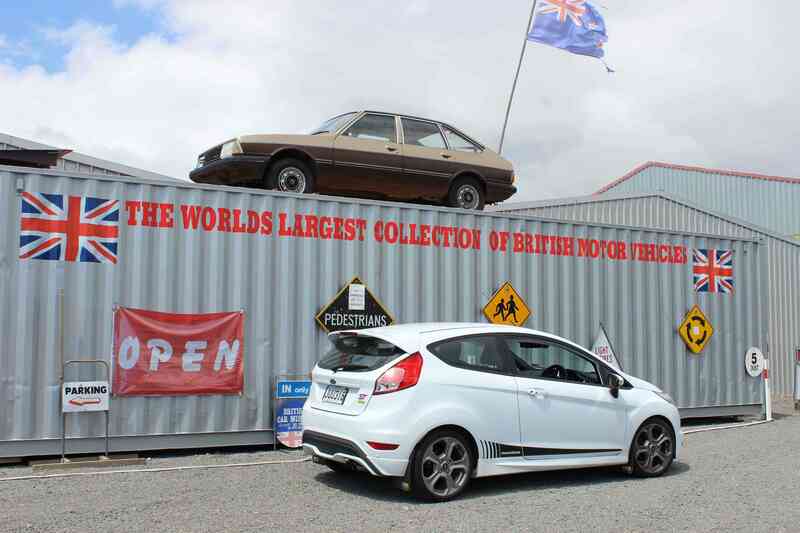 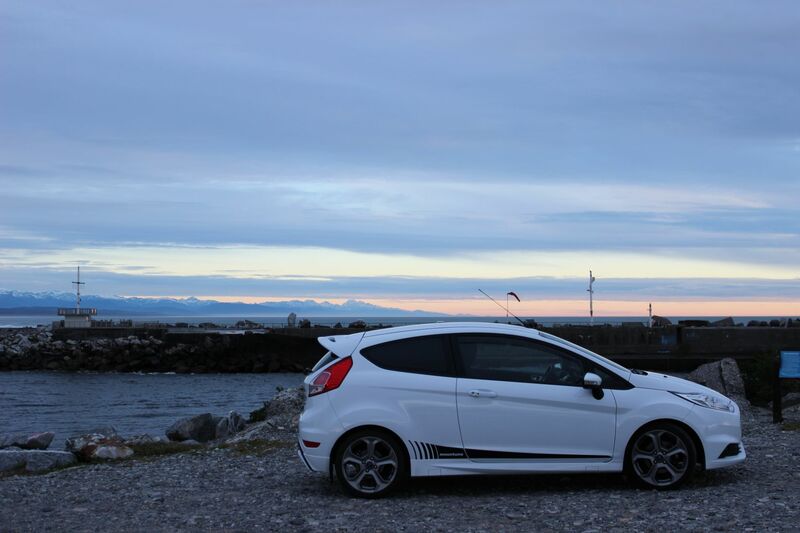 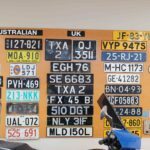 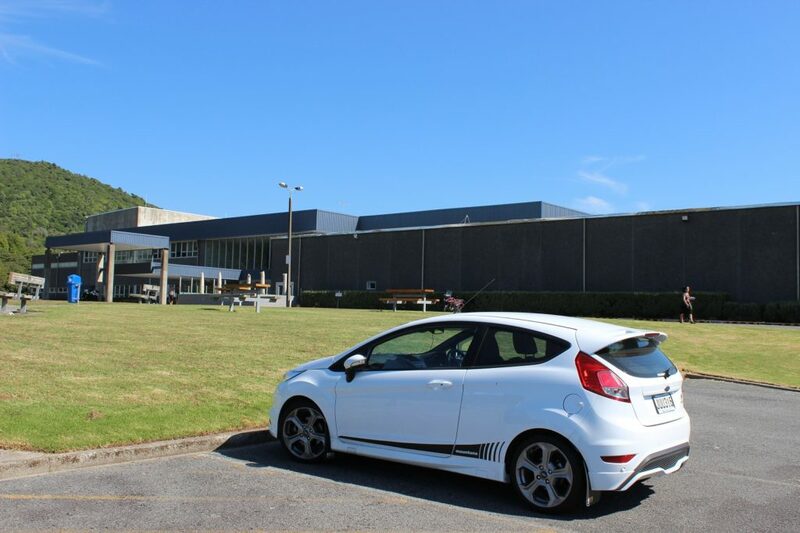 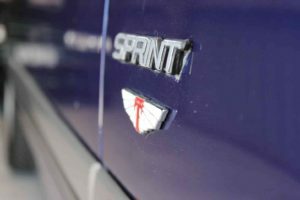 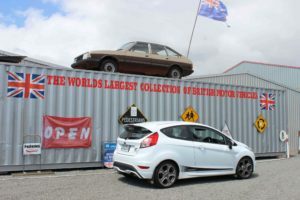 Adam’s Garage – And my quest to hit 500,000 kilometers in my Fiesta ST. 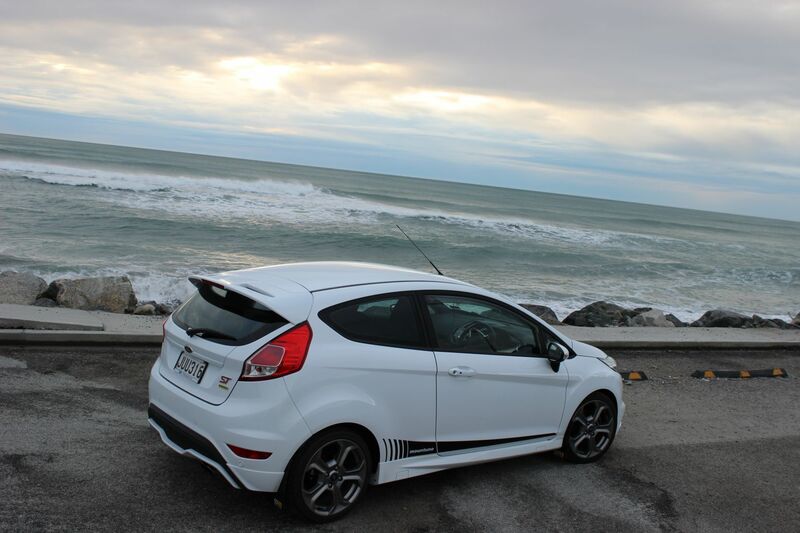 The past week was the two year anniversary of my 2016 frozen white Fiesta ST. 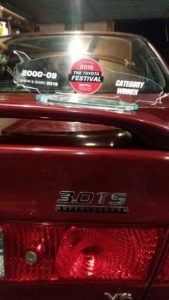 So, I hear you ask, how’s the car going and do I have any regrets? 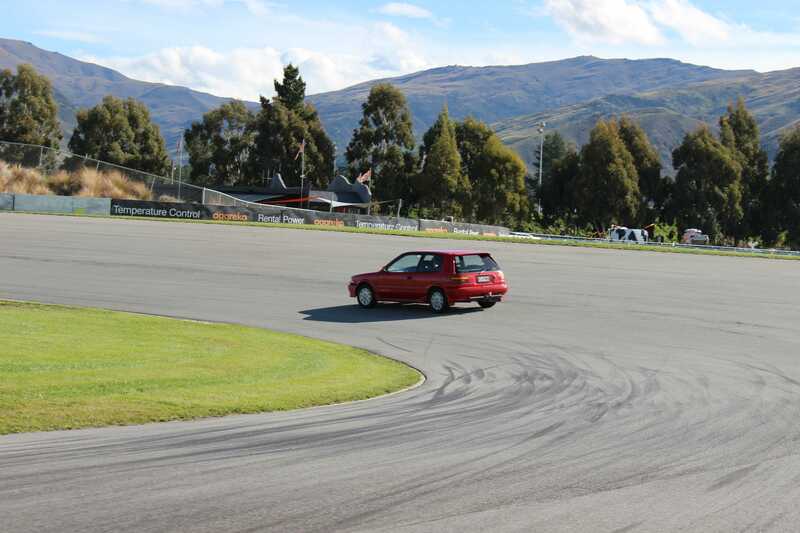 The car is going really well and is truly a pleasure to own. Not once has the car broken down or left me stranded, I haven’t even had a flat tyre during the 38,000 kilometers that I’ve travelled. 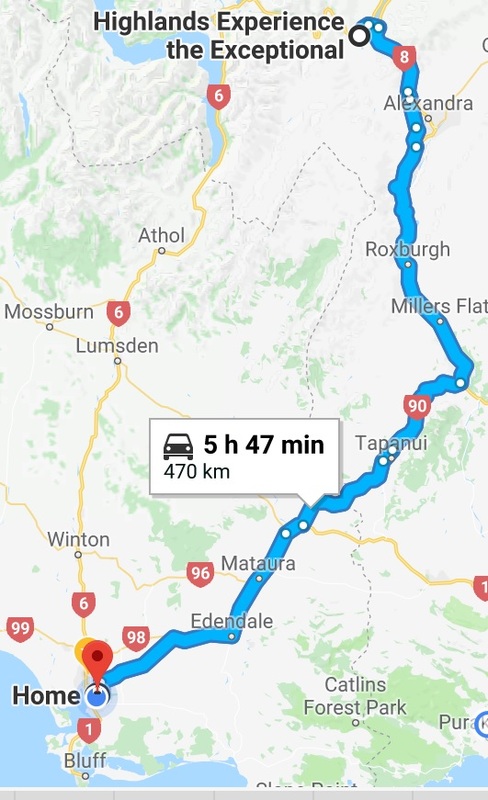 Aside from three general services, which I’m having done every 15,000 kilometers, the only other servicing has been me rotating the tyres every few thousand ks to try and get even wear. 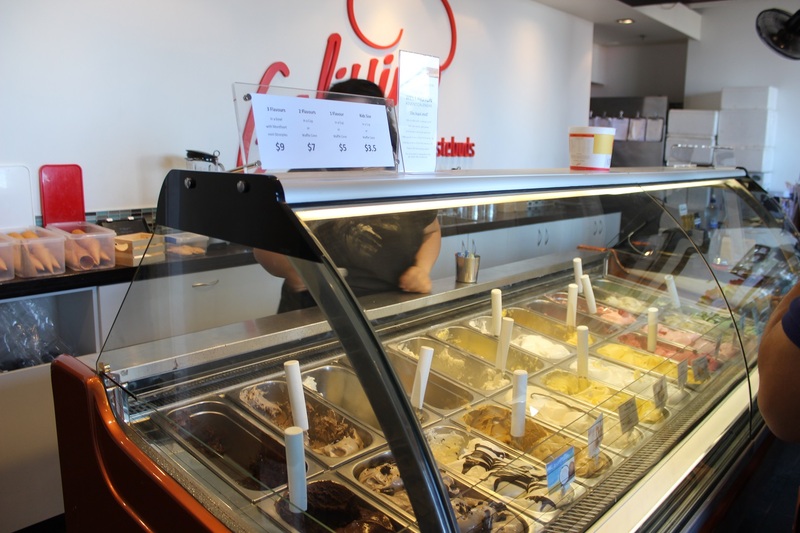 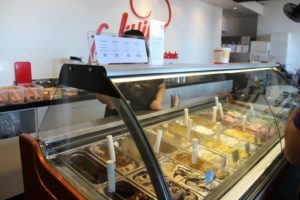 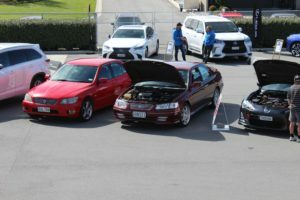 The first service was a complimentary check service, with the next two costing $245.70 & $255.42, totalling $500.92. 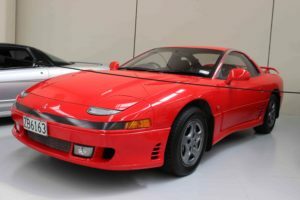 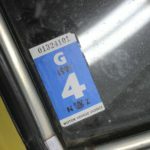 Originally, I had ordered a set of monsoon guards for the front windows, but the dealership couldn’t manage to source any for the two door variant of the car. 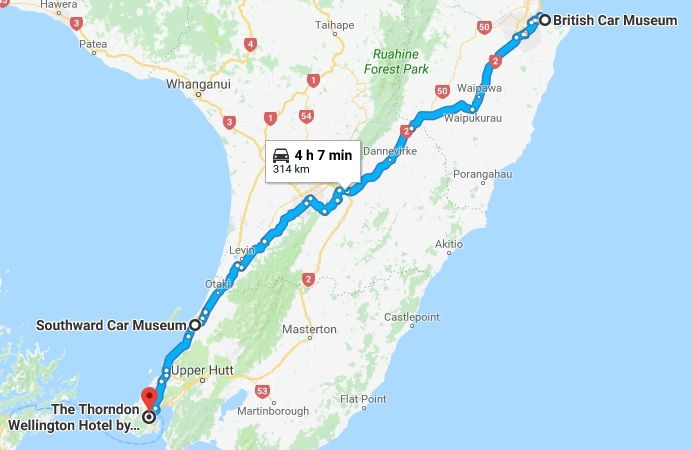 I managed to purchase my set out of France, that I then have to have shipped to the UK, before having them forwarded to New Zealand. 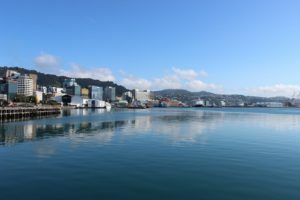 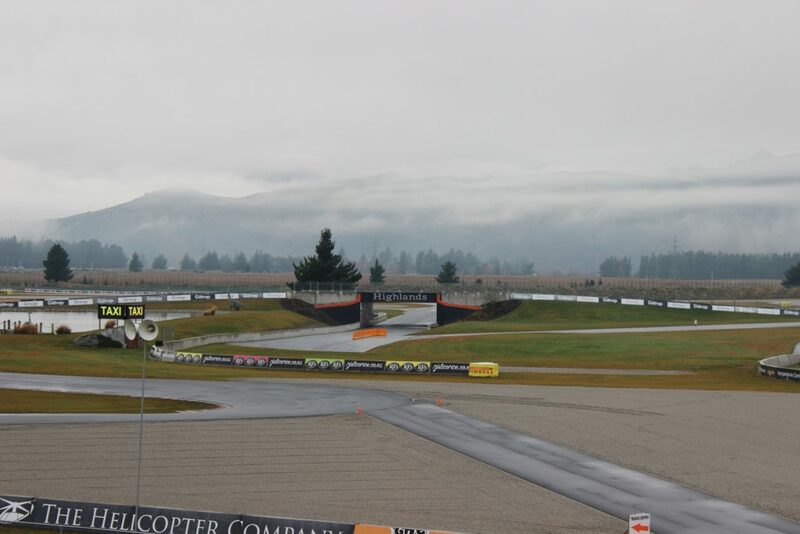 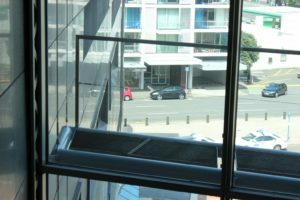 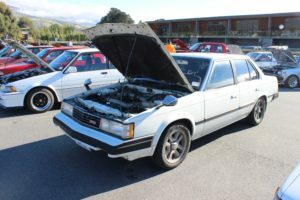 With Invercargill being the “City of Water and Light”, we get quite a bit of rain and it’s great to be able to have my window cracked open an inch or two without water coming and to let in a bit of air so that the car doesn’t fog up too much. 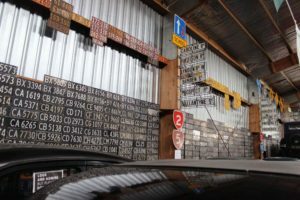 Carrying on with the sheer amount of rain we get here, the mudflaps were also a bit of a must and do also provide good protection to the paintwork. 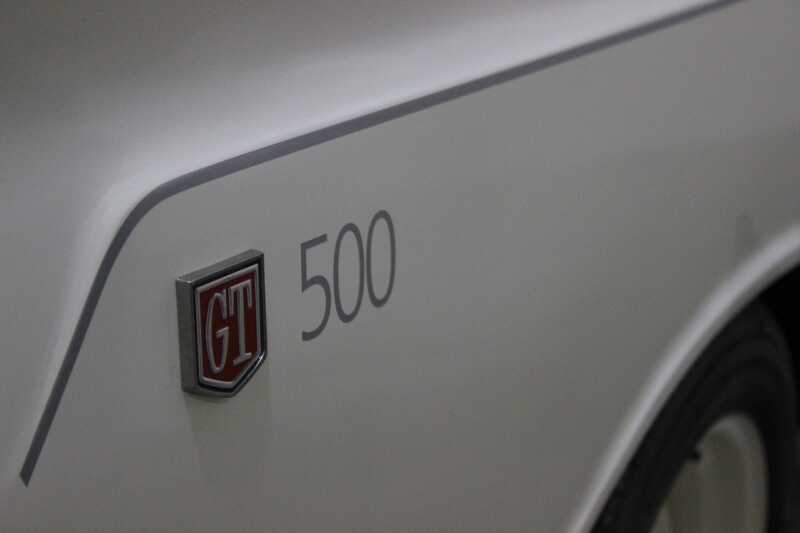 The same goes for the side graphics, as they do help protect the lower parts of the door from road rash. 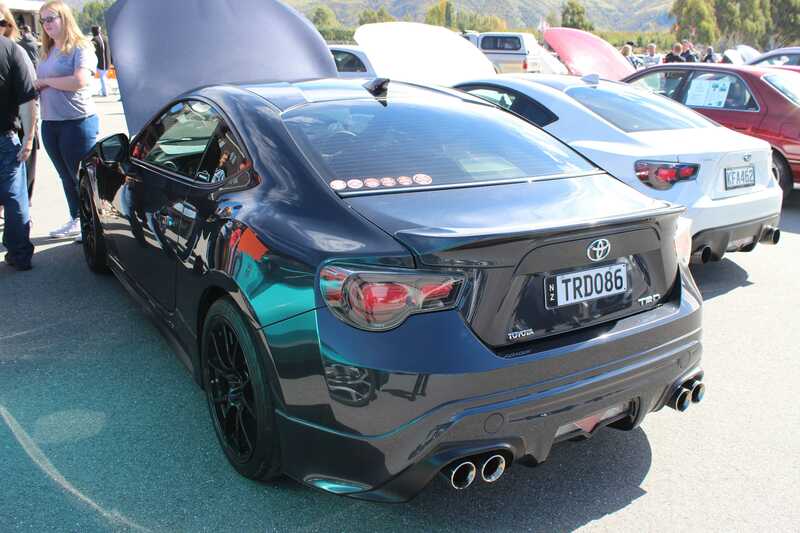 Ideally, I’d love to have some kind of paint protection film on the car – but I just can’t justify the cost. 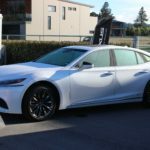 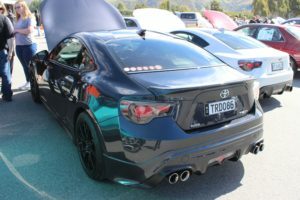 The tints should hopefully save the rear of the driver seats and rear seats from those harmful UV rays and also mean that if I leave any gear in the car, such as my work laptop or camera – it’s not totally visible to passerbys. What are the future plans for the car? 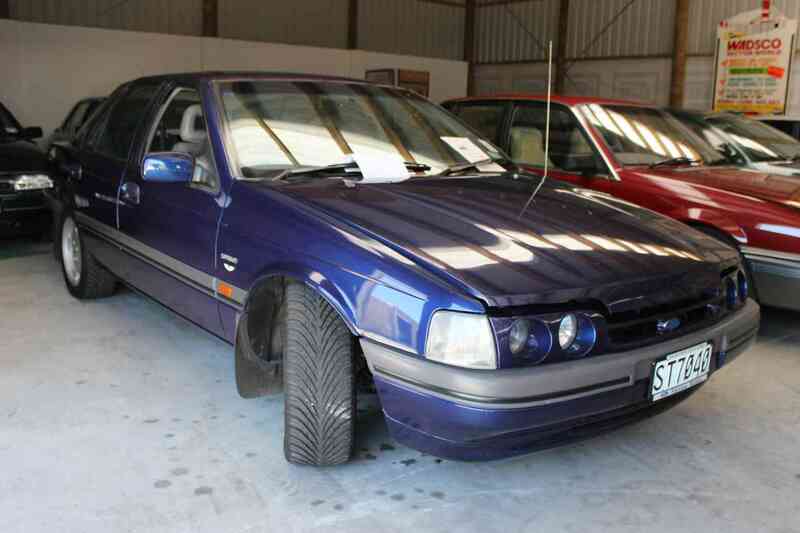 A fresh set of tyres will be due, as I don’t believe they’ll do much more than 40,000ks. 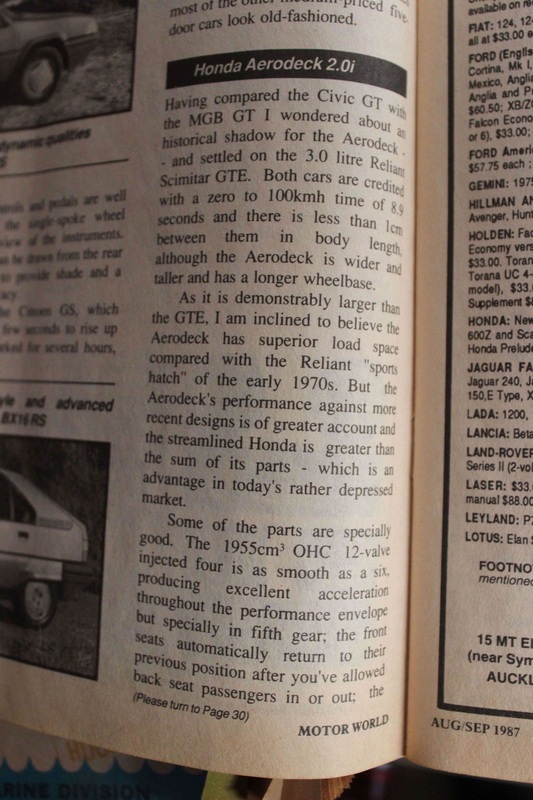 I’ve done some research and I’m going to put Bridgestone Potenzas on the car again, but put the RE003 Adrenalins on instead of RE050As that I’m currently running. 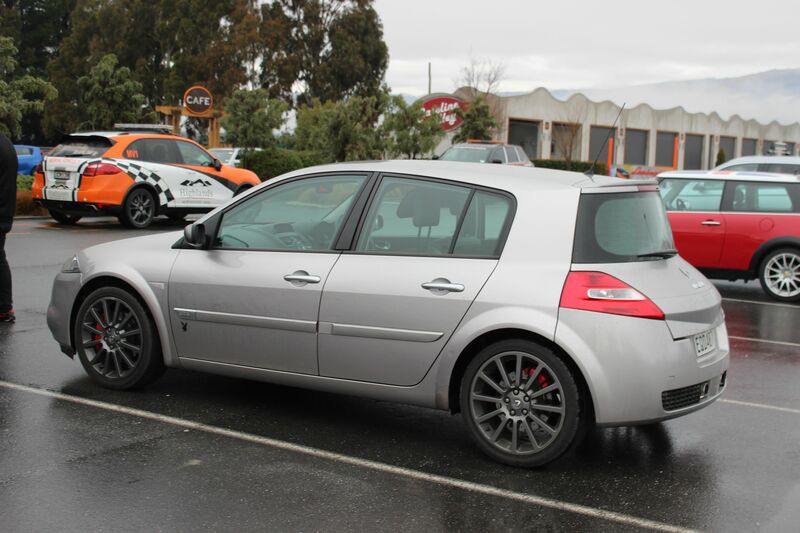 The RE003s are supposed to have superior grip in the wet, which has been my only complaint with the current tyres. Plus, I noticed while washing the car that after two years, I’ve finally curbed one of my rims – so I’ll likely get them refurbished in a lighter silver when I go to put the tyres on. 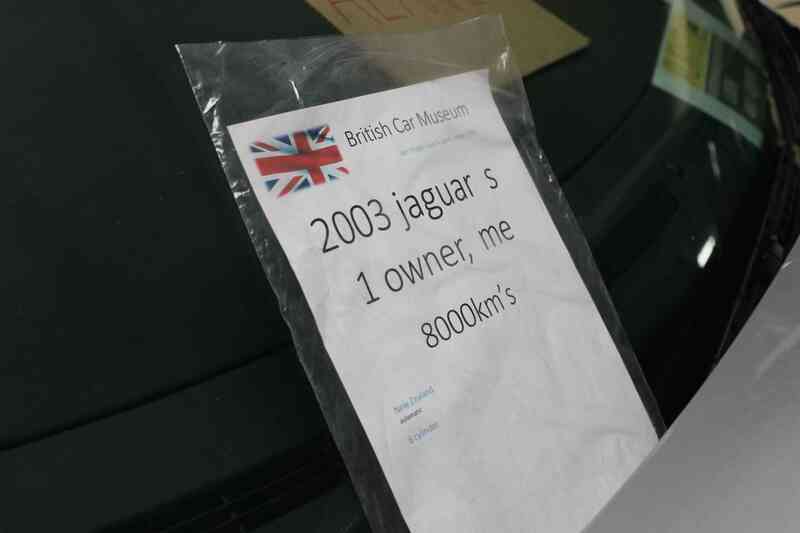 Other than that, it’ll just get driven. 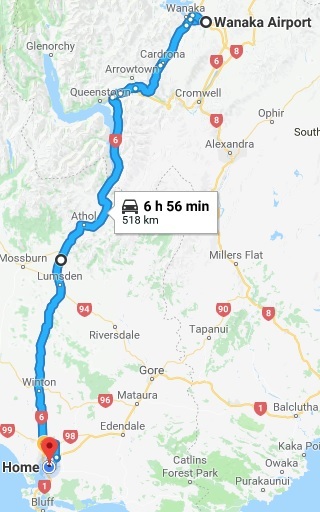 Because I like to keep track of fuel, the above shot shows that I’ve stopped a total of 74 times for fuel and pumped 2672 litres at a cost of $5,648. 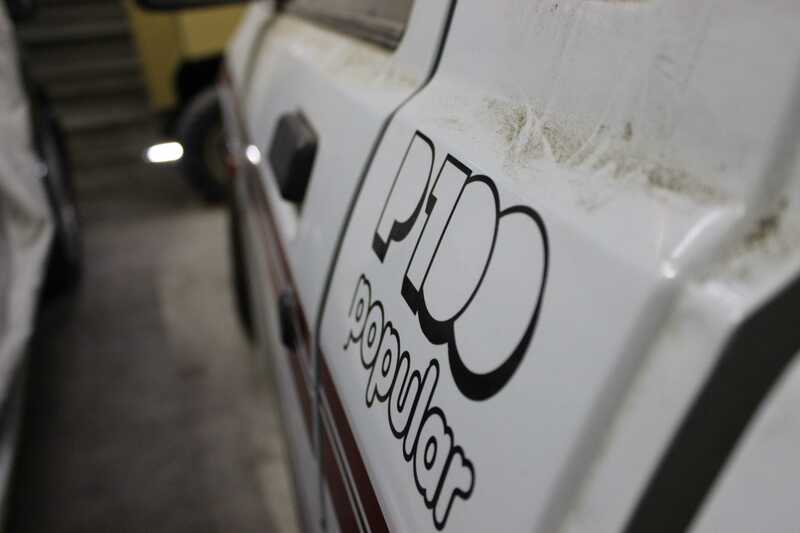 The last couple of fuel stops have been the most expensive as fuel has increased to $2.39/l for premium. 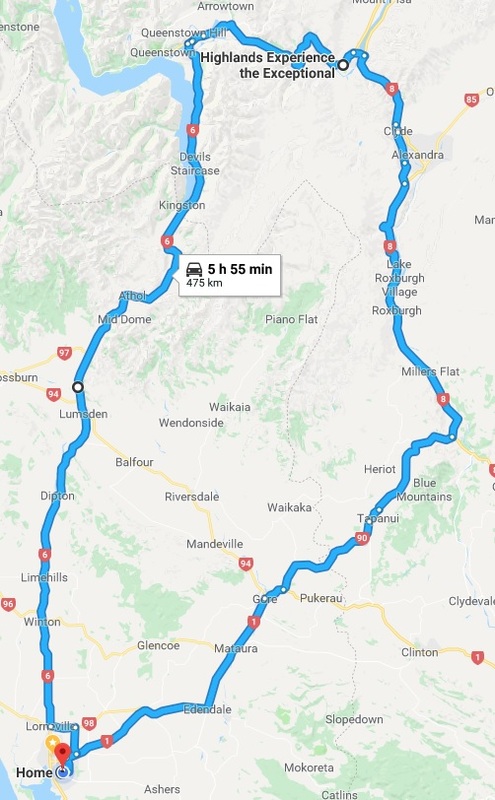 The start of June brings our last long weekend through until October, so what better excuse than to make it an extra long one by taking the Friday off and making it into a four day event. 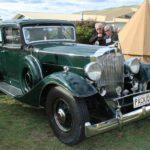 In 2016 & 2017, I spent Queen’s Birthday weekend attending the Timaru All British Day. 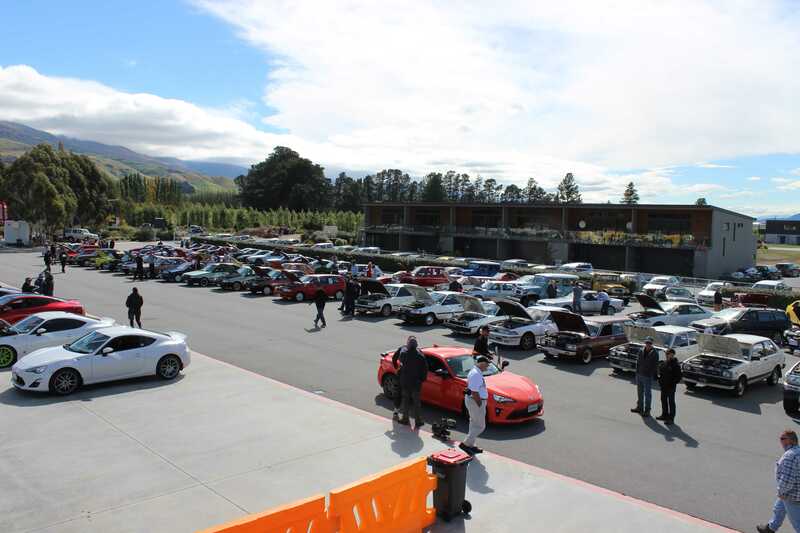 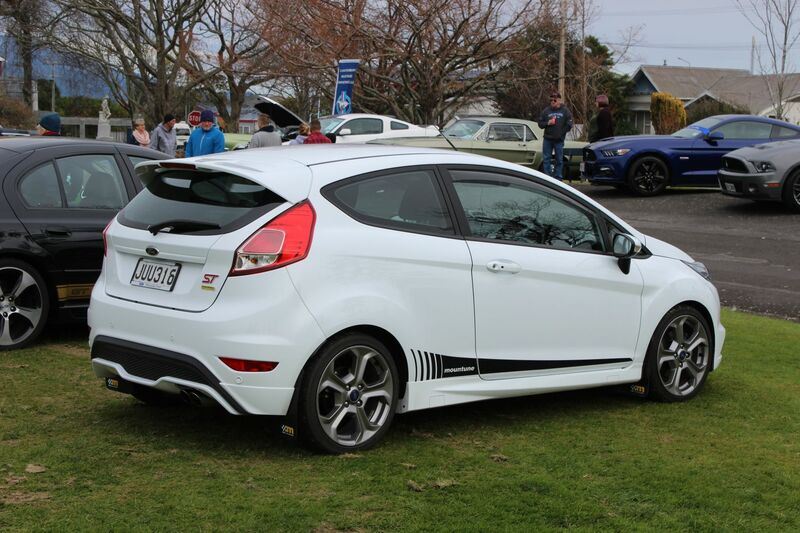 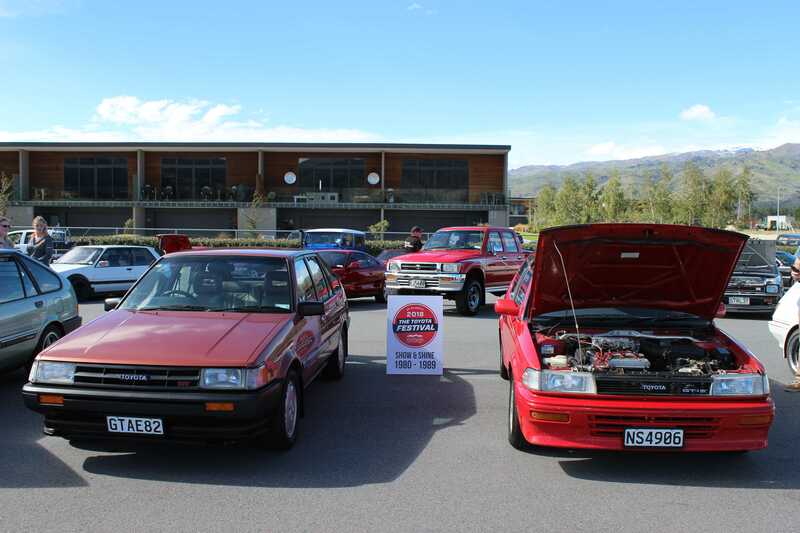 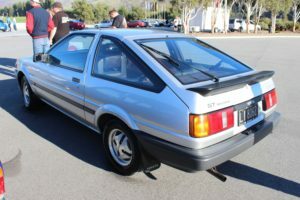 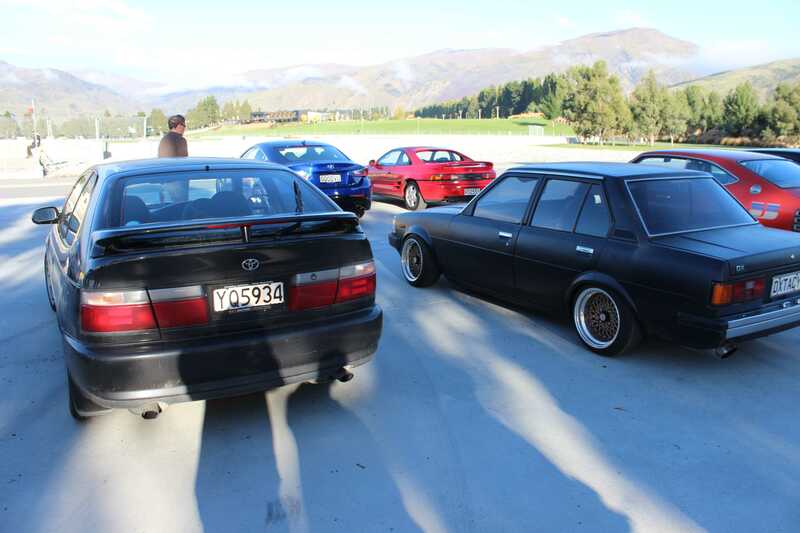 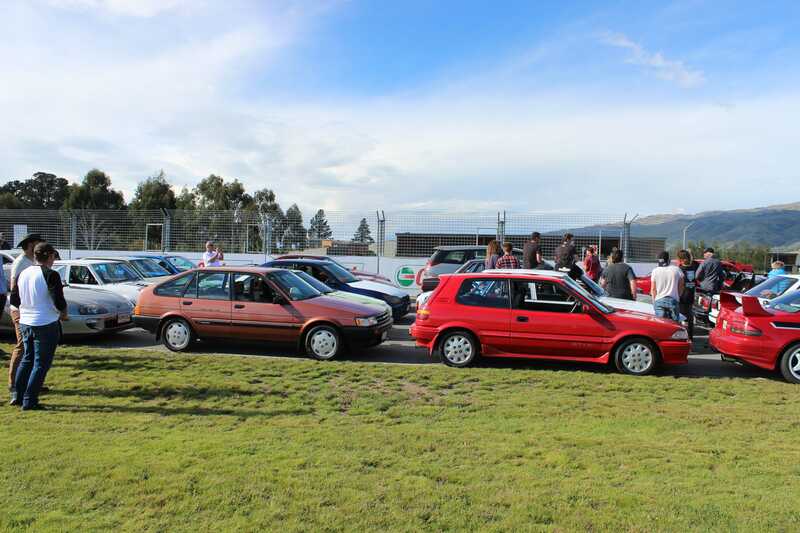 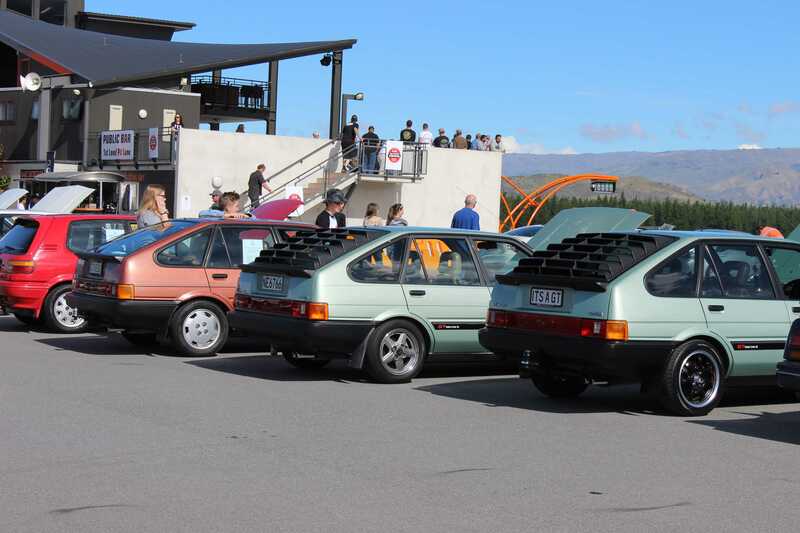 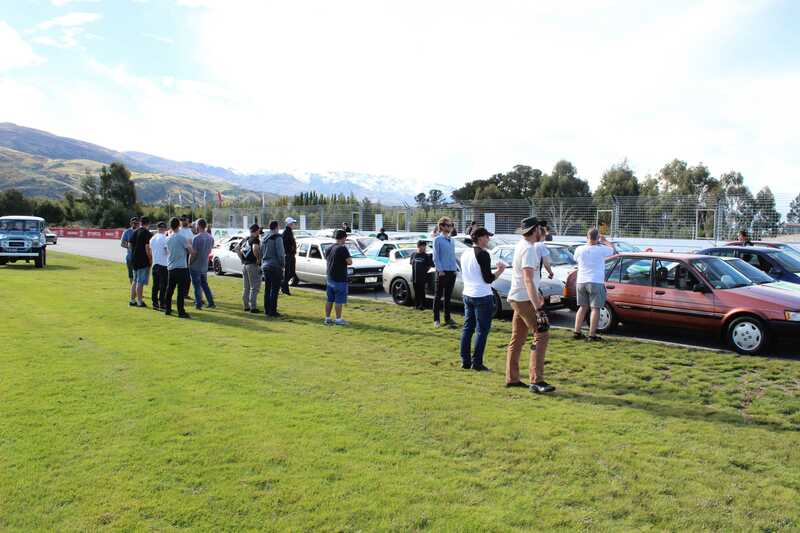 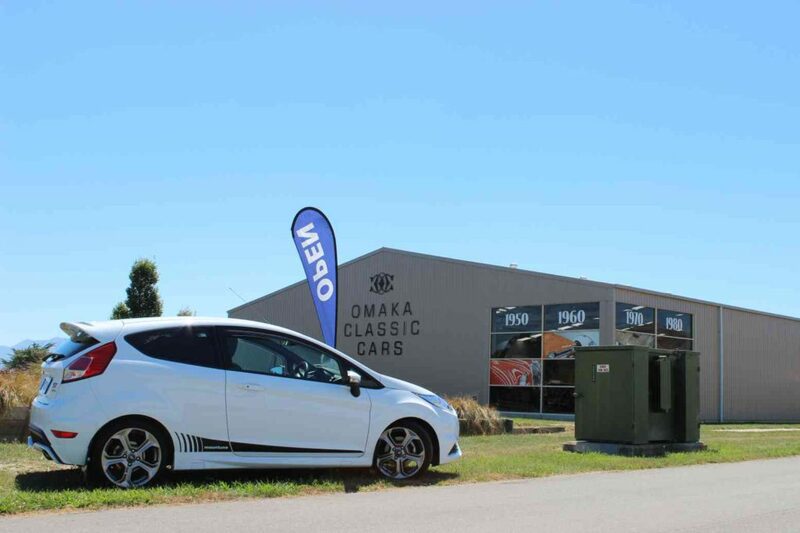 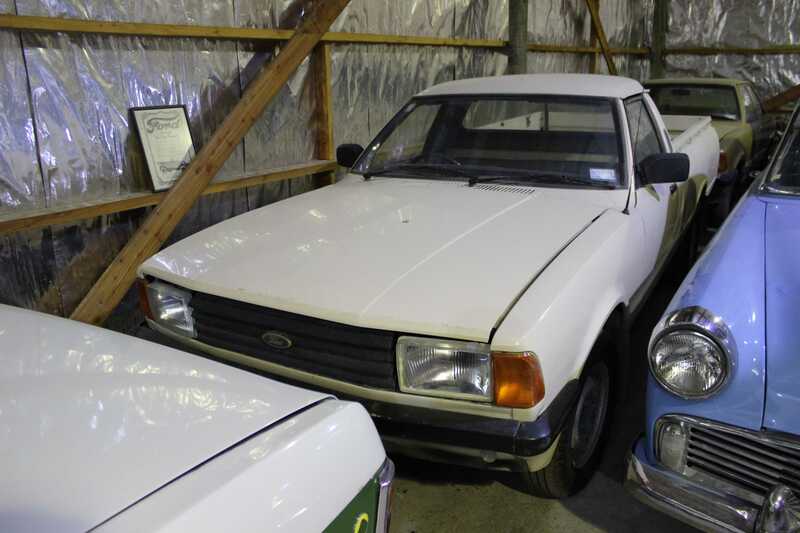 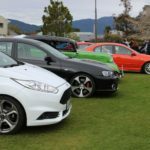 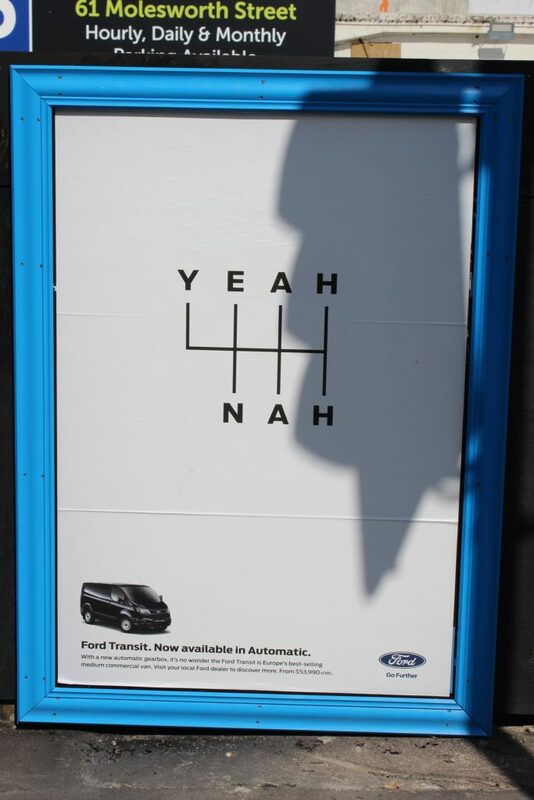 With my two year anniversary of the Fiesta, I decided it was a good weekend to take it to an event where it’d be welcomed to attend – Buller All Ford Day. 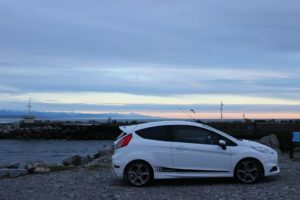 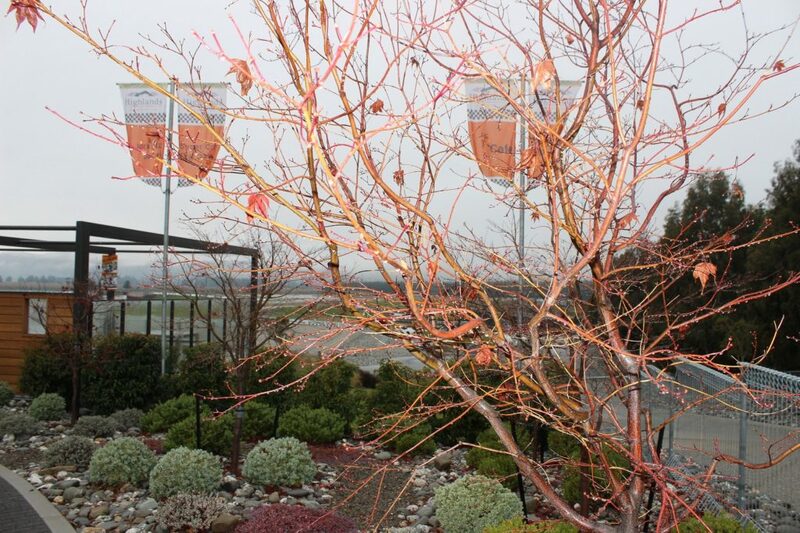 I started Friday morning by getting out and washing the car in the dark at 6am, where we had a -4 degree celsius day. 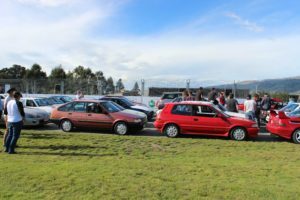 It’s not something I’d volunteer to do again, my hands were like blocks of ice and the water was freezing on the car. Still, I couldn’t go away with a filthy car! 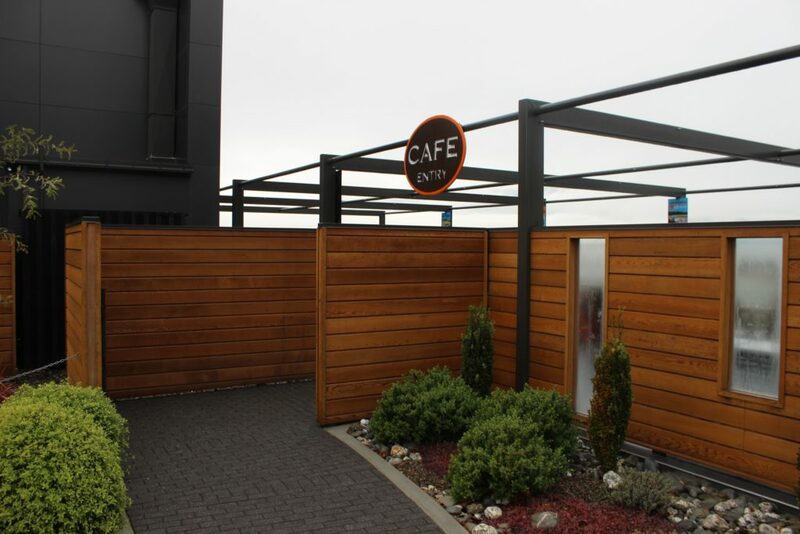 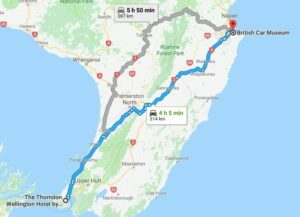 Travel for Friday was pretty easy and we only had to travel as far as the Ashford Motor Lodge, in Christchurch, where we were booked in for the night. 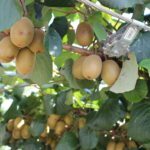 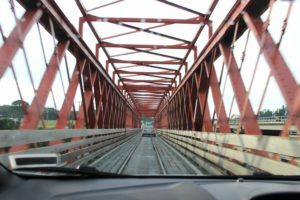 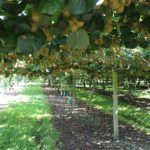 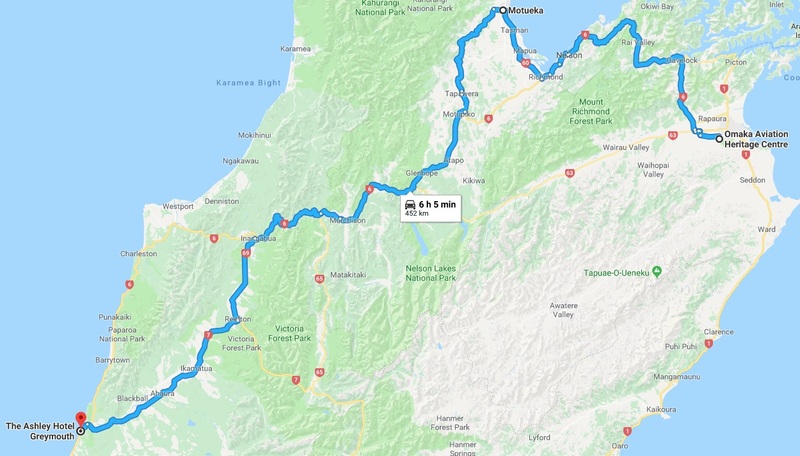 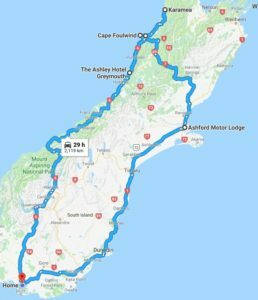 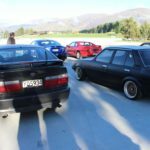 With a reasonably prompt start on the Saturday morning, we ventured over the Lewis Pass and headed to our midday destination – Karamea. I’ve only driven the road into Karamea once before, when I originally purchased the ST, but have been dying to drive it again ever since. The second time around was just as rewarding, although next time I do this road it has to be in the summer when I don’t have to be quite as gentle with the car on some of the damp and slippery road surfaces. The sun was out and shining in Karamea, in fact the entire four day weekend mostly consisted of t-shirt wearing conditions, which is a change from our ten degree days we’ve been having in Southland. 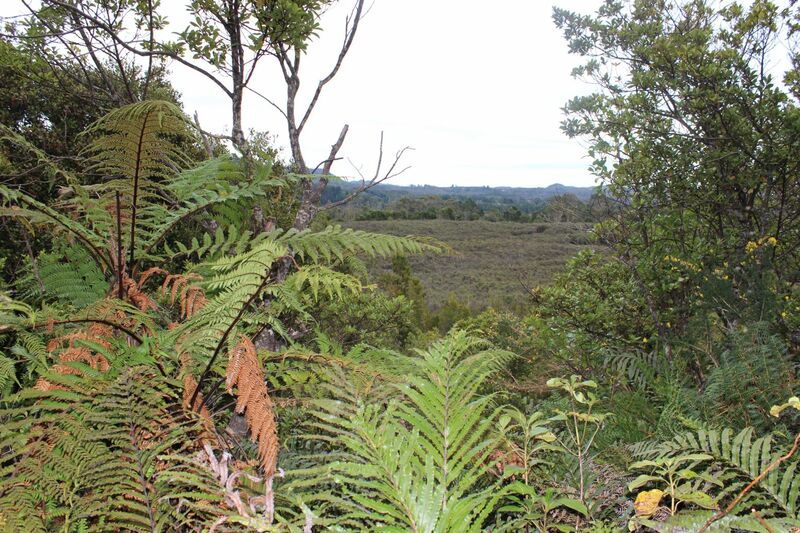 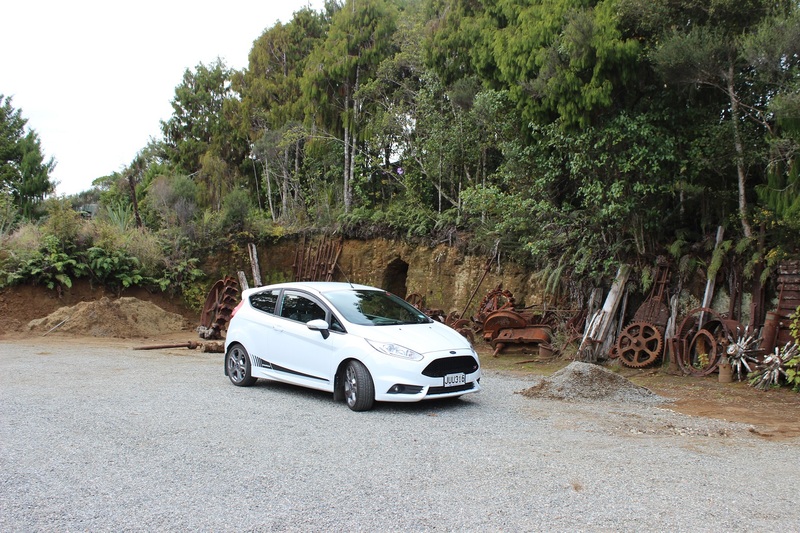 With plenty of spare time, we got to explore some of the hidden areas of Karamea, including the original school site in the second picture above. 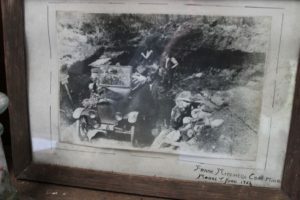 The original school was formed in the mid 1870s, but didn’t stay in this location for long – as poor soil forced the settlers down to the river valley. 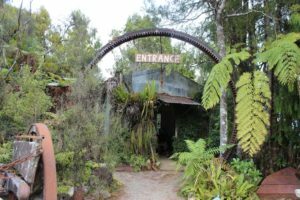 It was eerie visiting the old school location and surrounding areas, as it really felt like that place that if you went missing – you’d never be found… I also had a chuckle at the lack of effort put into the telephone/internet cables in this remote location. 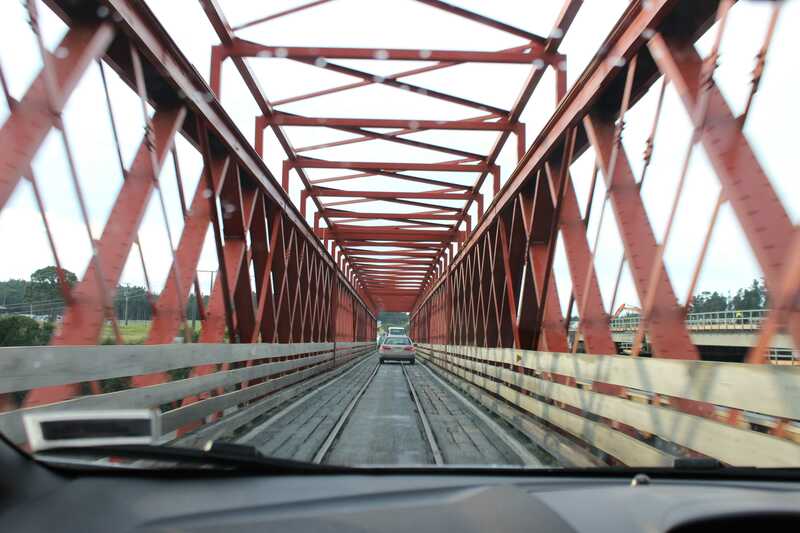 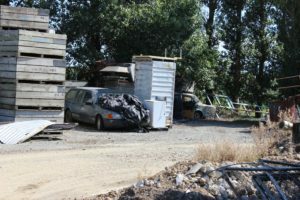 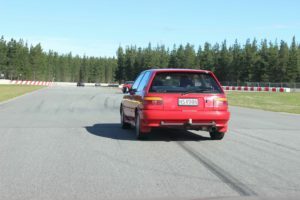 As you can see in the second picture – it just runs along the roadside and at one stage, you actually drive over the cable! 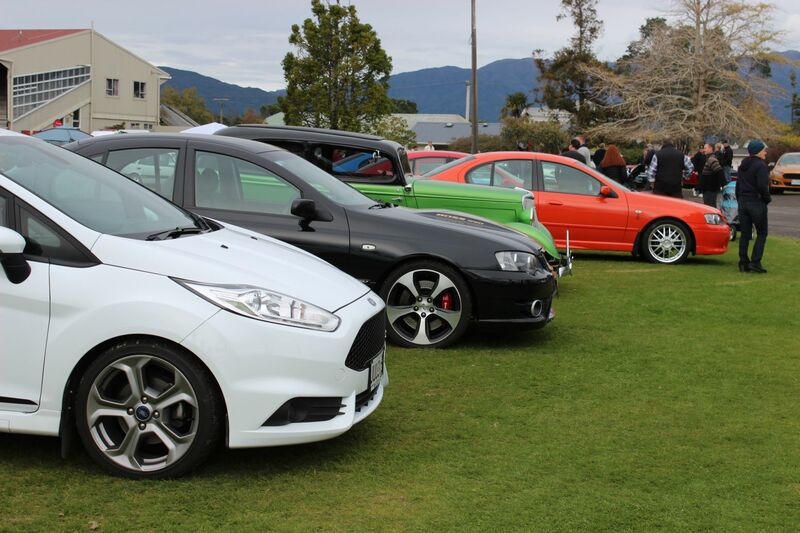 Sunday brought the main event for the weekend, the car show. 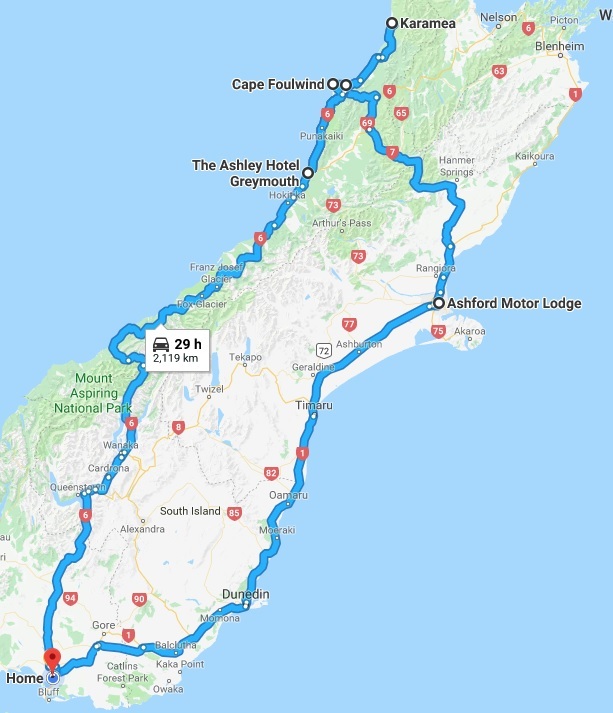 It’s about 105 kilometers through to Westport, which takes around an hour and a half, as the roads are quite tight and twisty in sections. 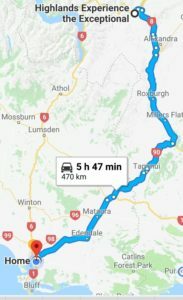 Making reasonable time, we arrive for the 10am starting time. 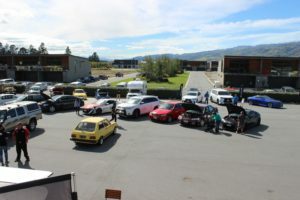 The venue, in the middle of Westport was a really good one for a car show. 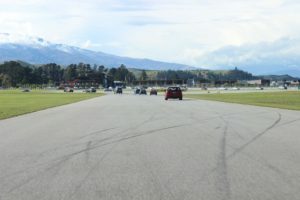 With a grass field in the middle for you to park on, you could walk the entirety of the outside on a banked tar-sealed loop. Plus, there was a large grandstand over by the stalls – a good place for a sit-down or to shelter from the rain if the weather hadn’t played ball. 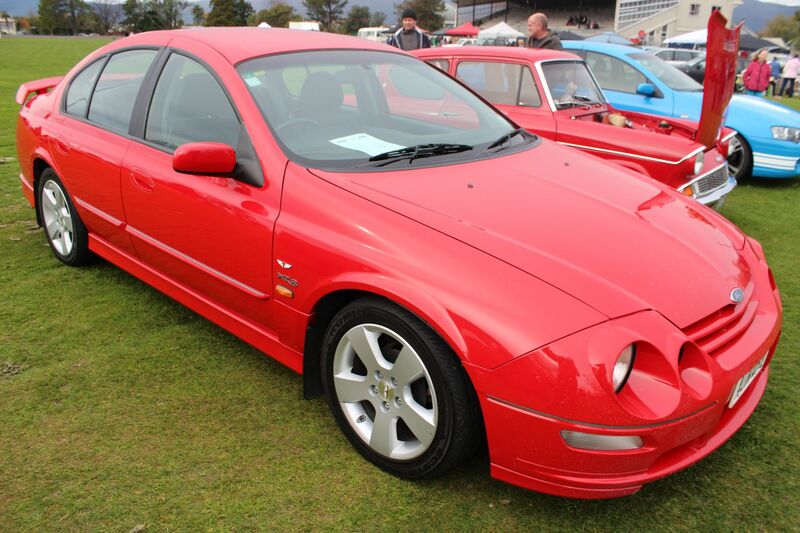 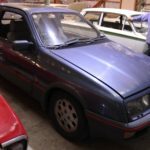 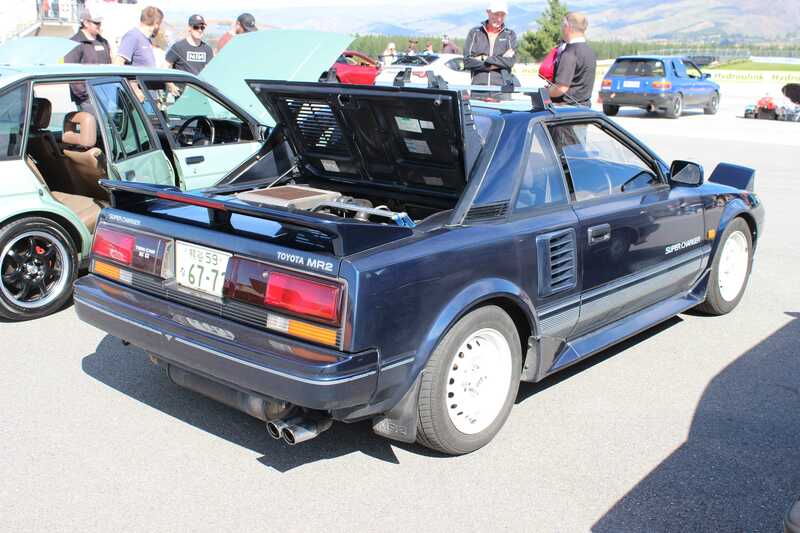 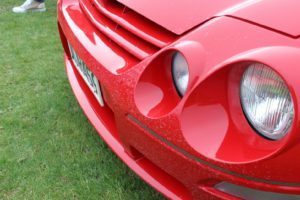 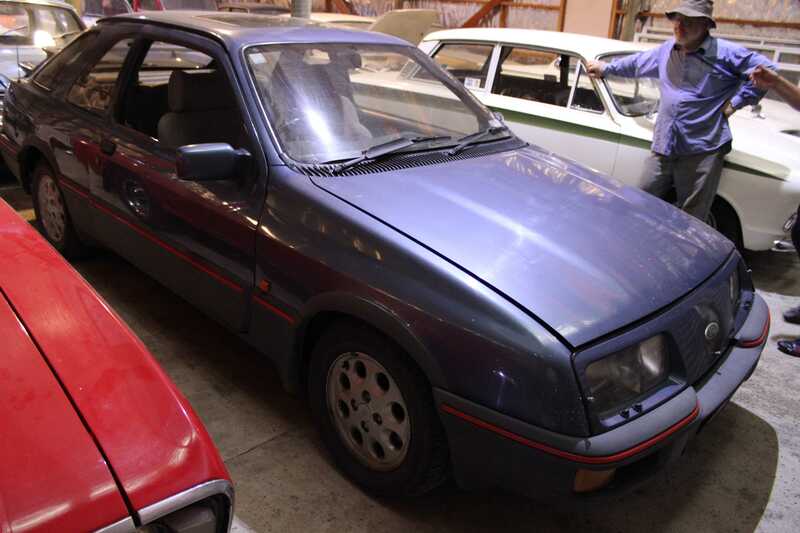 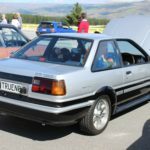 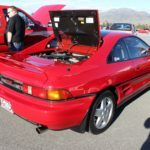 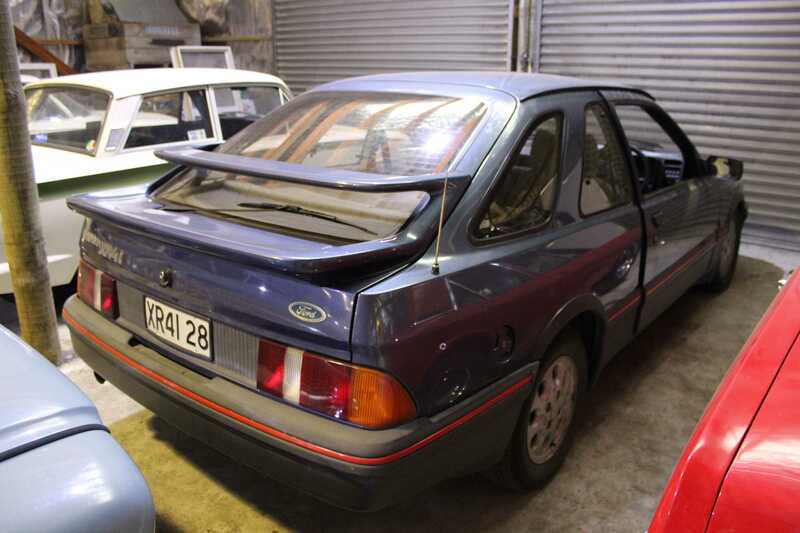 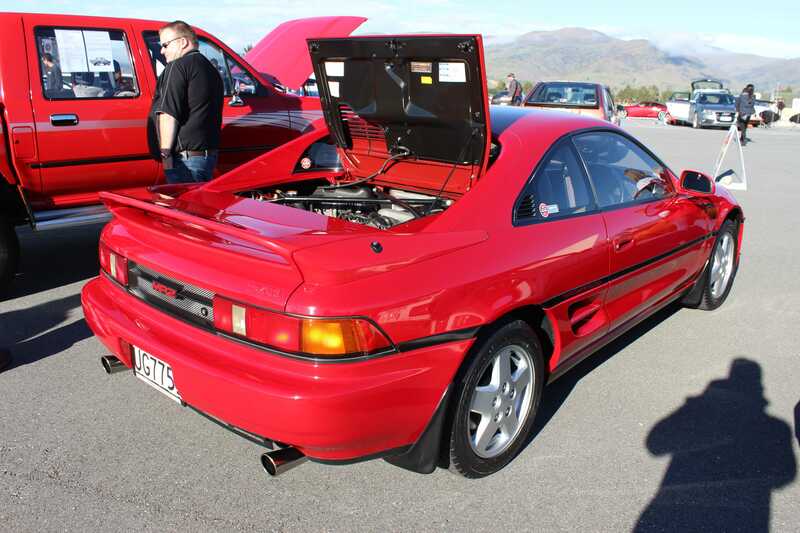 We caught up with Richard, who had brought his XR4i to the show. 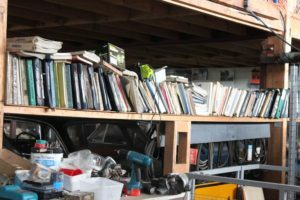 It was great to hear how some of the projects he had underway when we visited in February were progressing. 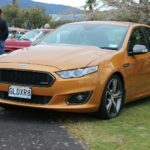 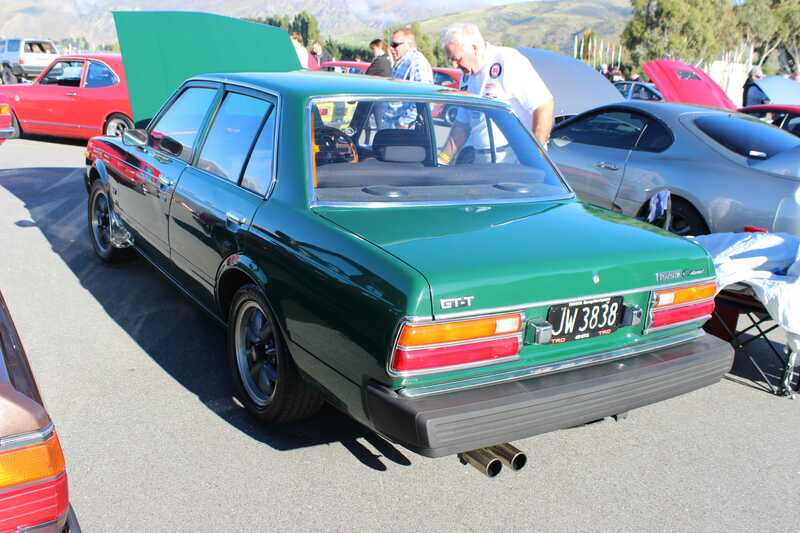 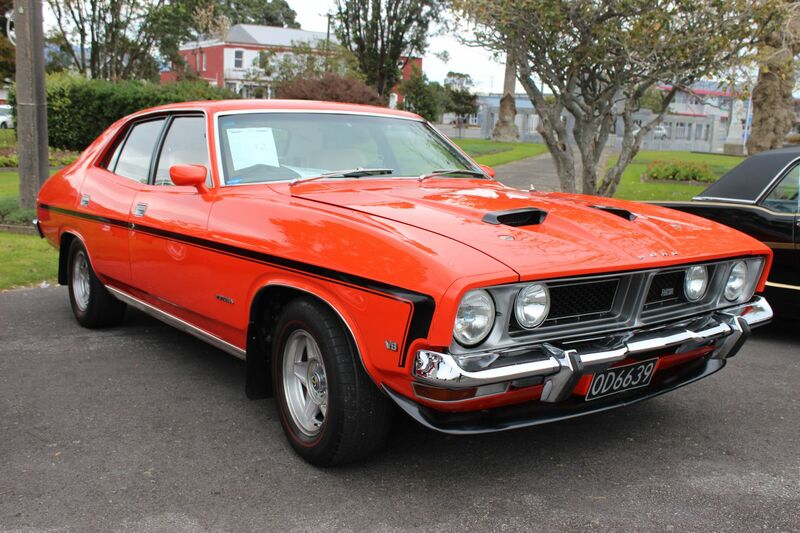 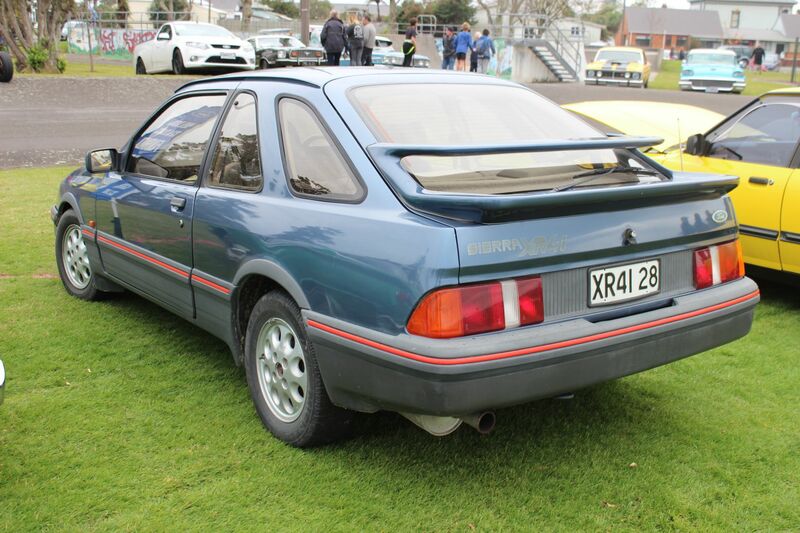 My car of the show was this AU XR8 Falcon. 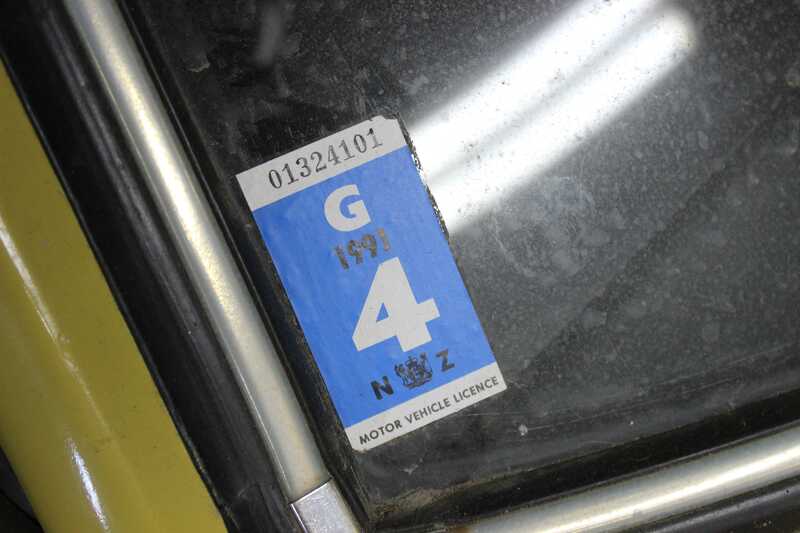 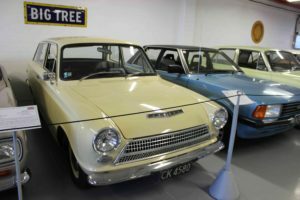 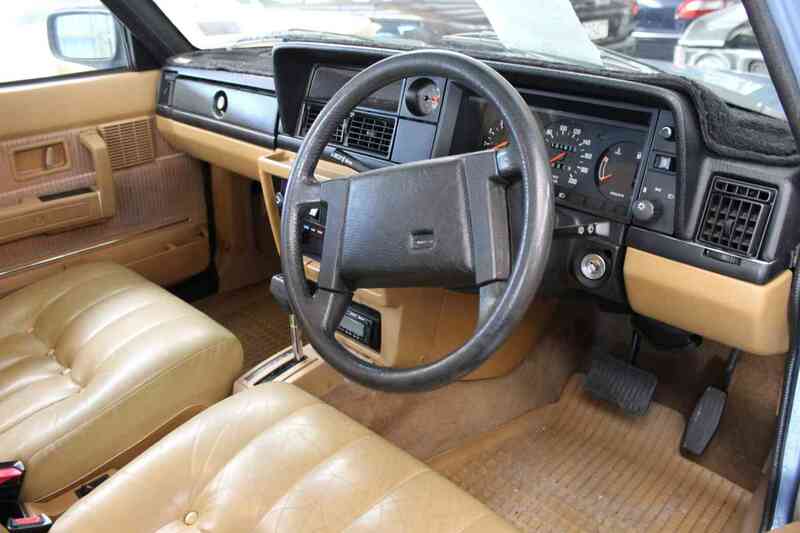 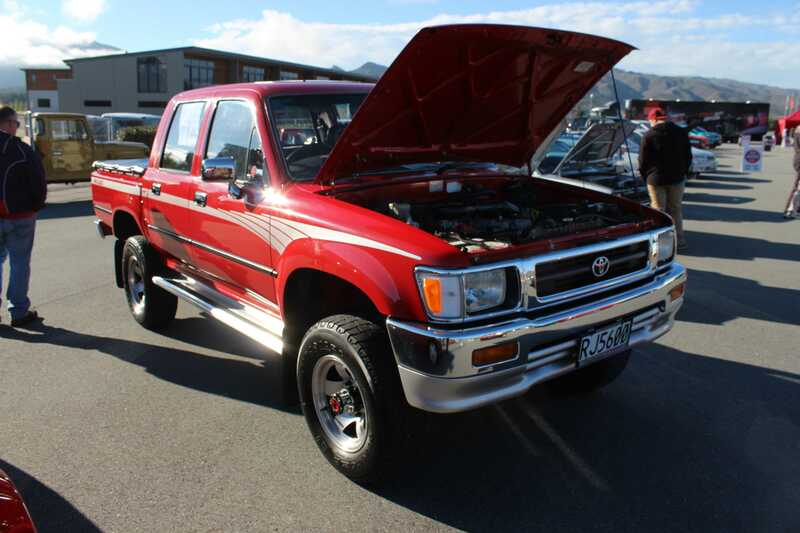 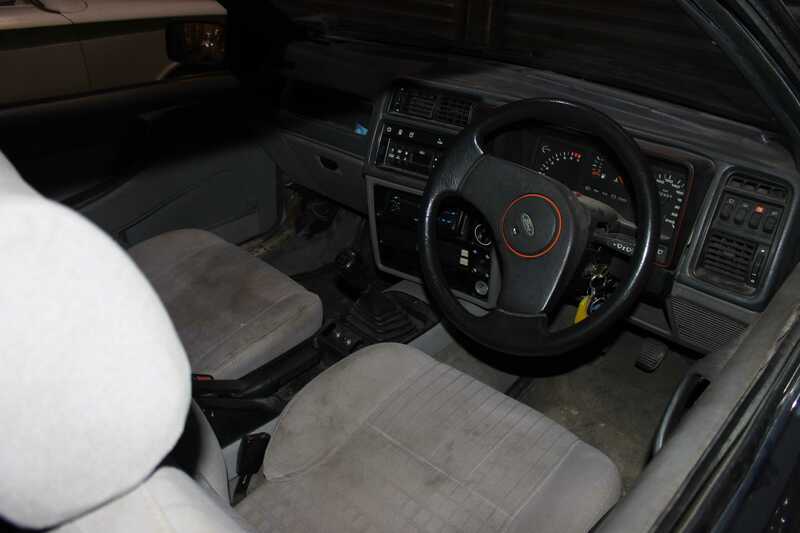 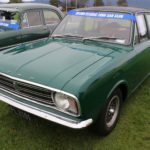 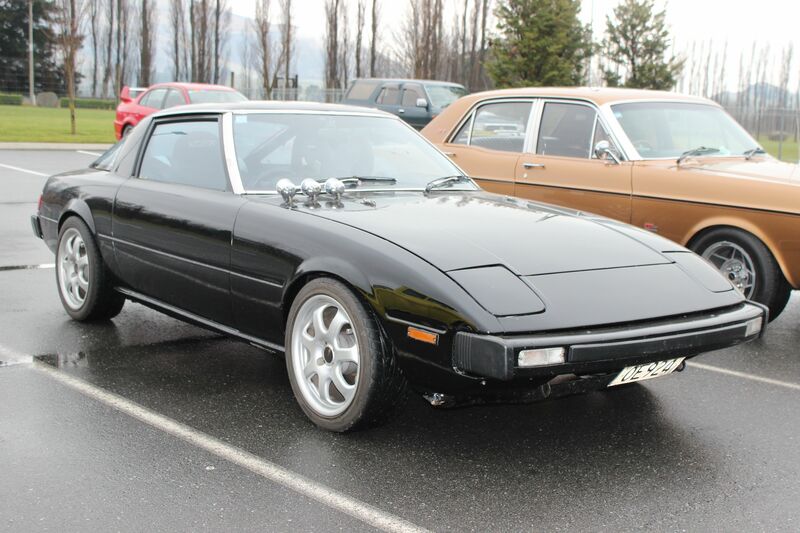 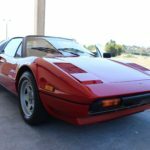 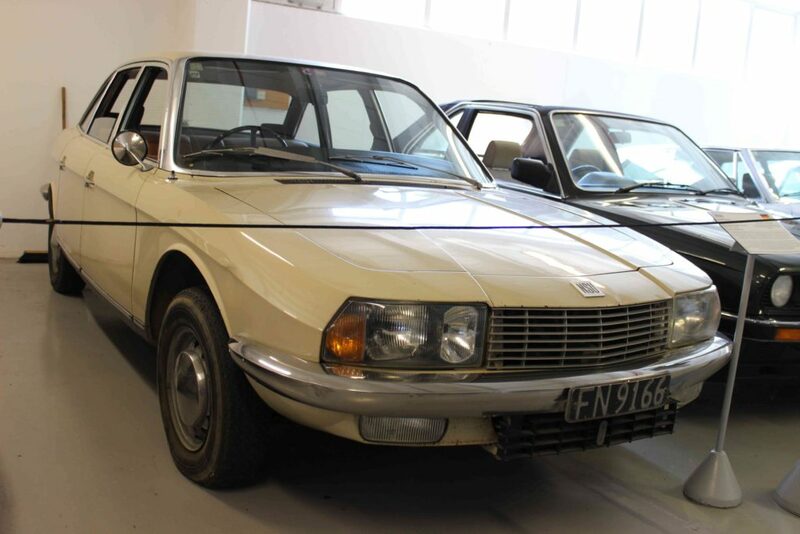 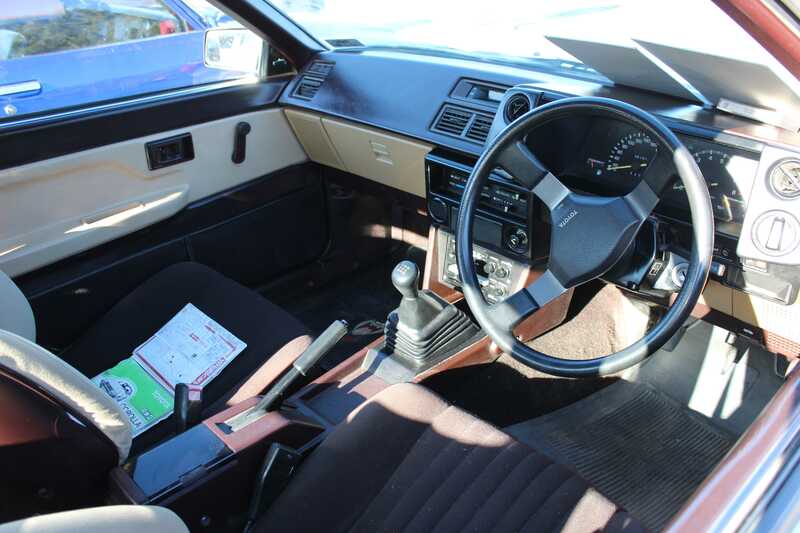 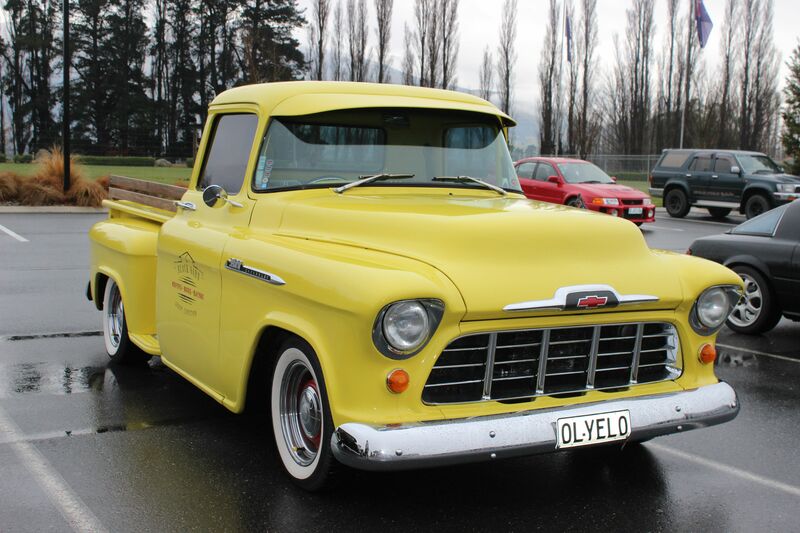 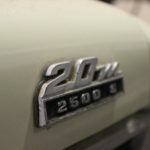 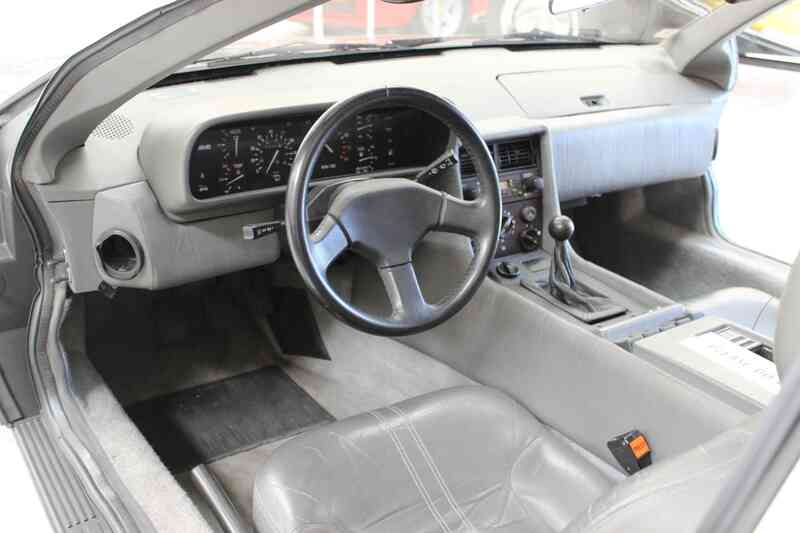 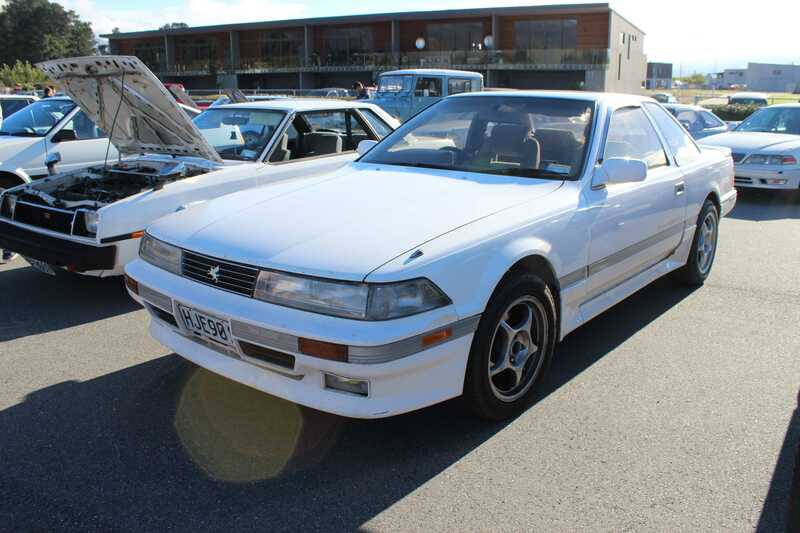 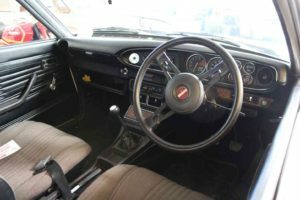 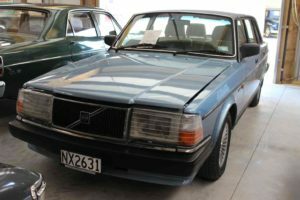 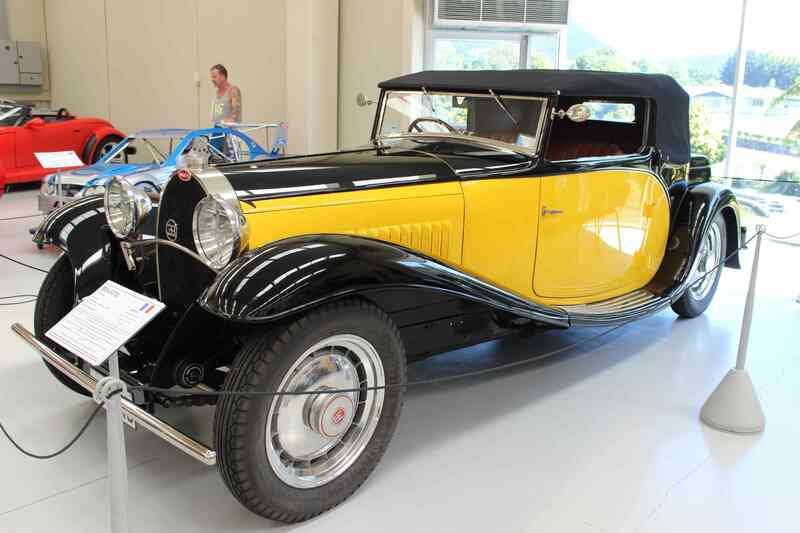 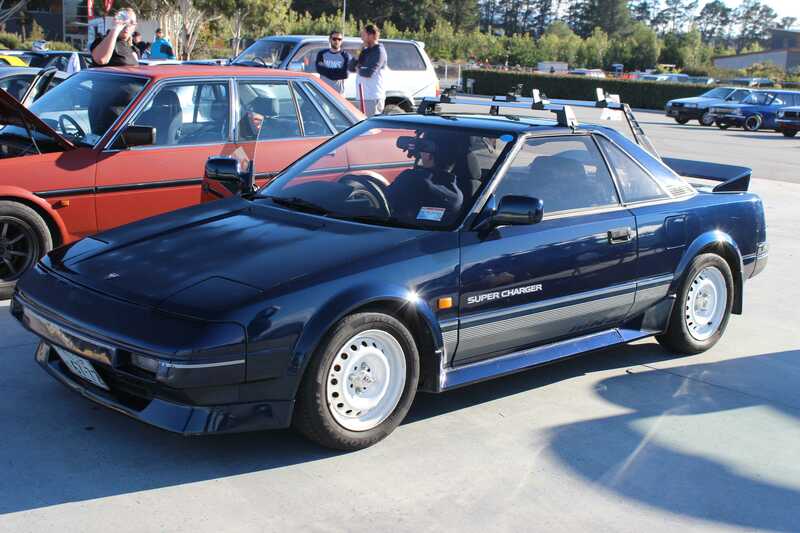 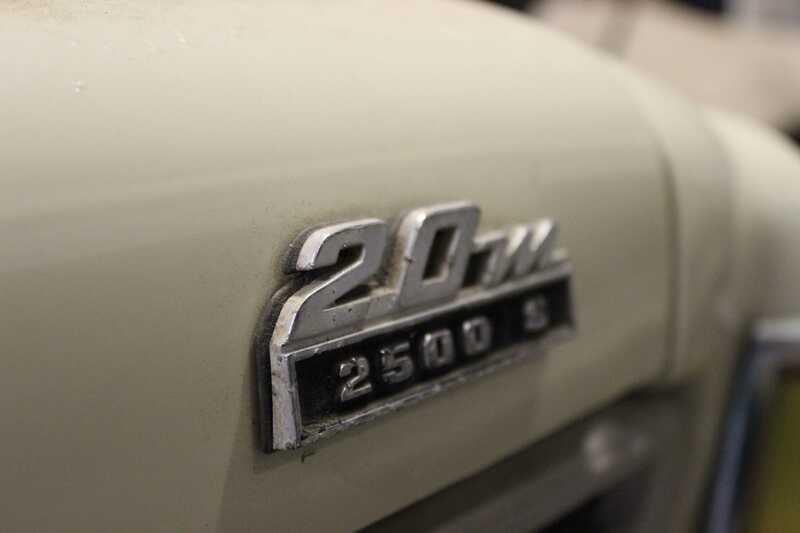 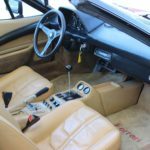 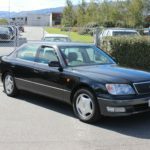 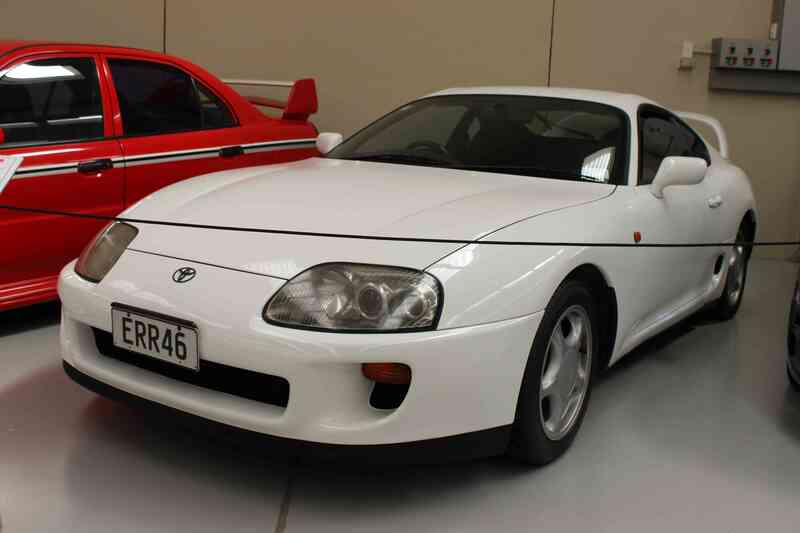 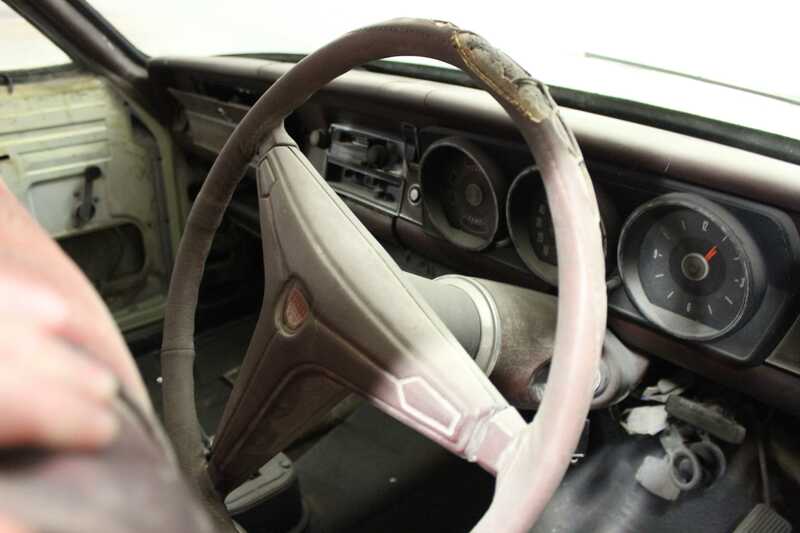 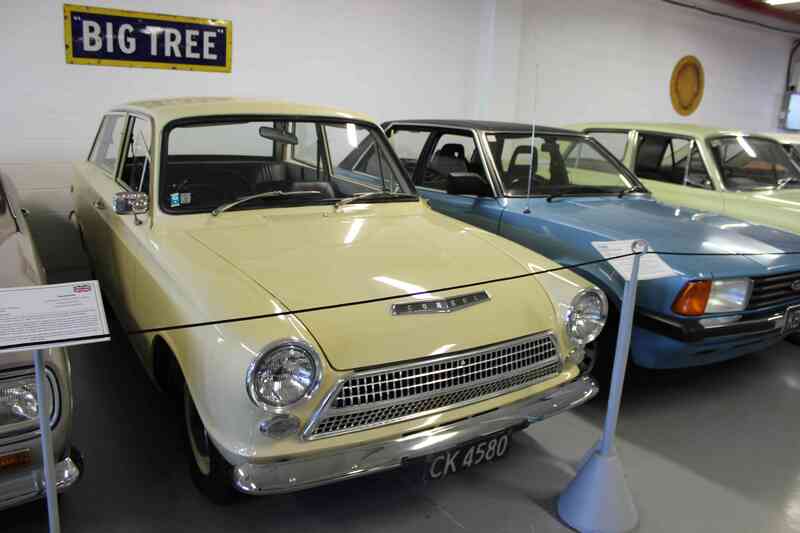 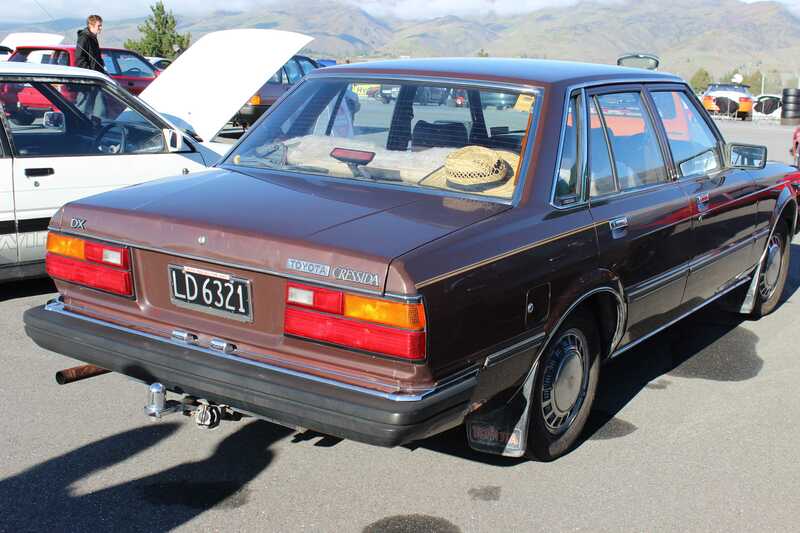 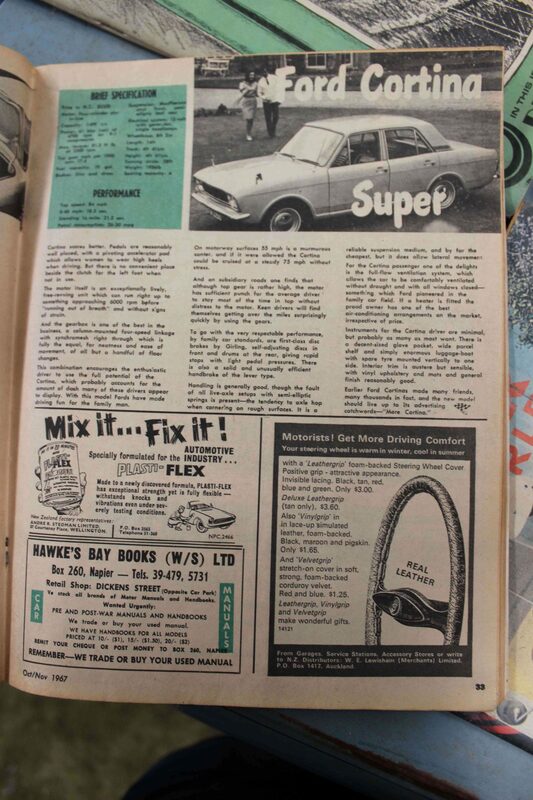 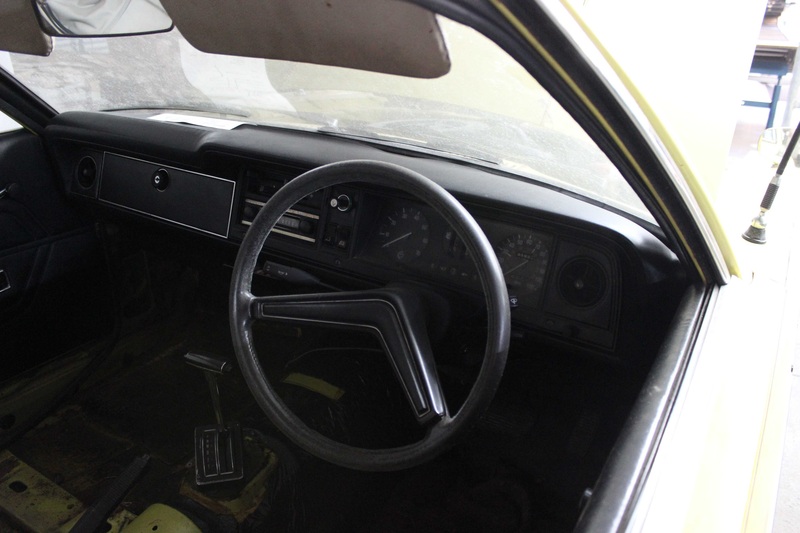 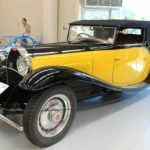 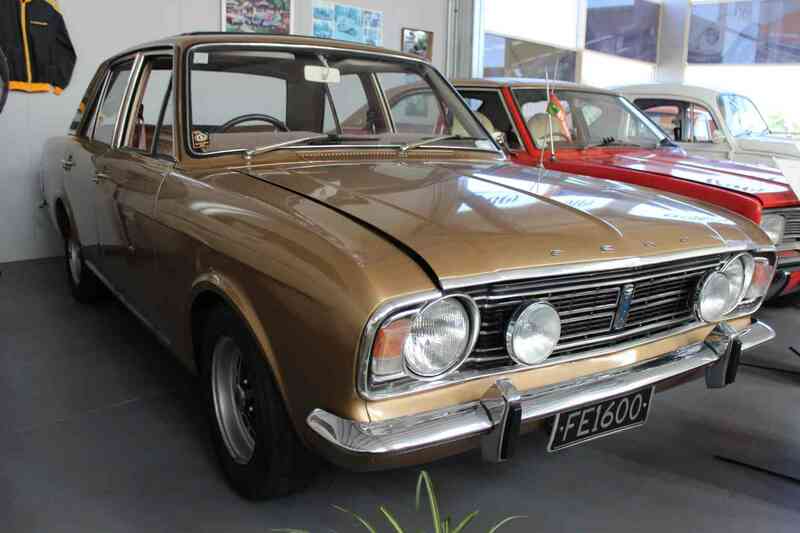 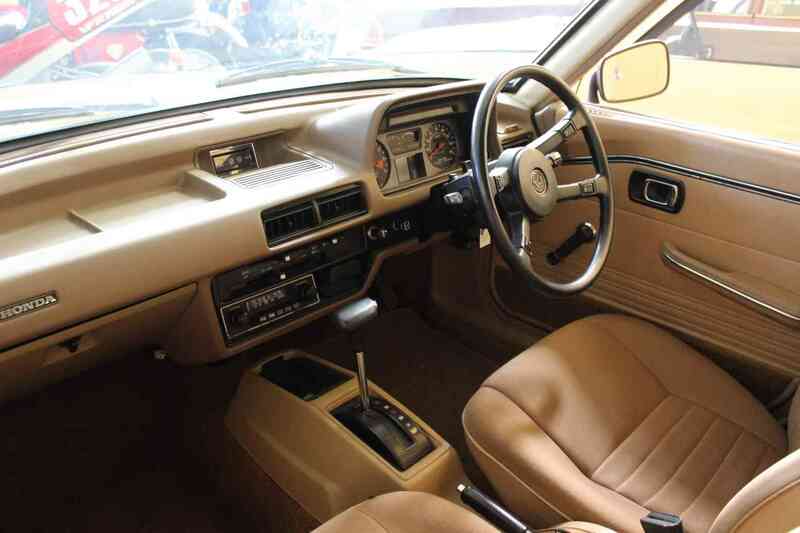 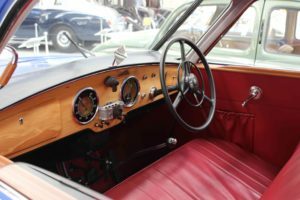 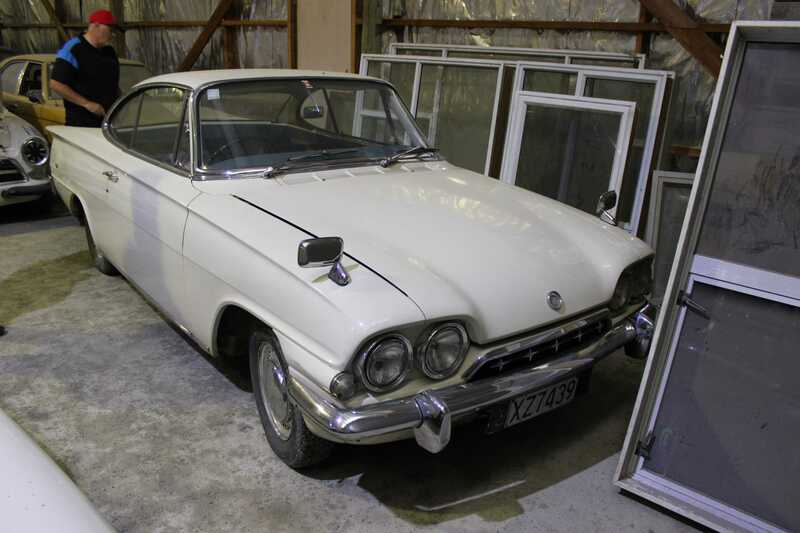 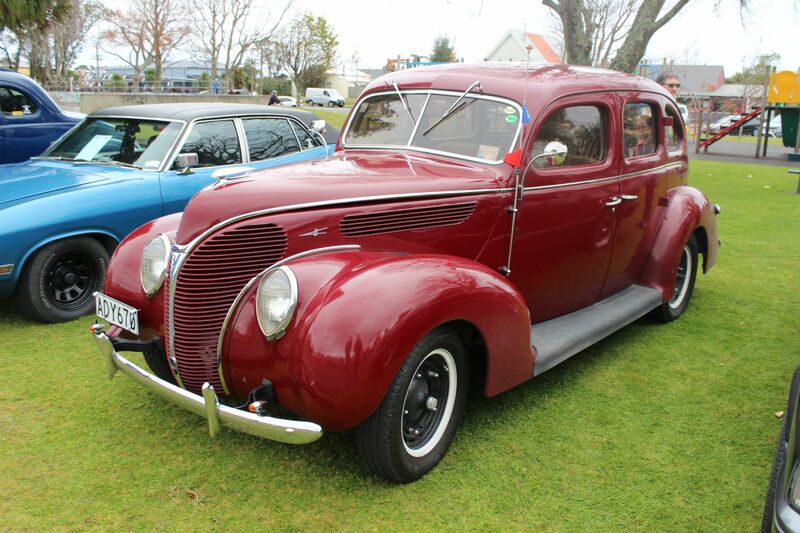 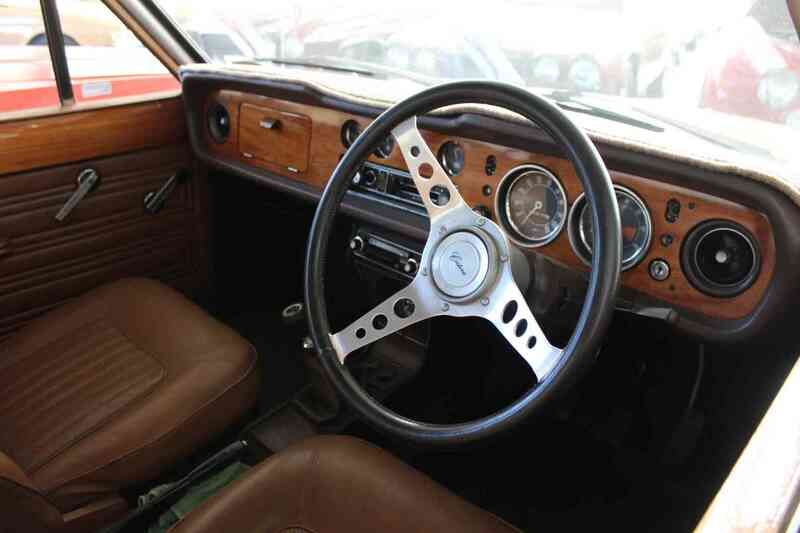 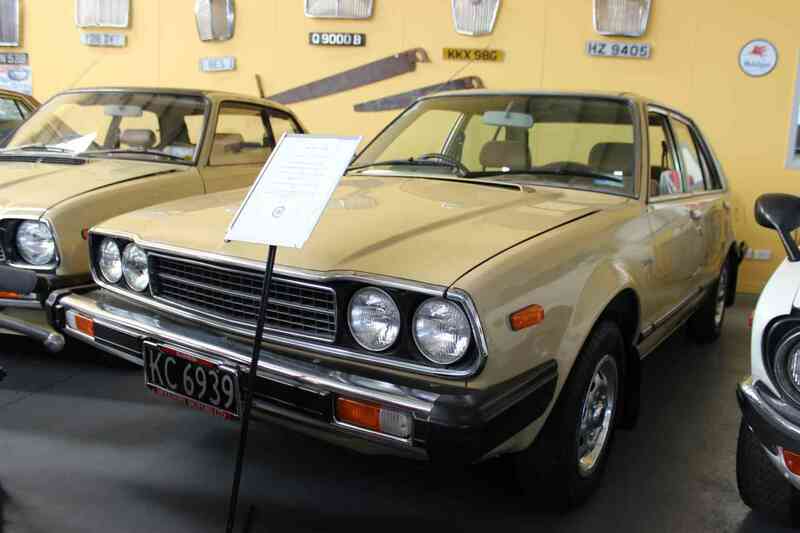 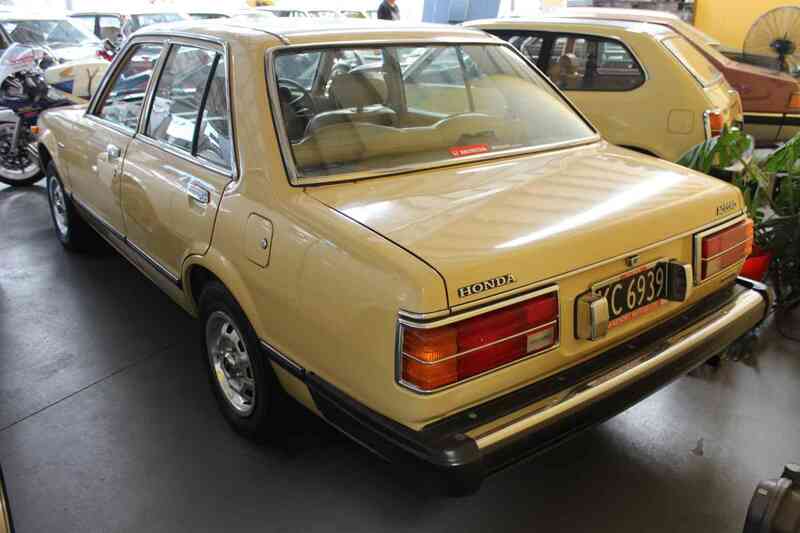 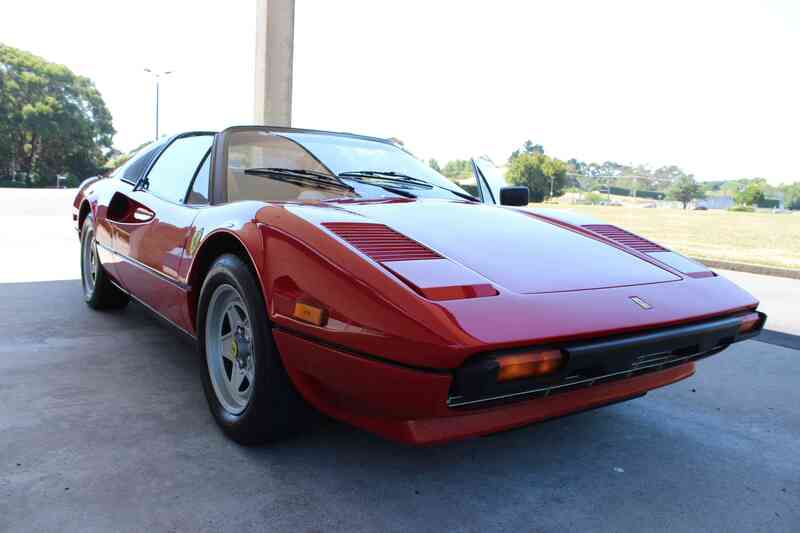 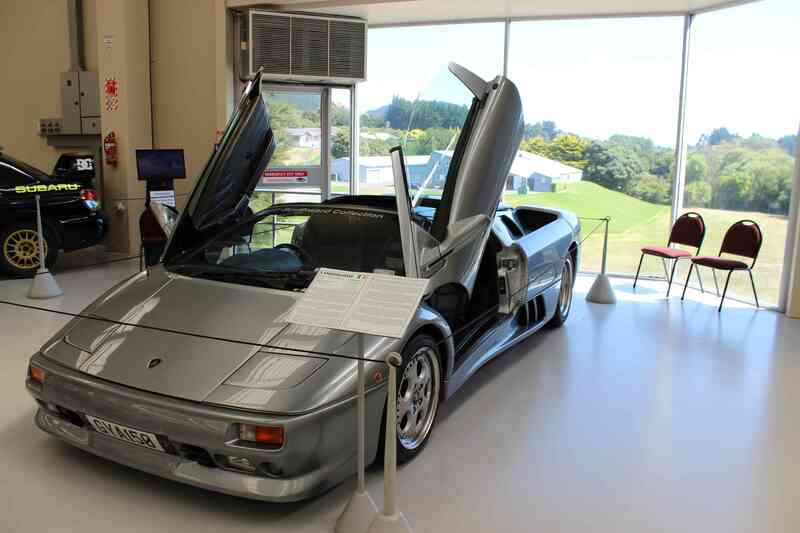 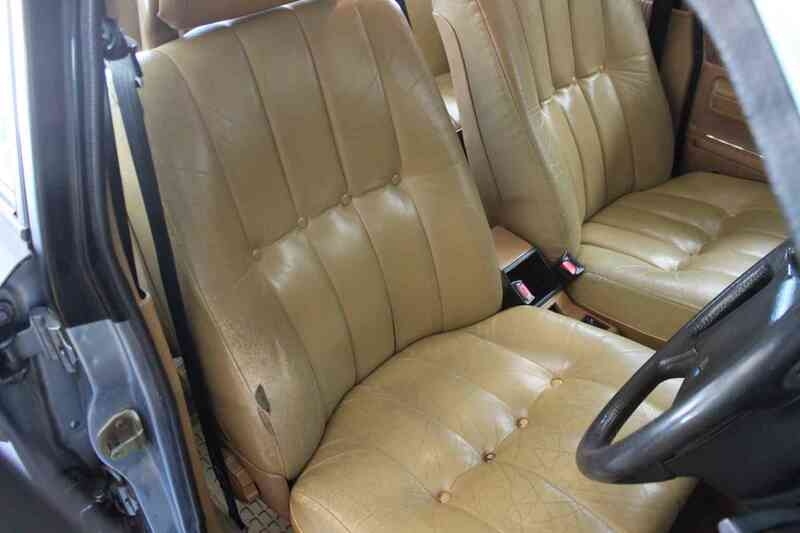 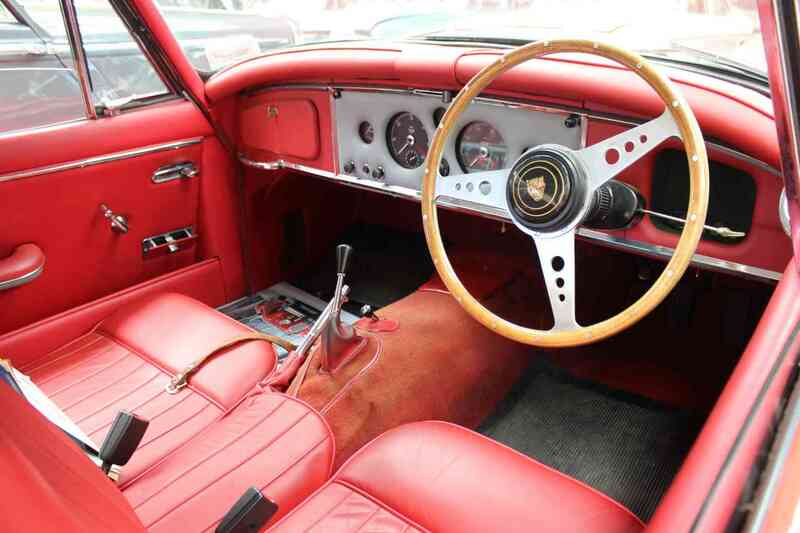 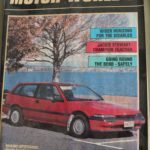 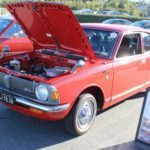 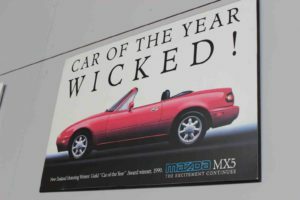 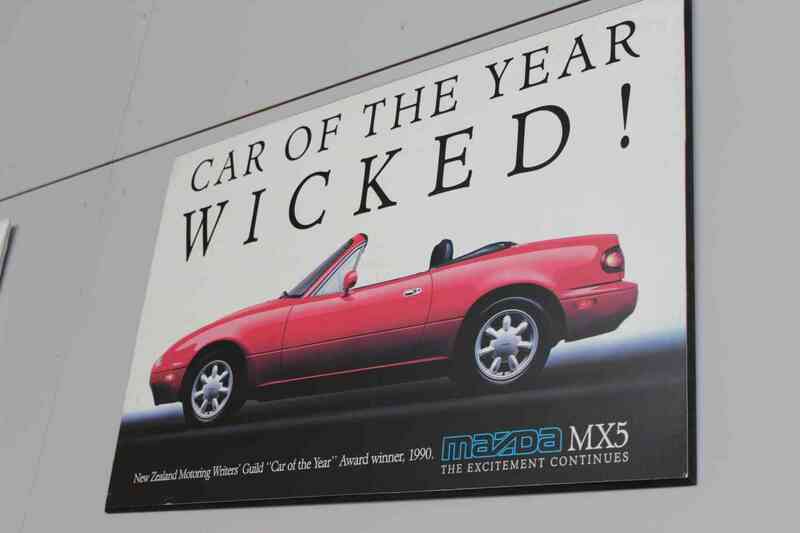 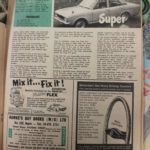 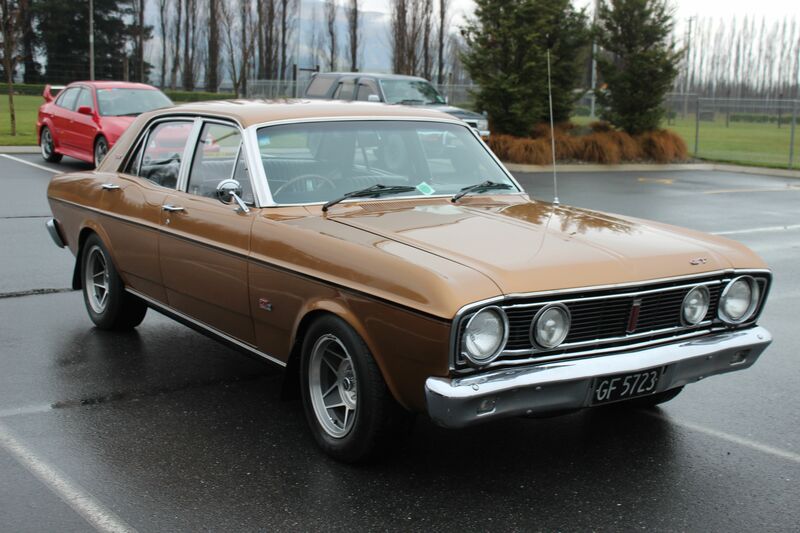 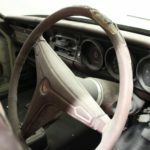 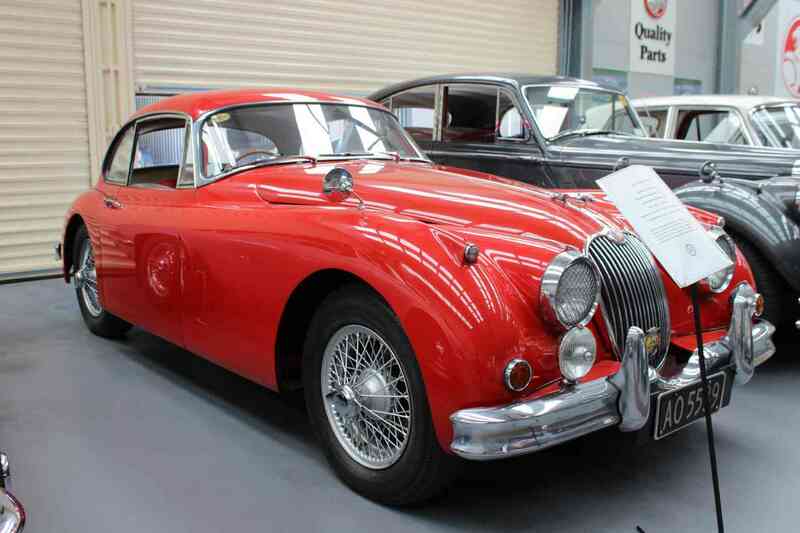 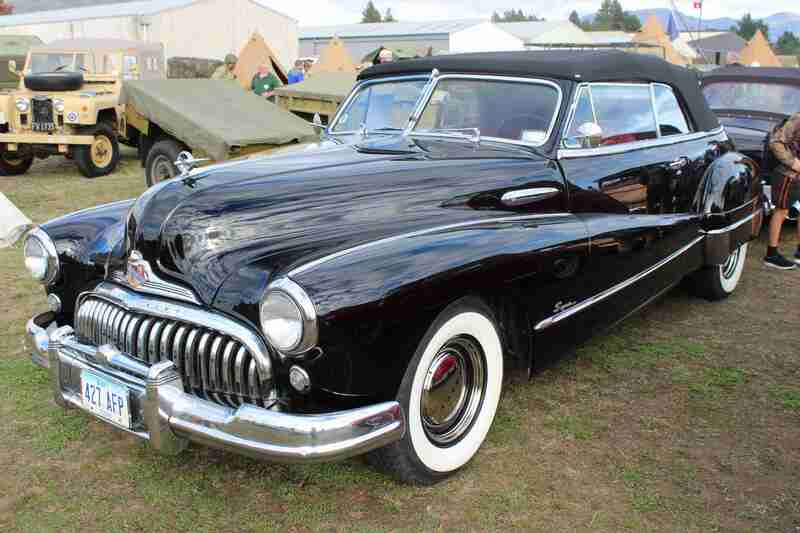 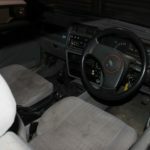 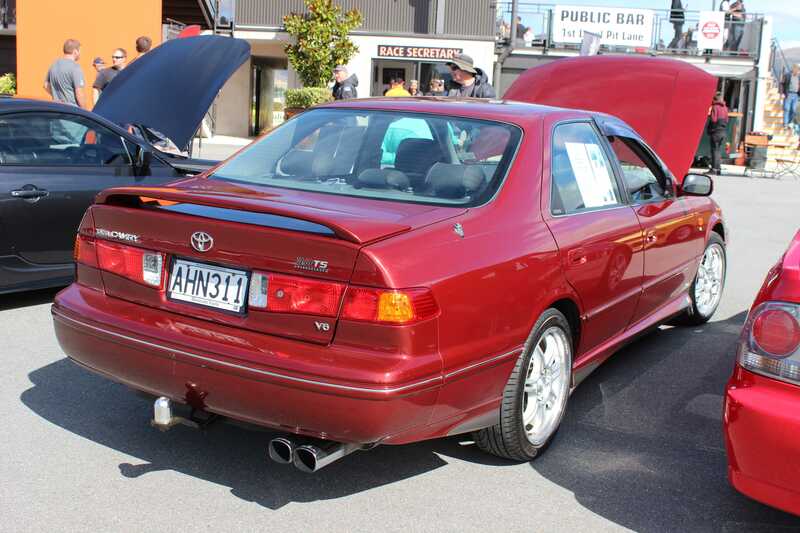 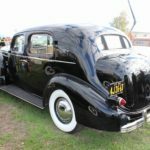 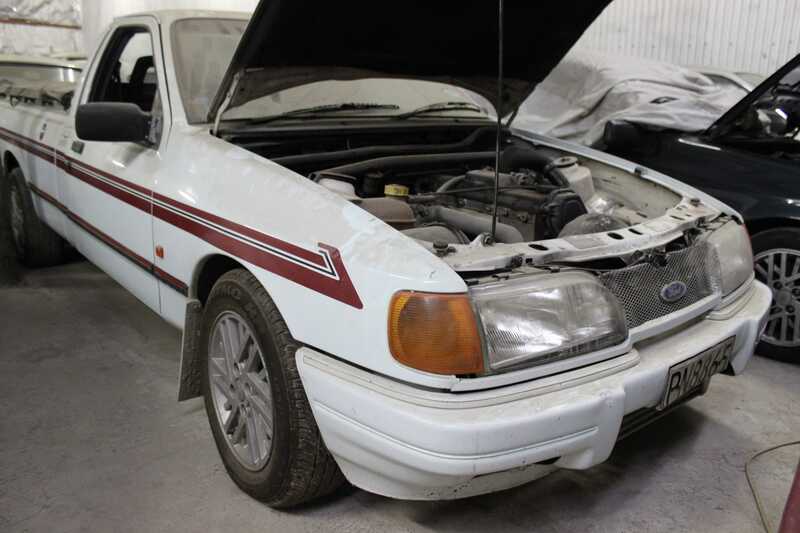 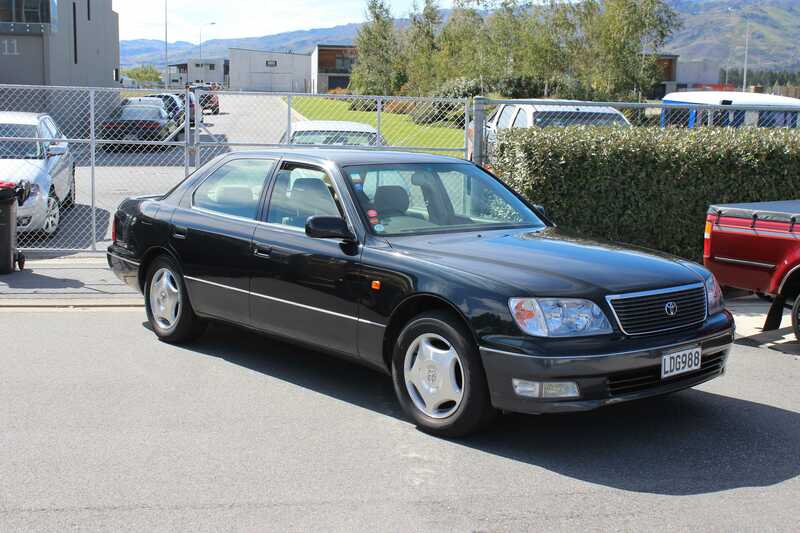 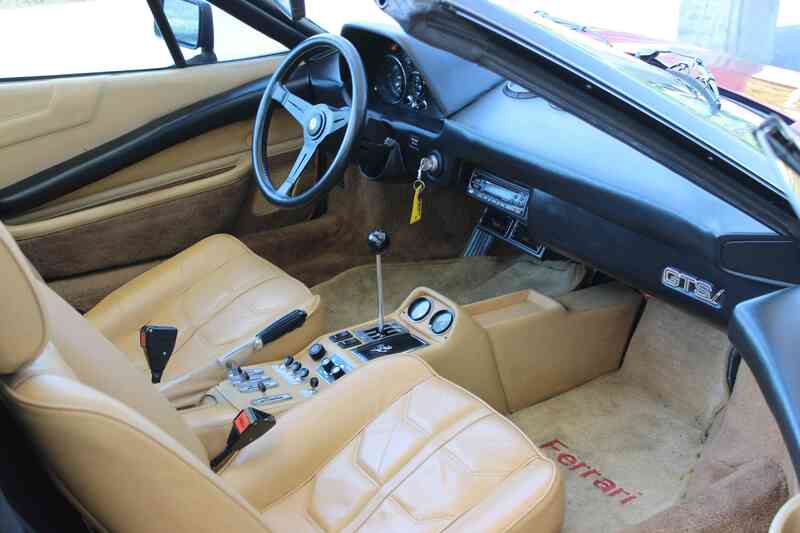 The owner had the car presented extremely well in original condition. 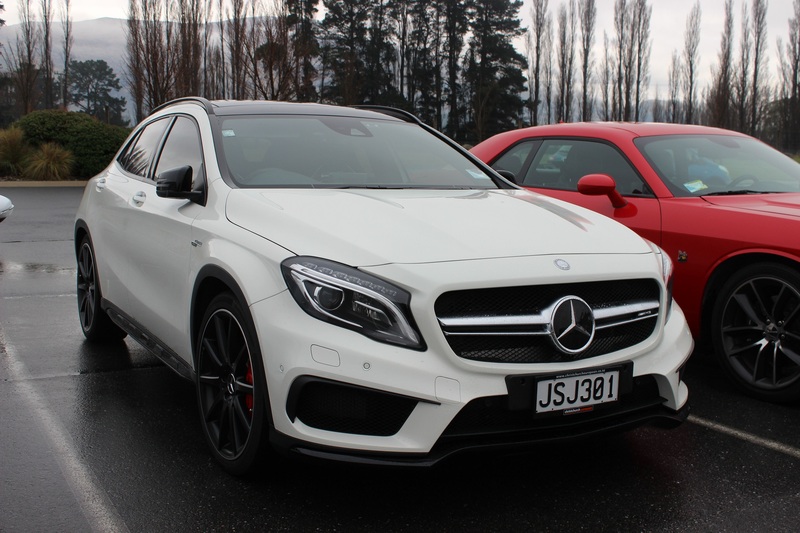 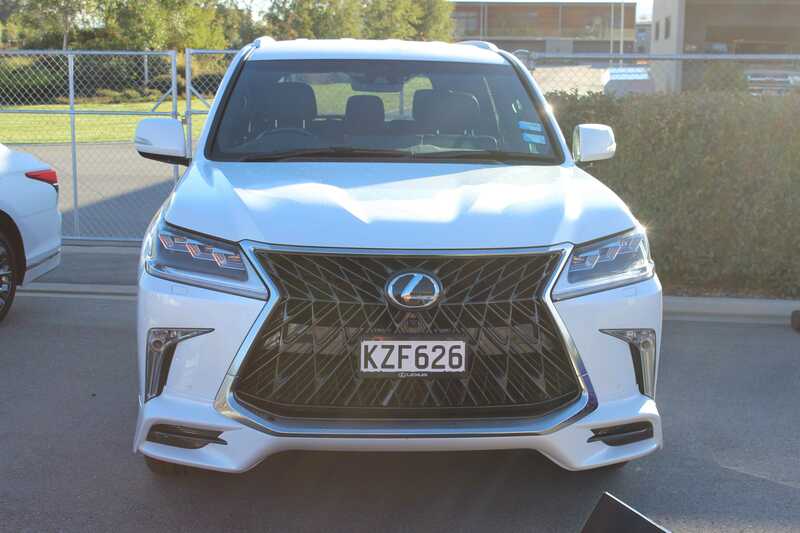 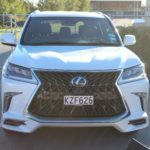 Take a look at the stone chips on the front bumper – proof that the car has been well used. 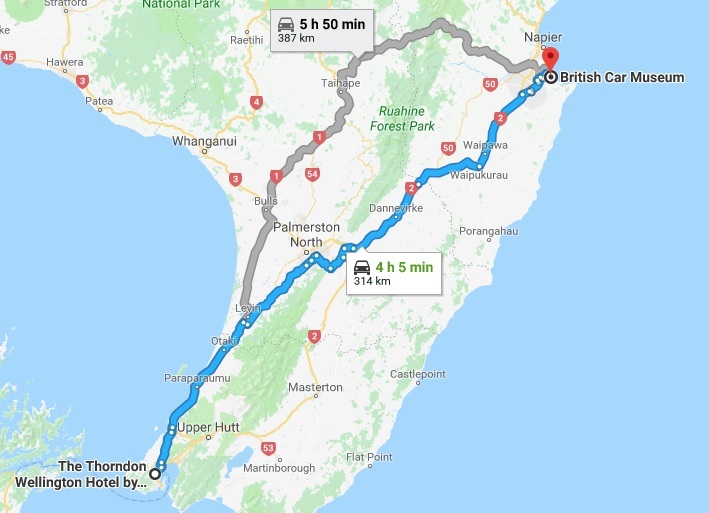 It was a nice little coastal town, that had a few little holiday houses and bed & breakfasts. The next stop was Mitchell’s Gully Goldmine, which, surprisingly is still owned by Valentine Mitchell – the great (or great-great) grandson of the original owner. 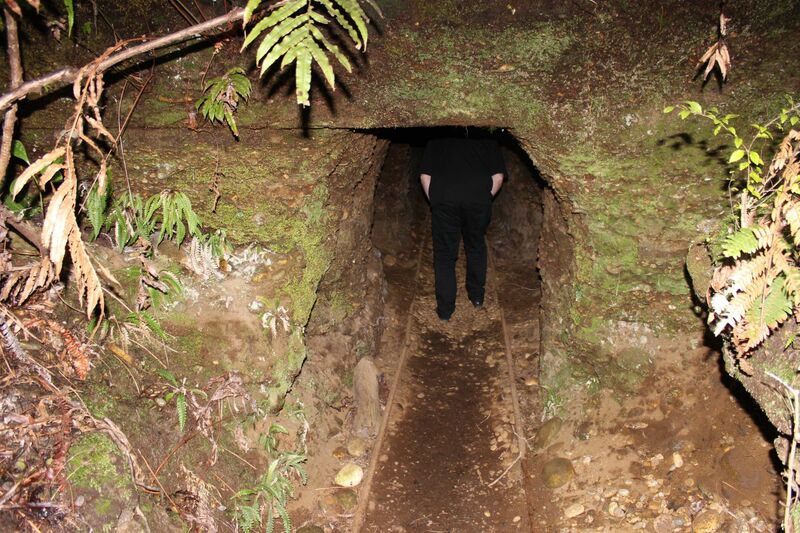 Paying the $10 entry fee, we set off on our adventure through the mine. 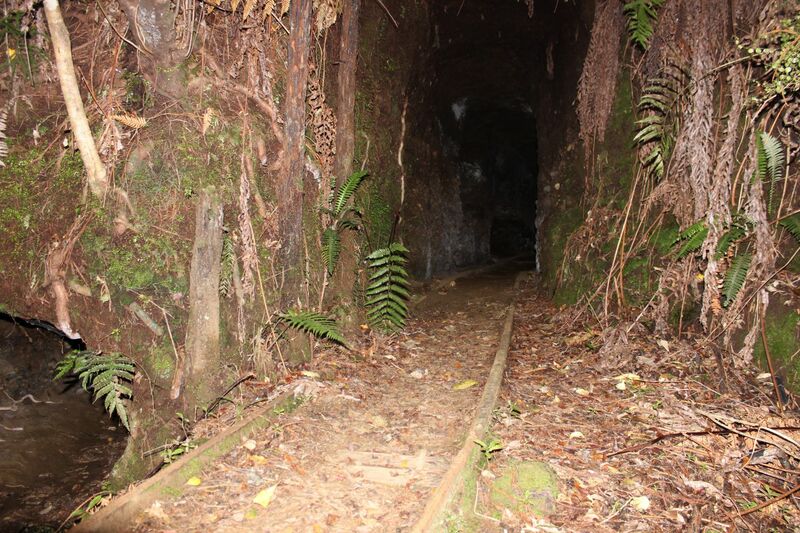 Aside from the track that has been cut out for the public to follow, the mine looks almost exactly as it would have when it was being actively mined in the 1860s. 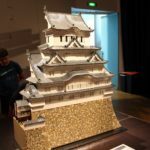 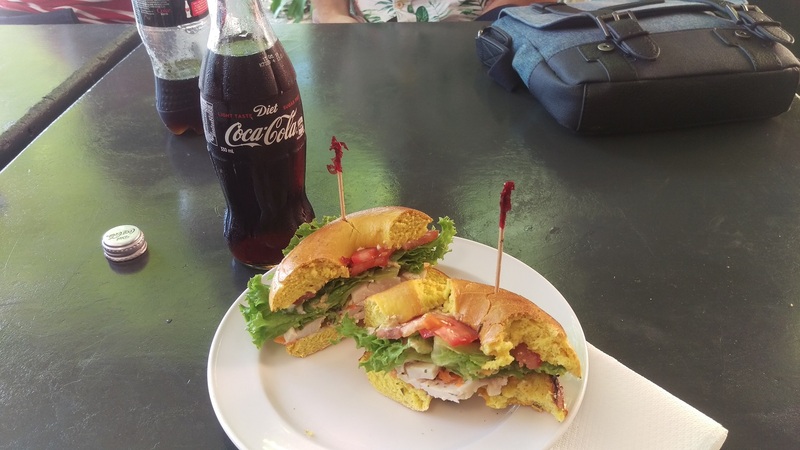 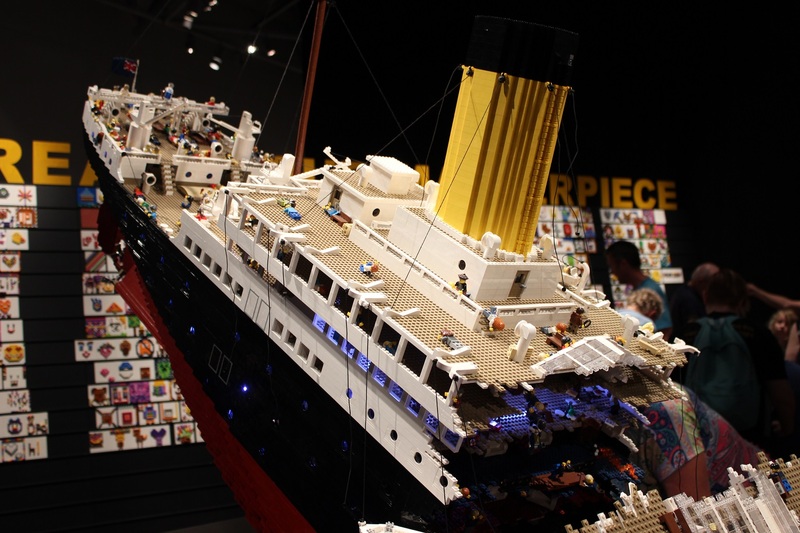 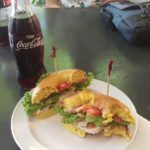 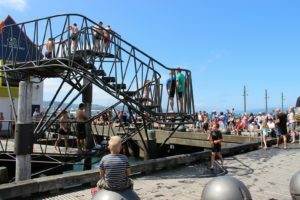 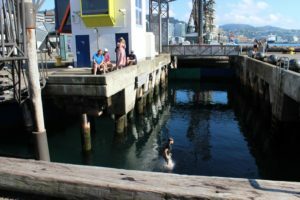 With a tourist based venture like this, I was surprised about the lack of health and safety. 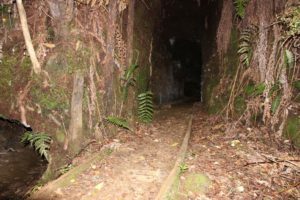 No mention of good shoes or a torch were mentioned, so I was pleased that I carry a penlight in my pocket, otherwise it would have been a little awkward in some of the tunnels. 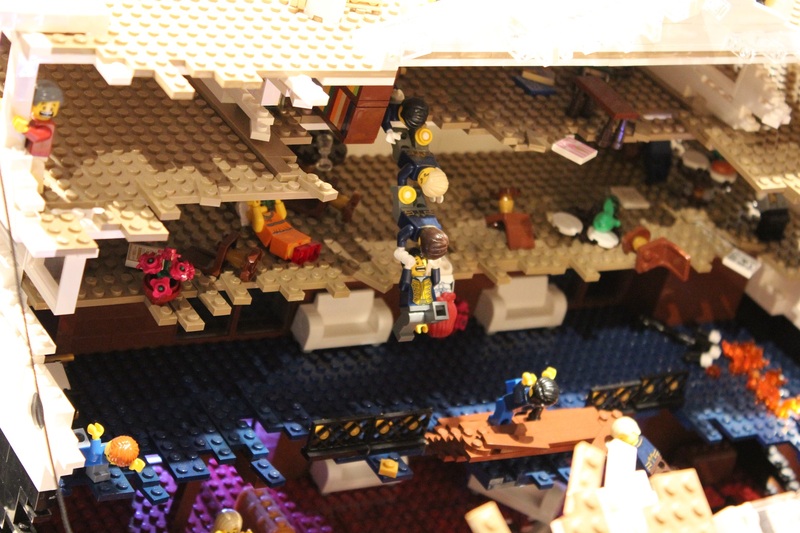 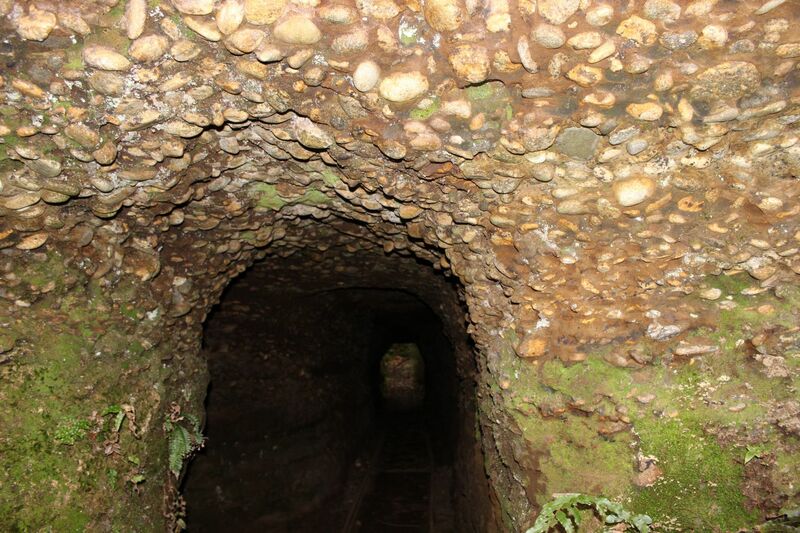 As you can see in the pictures there are no internal supports on any of those tunnels, they’re just 150 year old tunnels dug out of the dirt and stones. 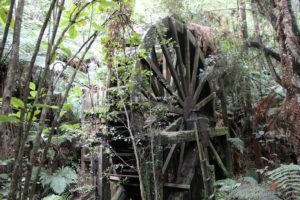 This is the last remaining waterwheel left in the whole of the Charleston area and powers the stamping battery situated beside it. The stamping battery crushes the material put into it, as it rotates the camshaft. The owner appeared while we were looking at it and told us that it’s the third waterwheel on this exact spot, which he had built himself in the 70s. 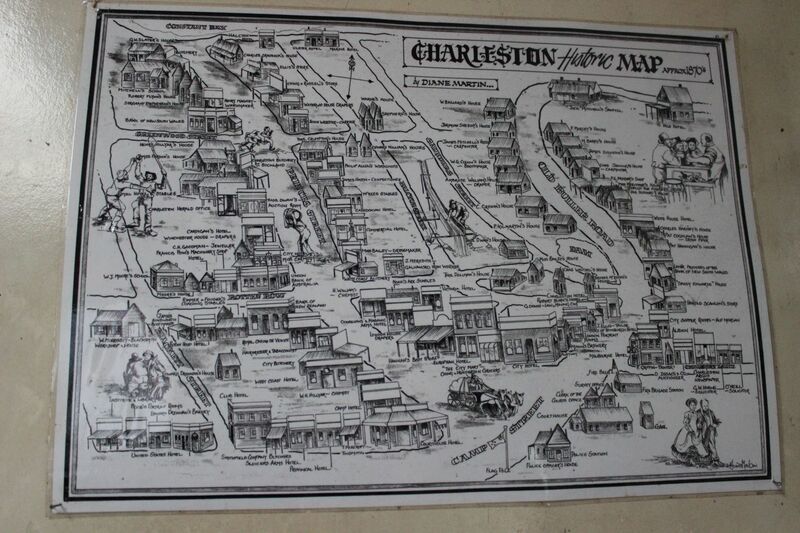 The whole Charleston area is actually an ancient beach and at some spots, you can see the layers and layers of sand from hundreds of years. 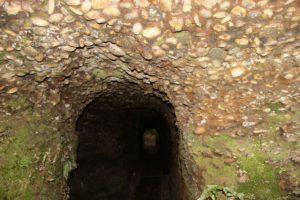 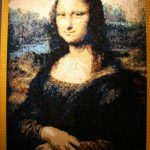 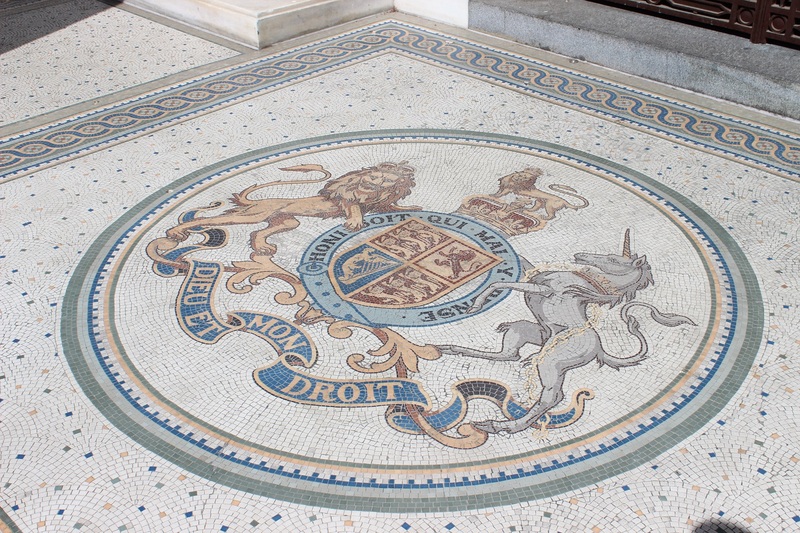 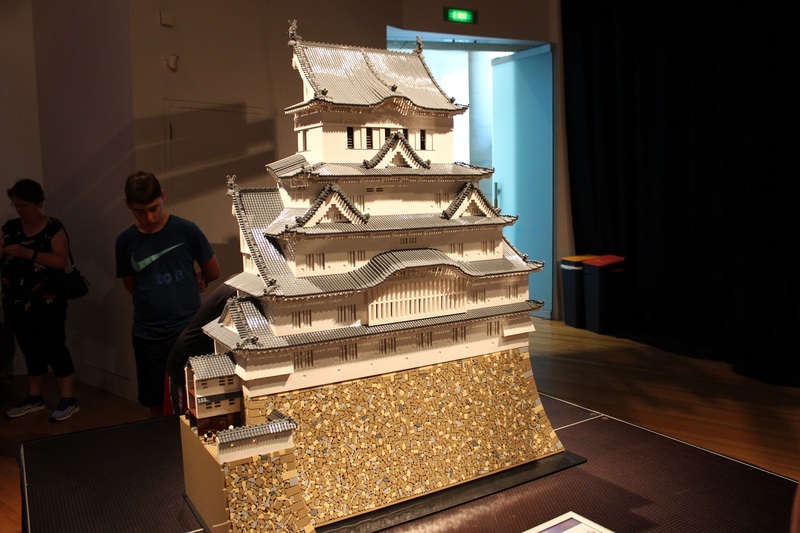 The sand is cemented with iron, so the material is broken down using the stamper and the gold extracted using materials such as mercury baths. 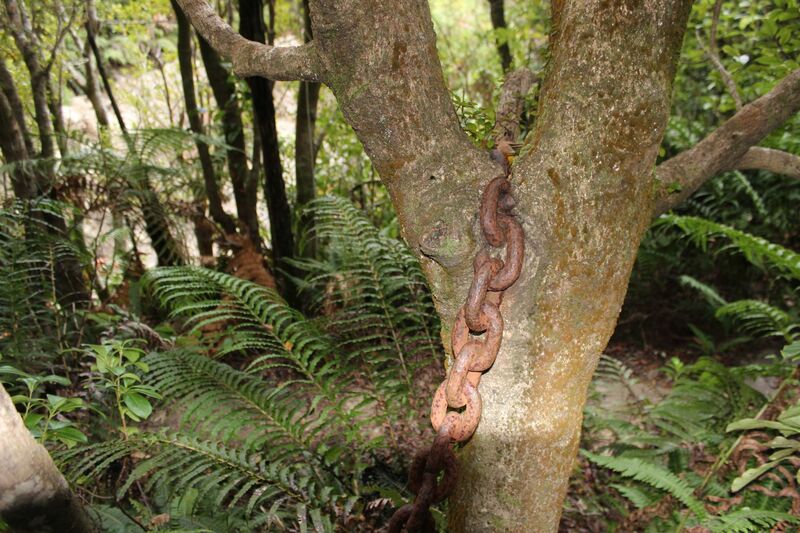 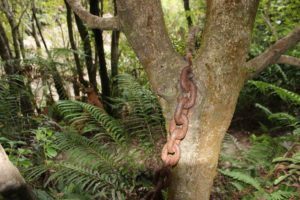 The scenery on the 40-odd minute walk through the tunnels and area was pretty cool, including this old chain that the owner had left sitting on this tree in the 70s and had never picked up again. 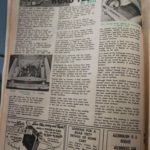 In the office were a bunch of old photos, memorabilia and newspaper articles from the late 1800s. 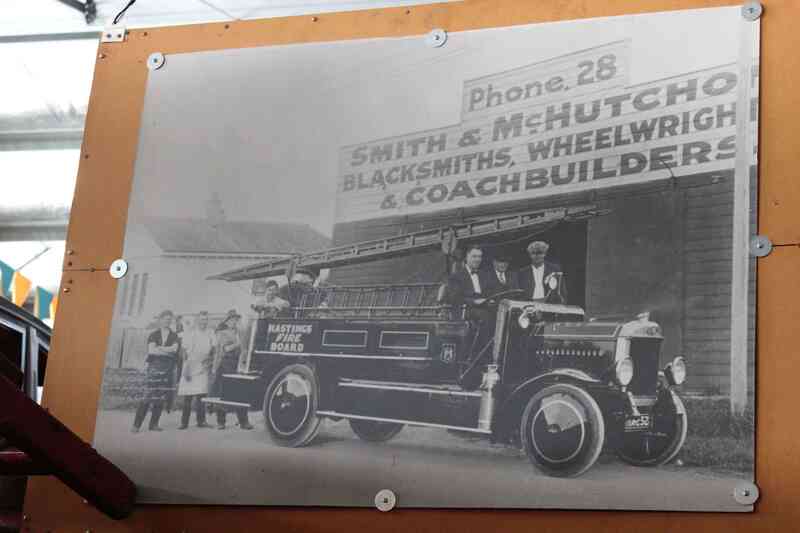 As you can see in the pictures, Valentine’s grandfather was using his Ford Model T in 1921 at the mine. 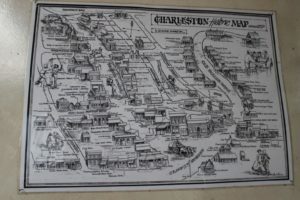 The Charleston map from approximately 1870 shows just how busy the town was – gold miners from all over the world arrived to make their living. 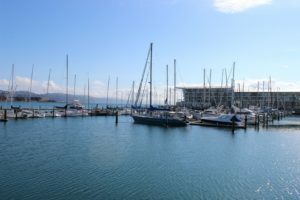 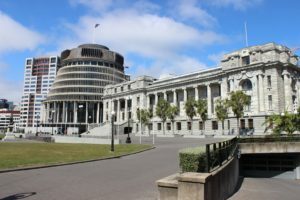 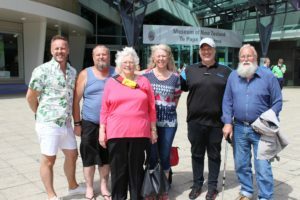 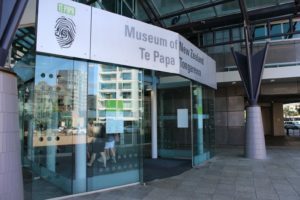 Valentine said that he believes New Zealand is the melting pot of the world, with most of us having ancestors from many different countries. 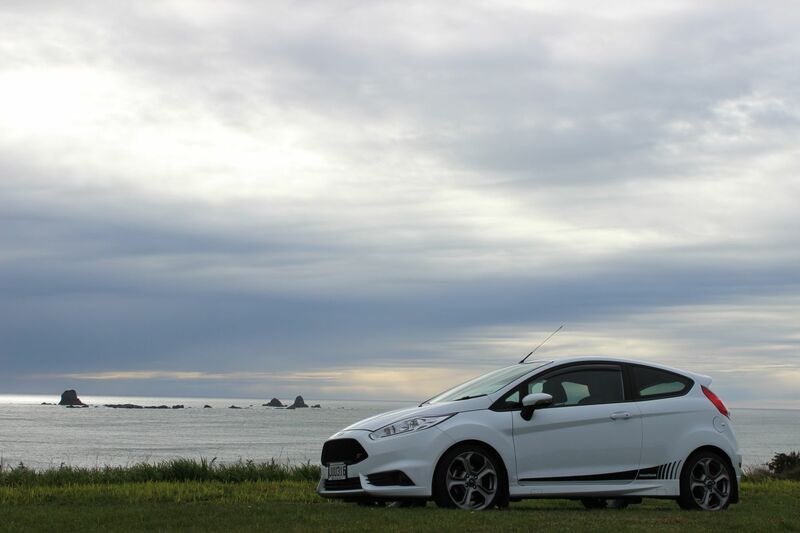 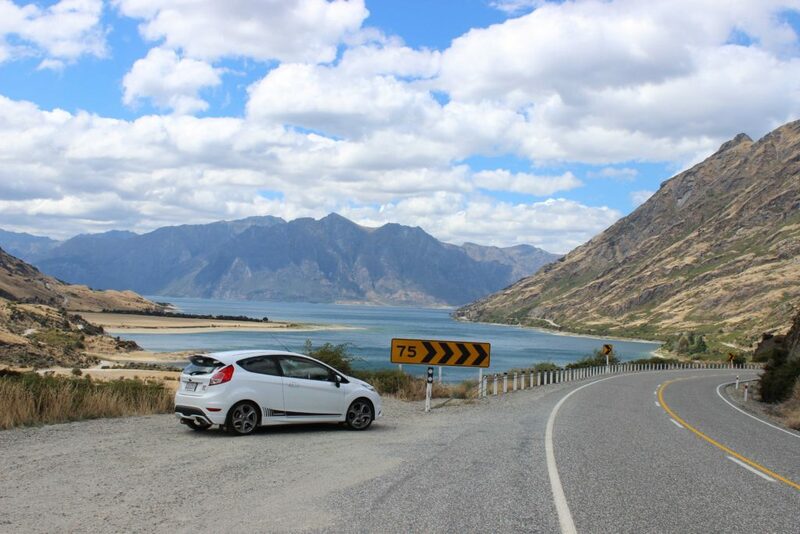 Driving the remaining distance back into Greymouth, I managed to park the ST up and take a few “beauty” shots. 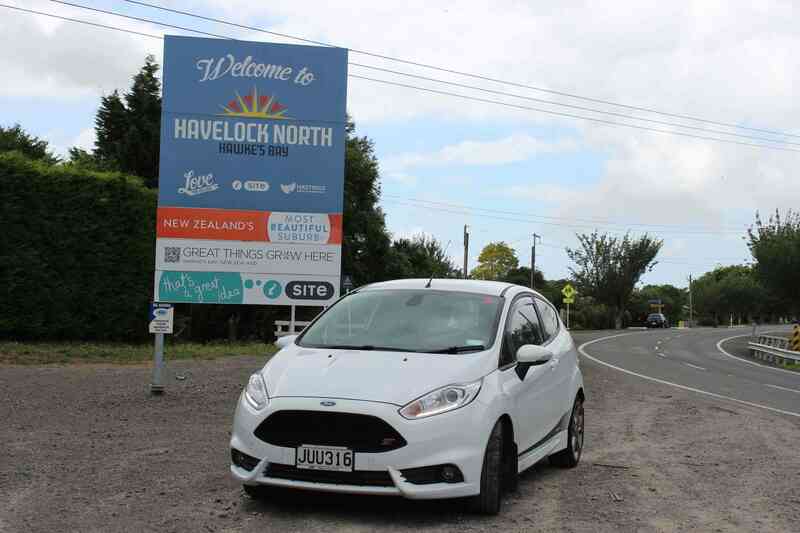 Monday morning consisted of the 700 kilometer journey back home, with the car even making it home on a single tank of gas. 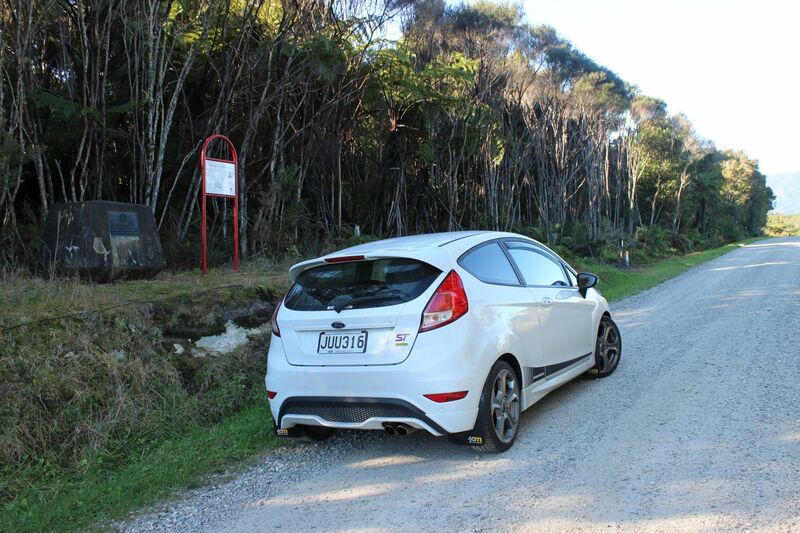 It was another good trip away in the car and a great way to celebrate my first two years with the car. 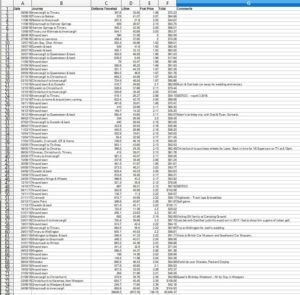 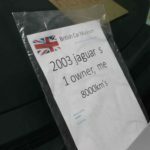 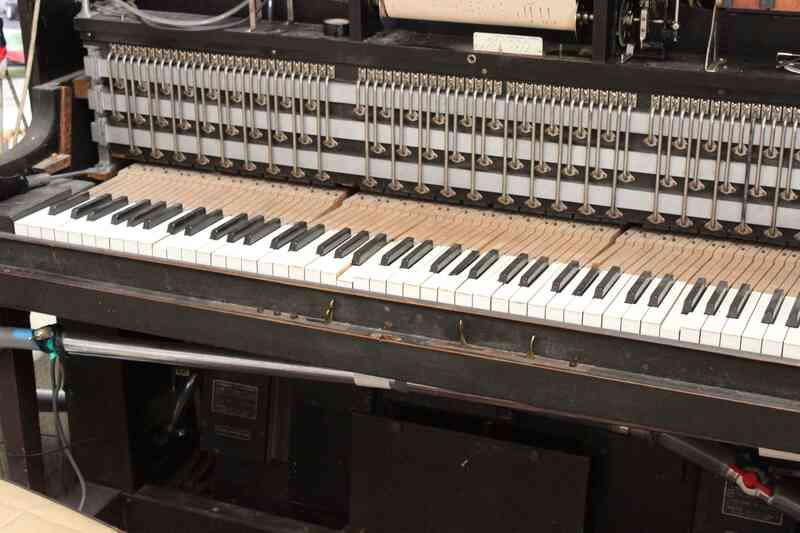 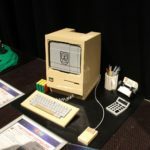 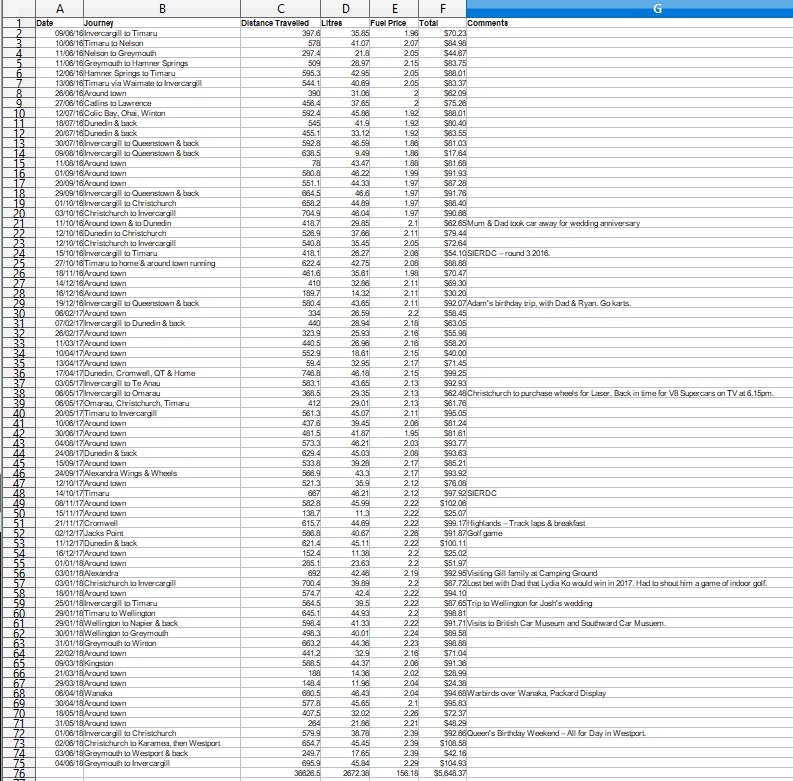 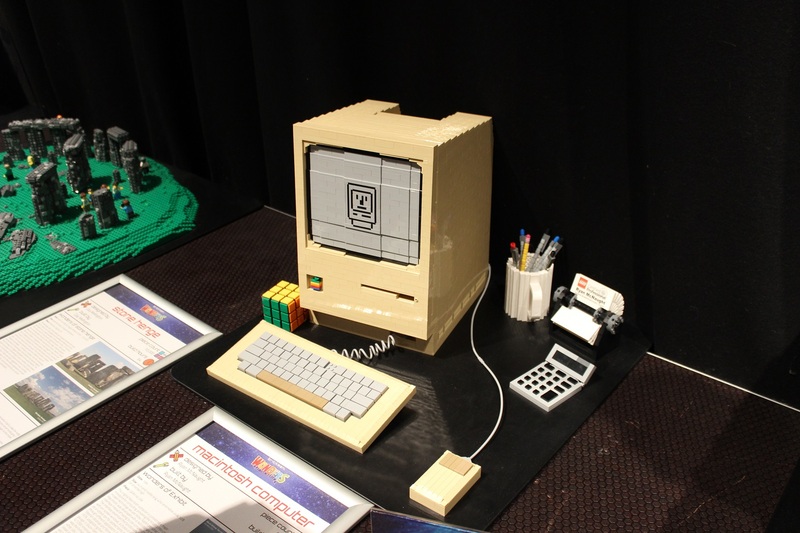 I’ve got another post underway covering my ownership costs so far and a video to go with it. Stayed tuned! 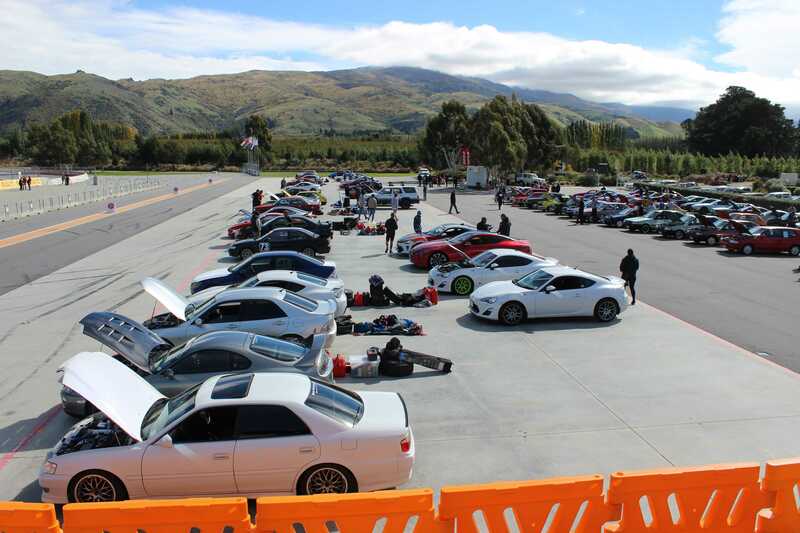 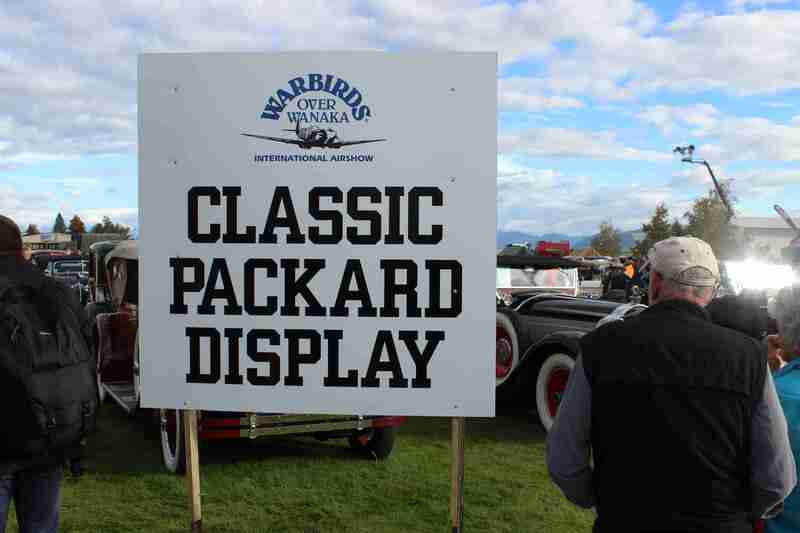 Easter weekend in Wanaka is one of the biggest that they experience, with the bi-annual ‘Warbirds Over Wanaka’ event. 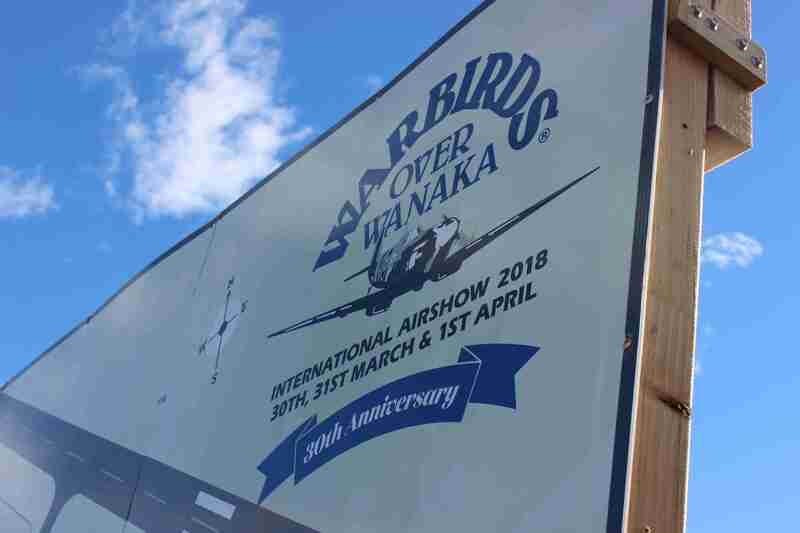 It’s the biggest airshow in the South Island and features three full days of ground and air events, culminating in a great event for air enthusiasts. 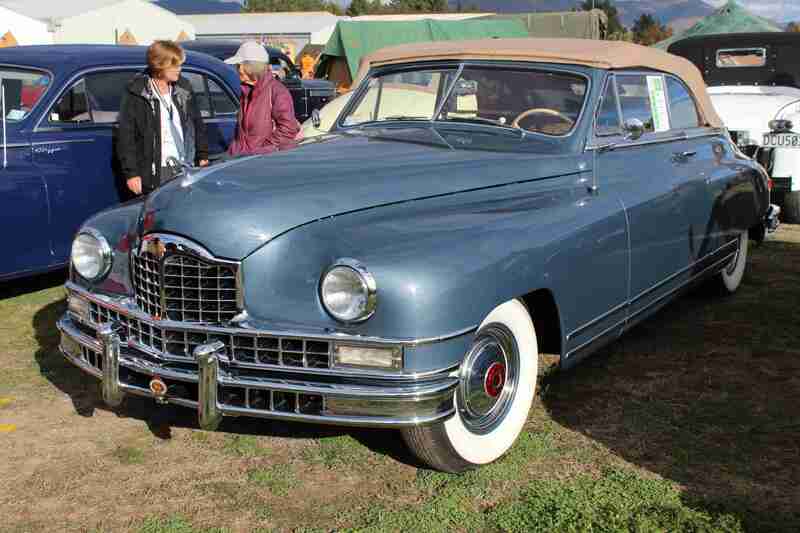 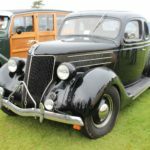 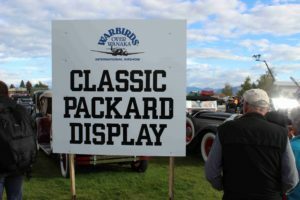 I left on the Friday morning, as I was more interested in seeing one of their ground displays – the Packard Car Display. 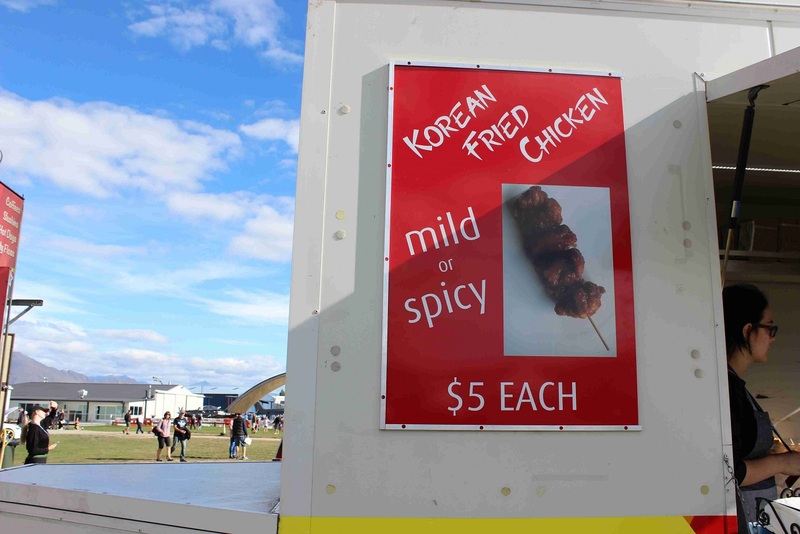 Entry for Friday was cheaper ($60), compared to either the Saturday and Sunday when the airshow would be in full flight, pardon the pun. 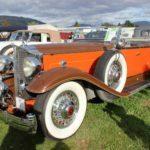 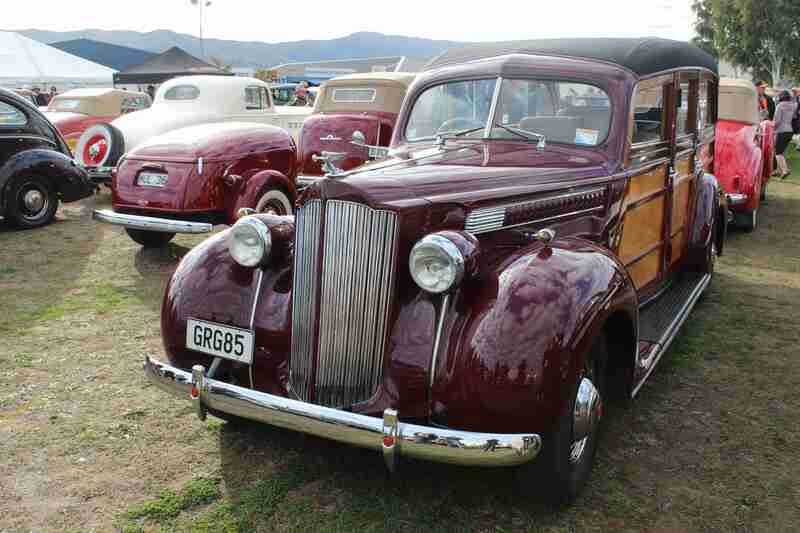 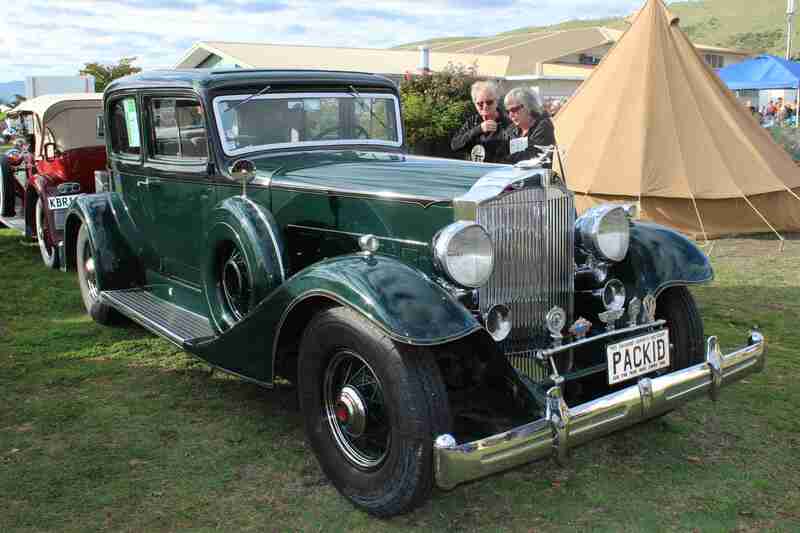 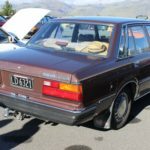 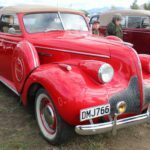 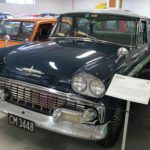 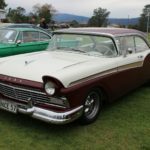 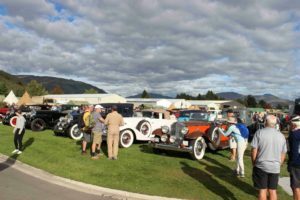 The Packard Car Display is like nothing we’re ever likely to see back in New Zealand again, as out of the approximately 50 cars, there were 10 that had been brought over from the United States. 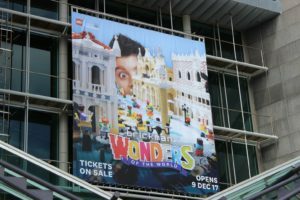 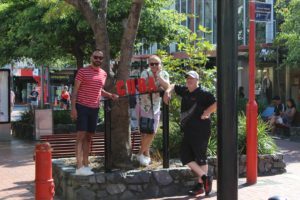 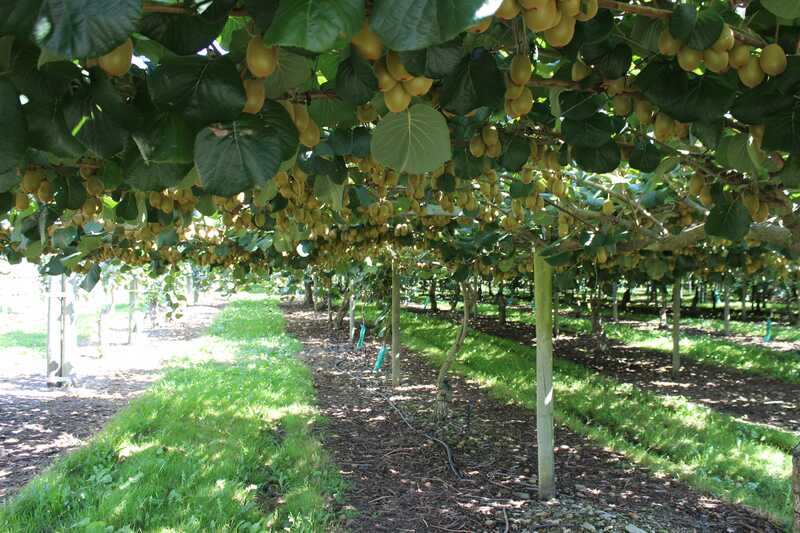 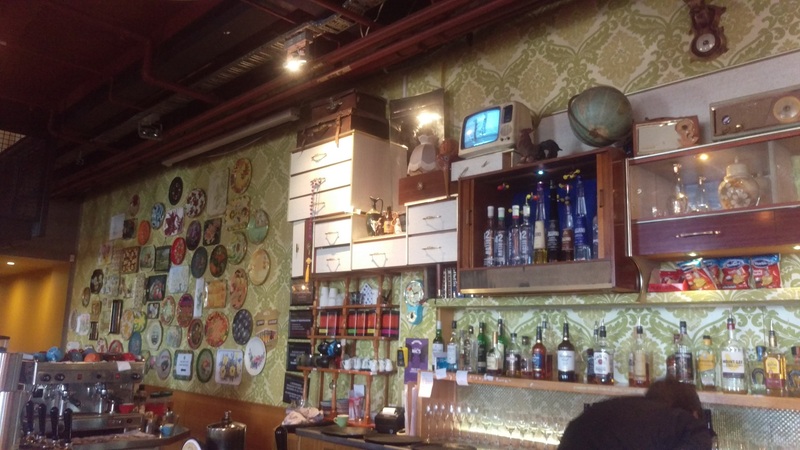 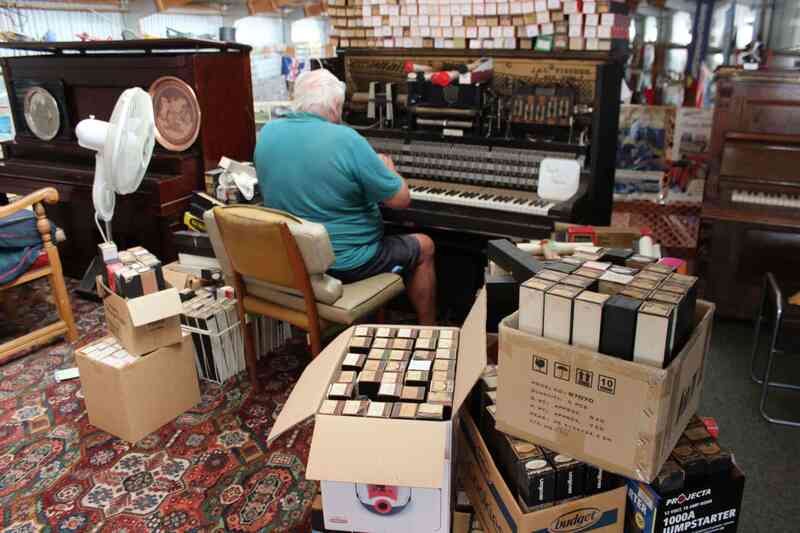 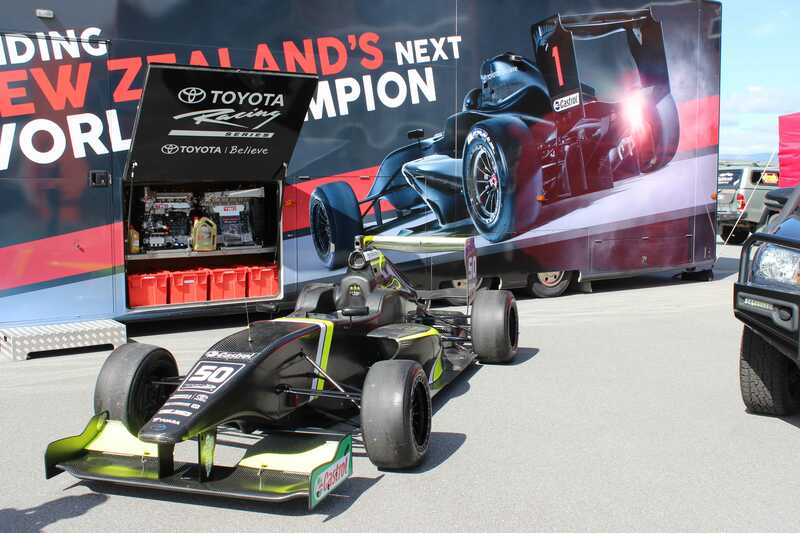 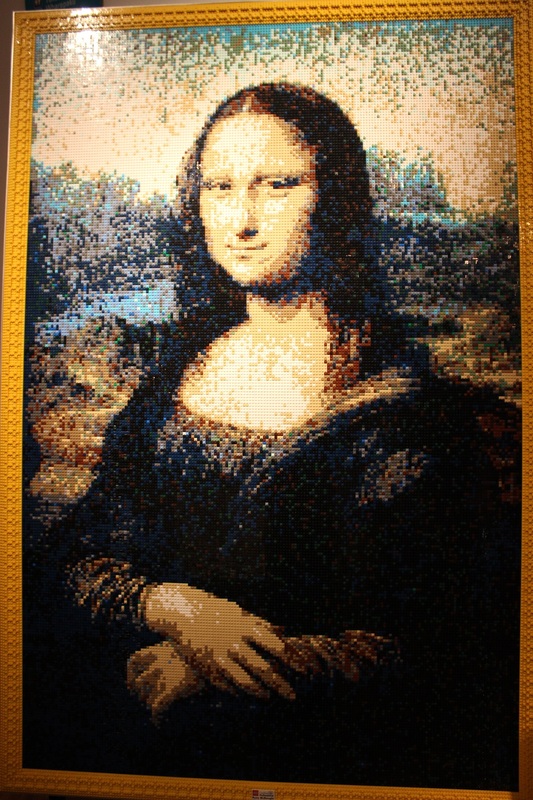 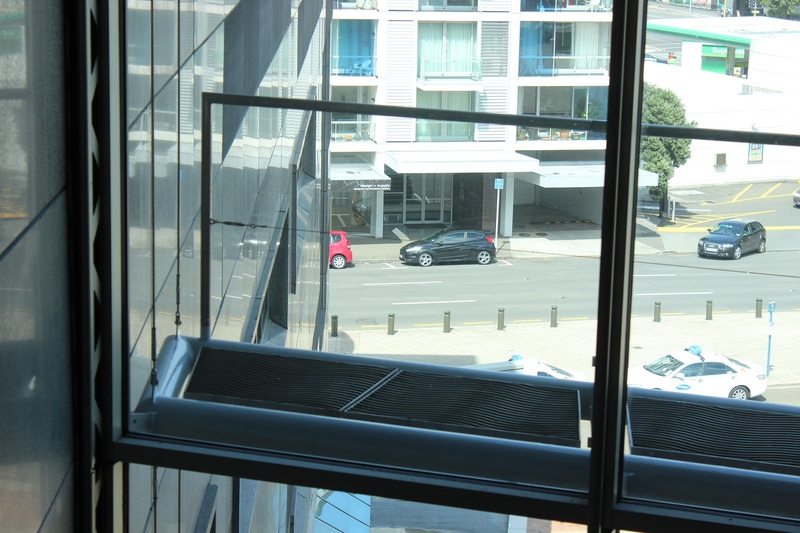 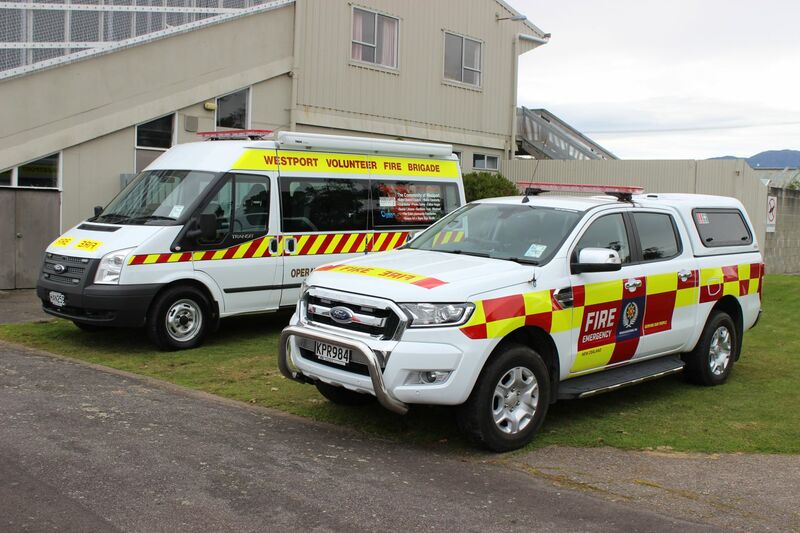 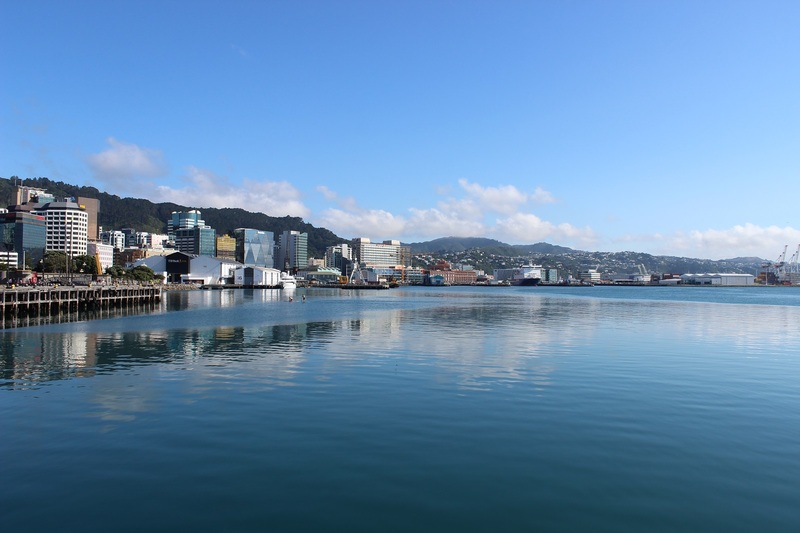 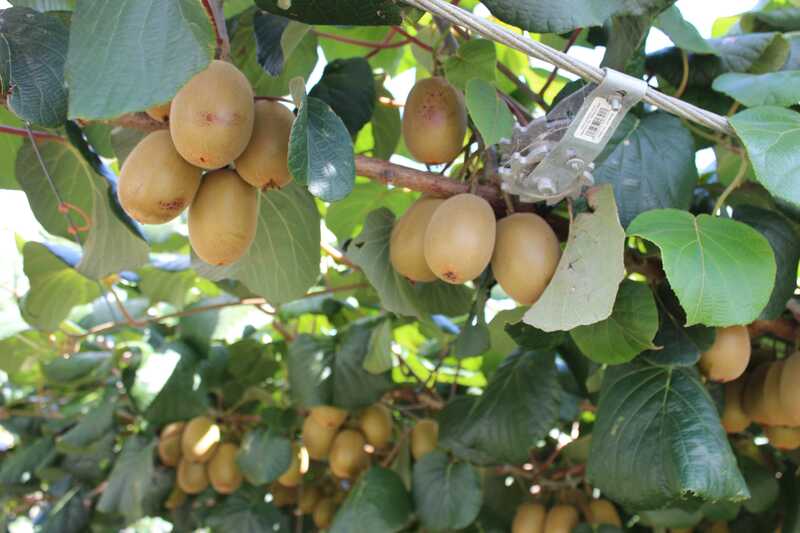 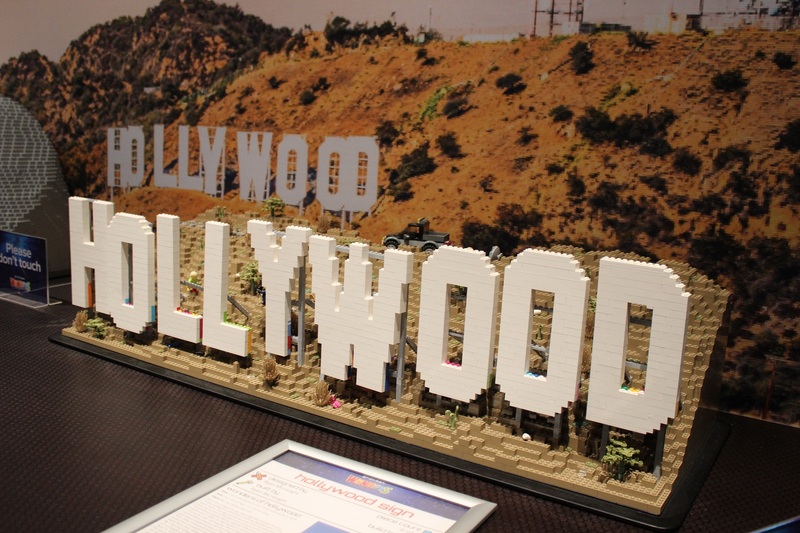 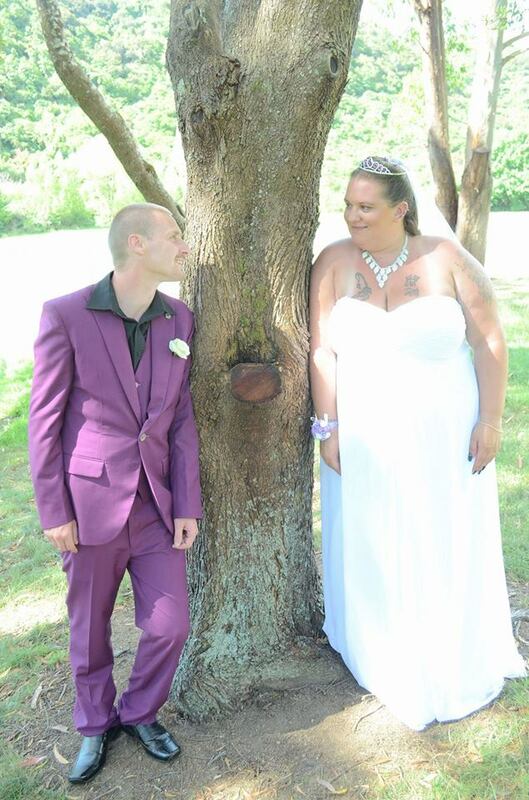 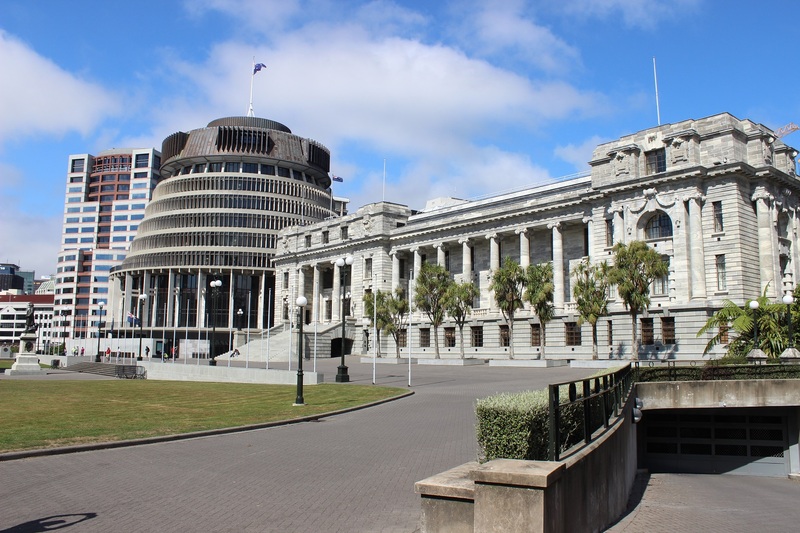 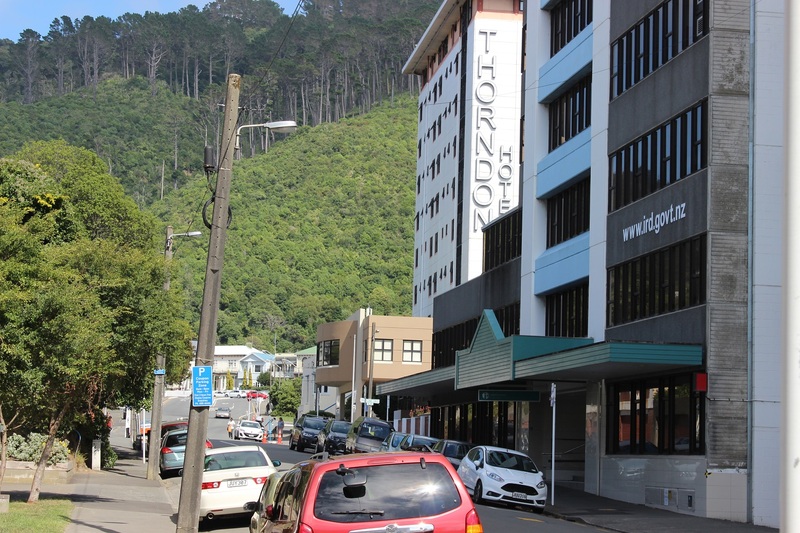 – Auckland, Hamilton, Cambridge, Whangarei, Lower Hutt, Nelson, Motueka, Queenstown & Wanaka. 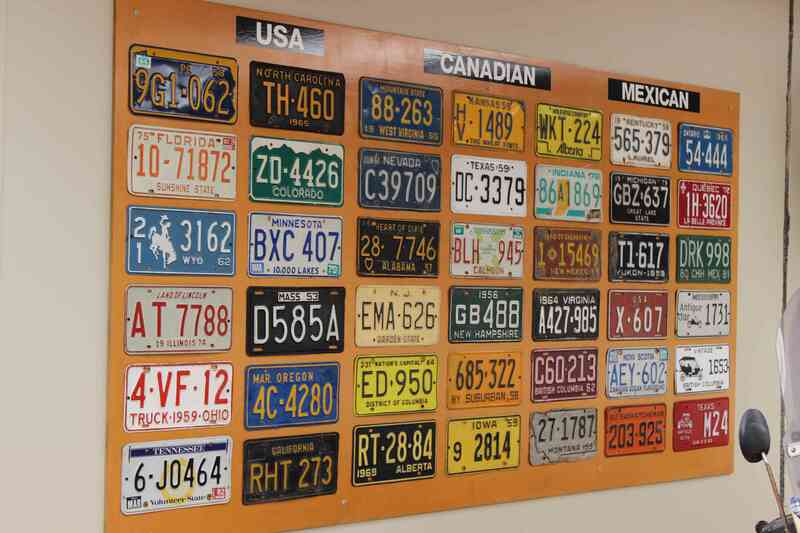 – Colorado, Massachusetts, Maryland, Michigan, New York & Washington State. 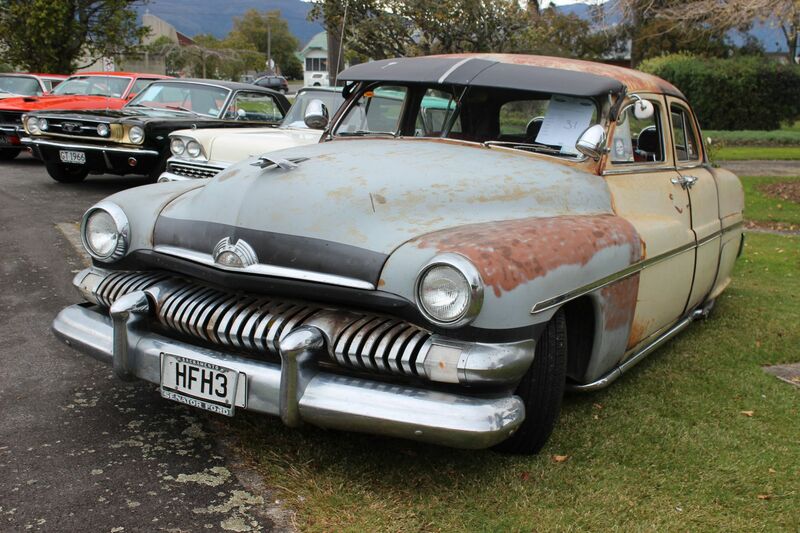 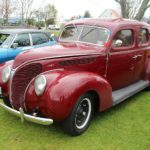 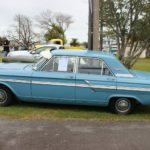 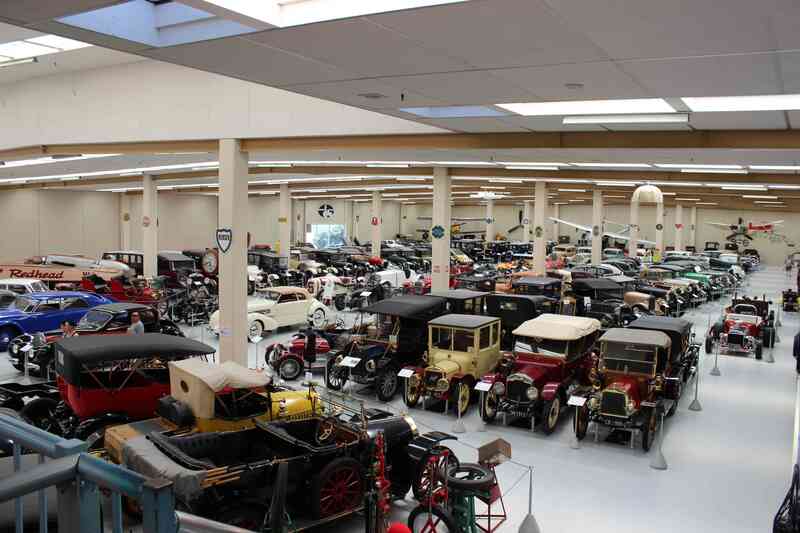 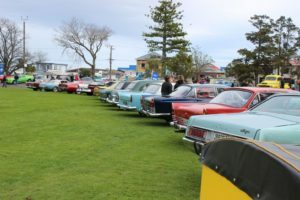 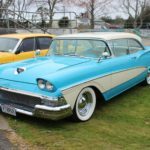 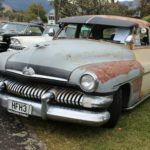 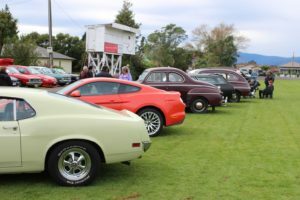 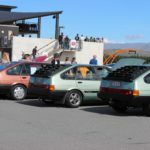 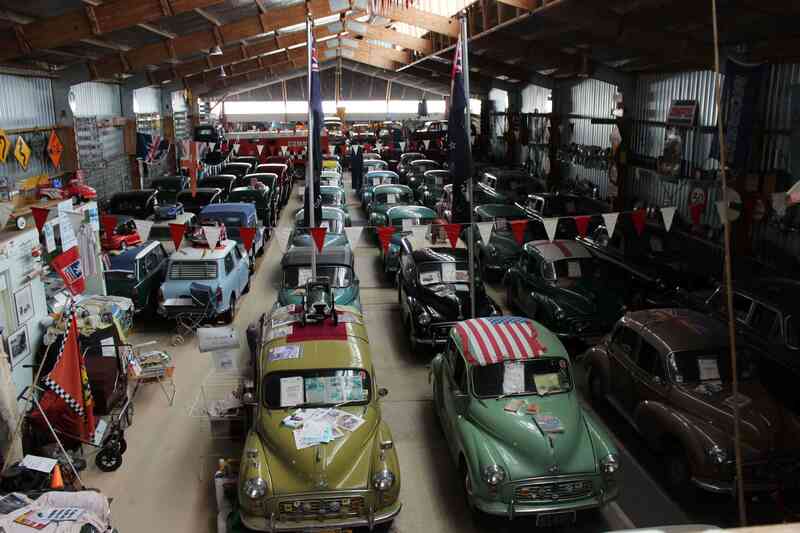 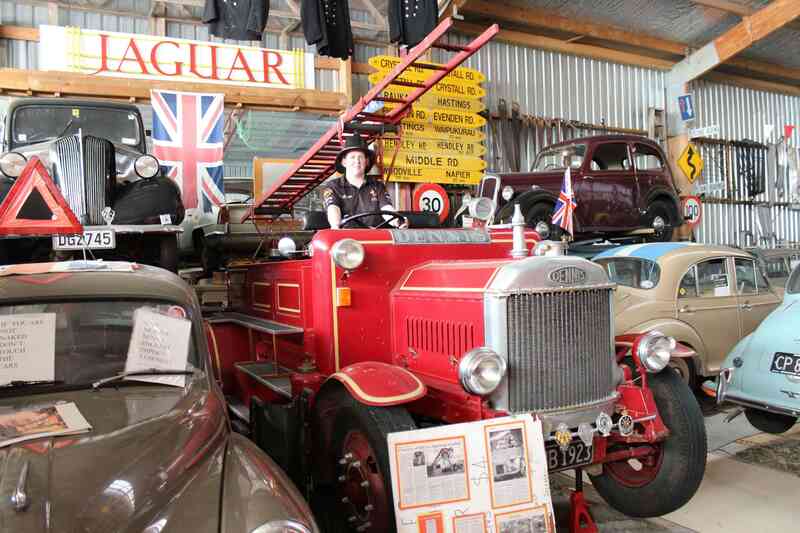 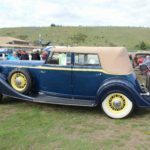 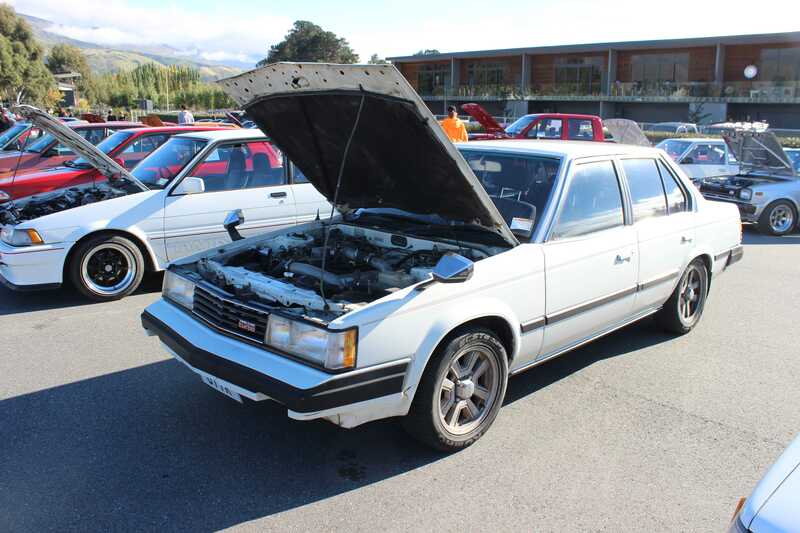 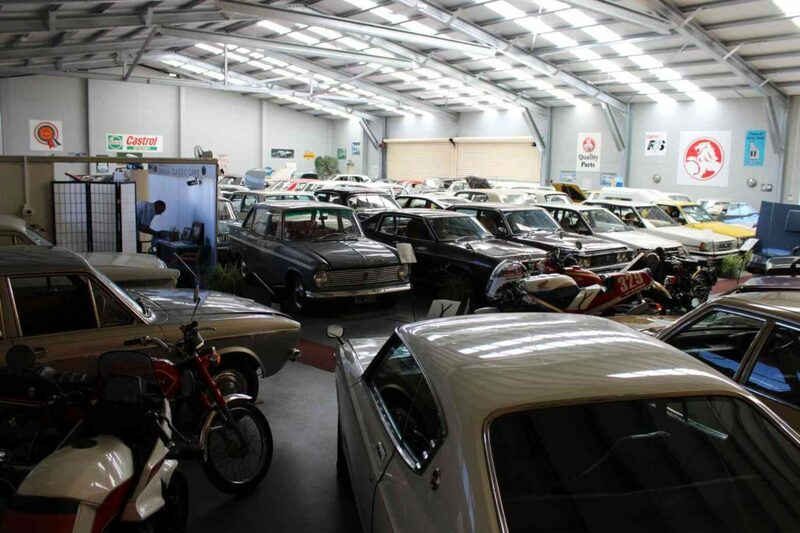 This display was orgnaised by the Packard Car Club of New Zealand and you could tell that they had managed to source a large number of cars from the same marque, owned by an enthusiast bunch of owners. 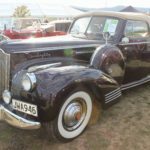 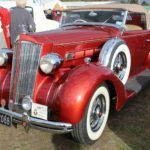 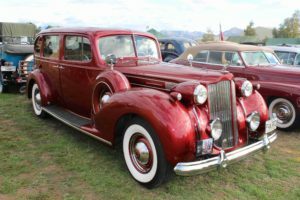 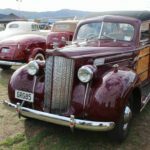 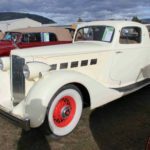 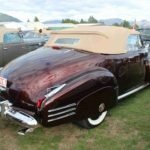 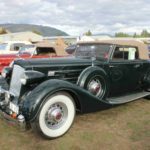 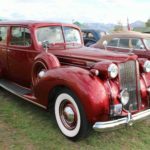 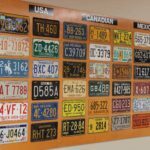 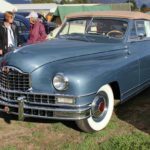 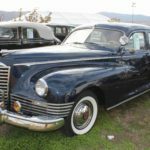 I was surprised at how many owners had signs up with the classic Packard selling line that originated back in 1900 at the New York Auto Show – “Ask the man that owns one”. 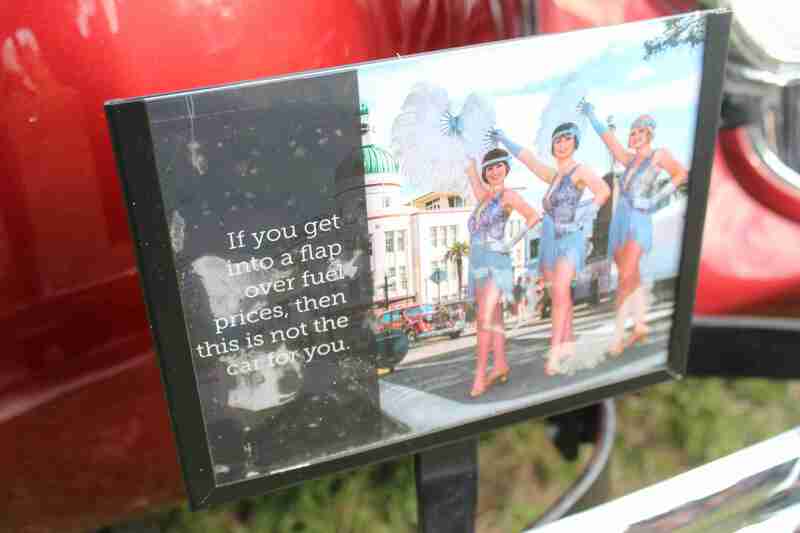 A motto they were still truly supporting as they each happily discussed their cars with interested spectators. 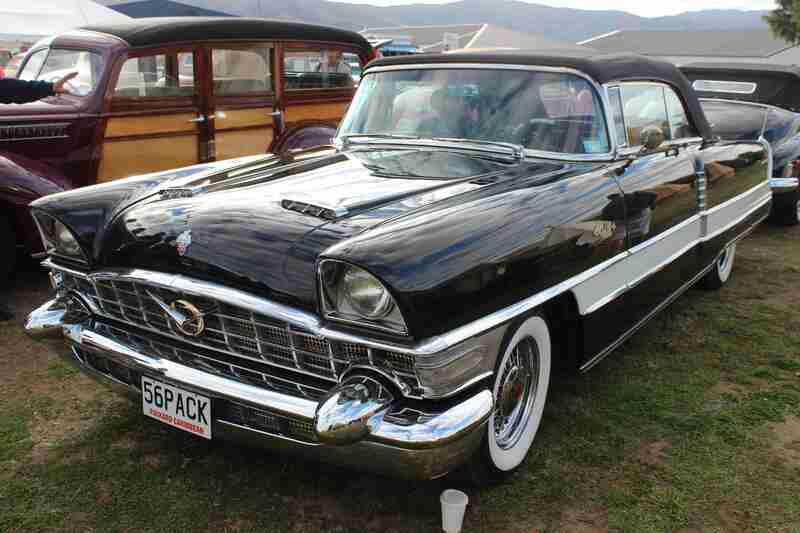 One such example was my conversation with the owner of this 1956 Packard Caribbean Convertible. 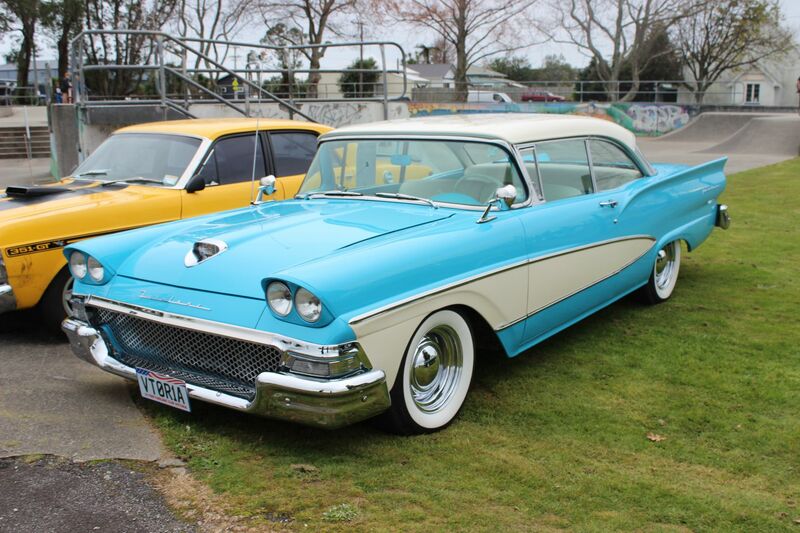 In 1955, Packards were fitted with new torsion-level suspension. 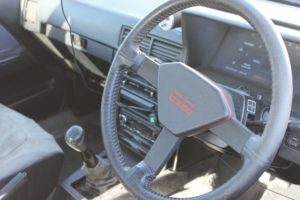 Basically, it means that if you hit a bump, the force is transmitted to the opposite wheel – reducing the stress put through the frame of the car. 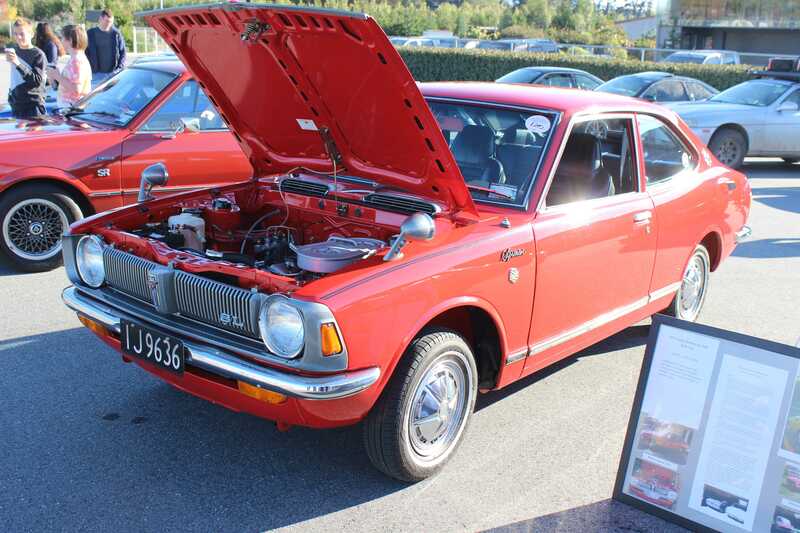 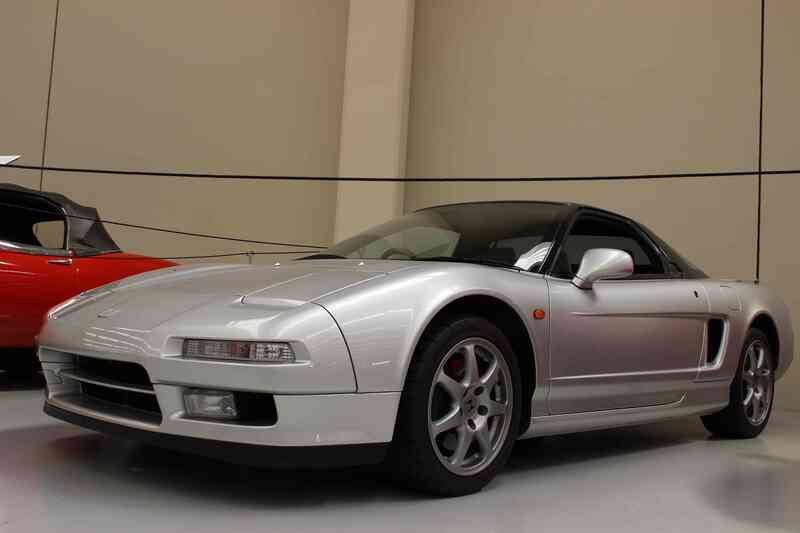 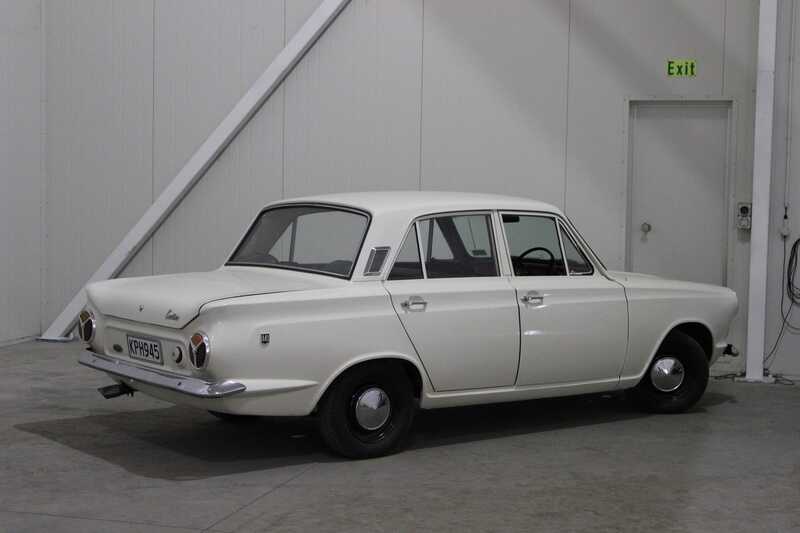 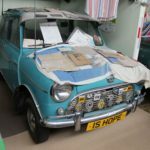 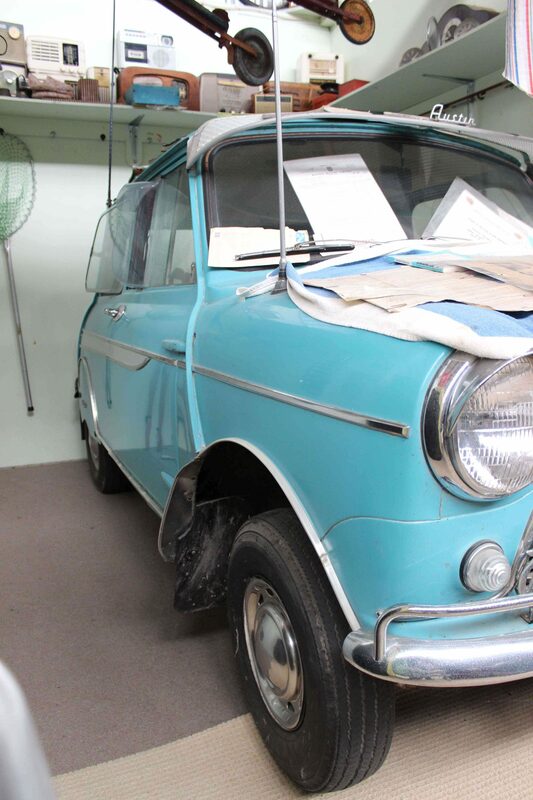 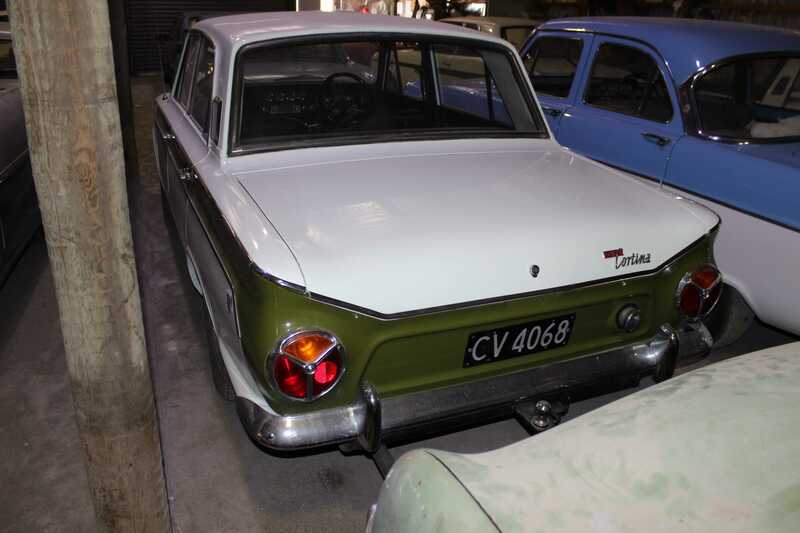 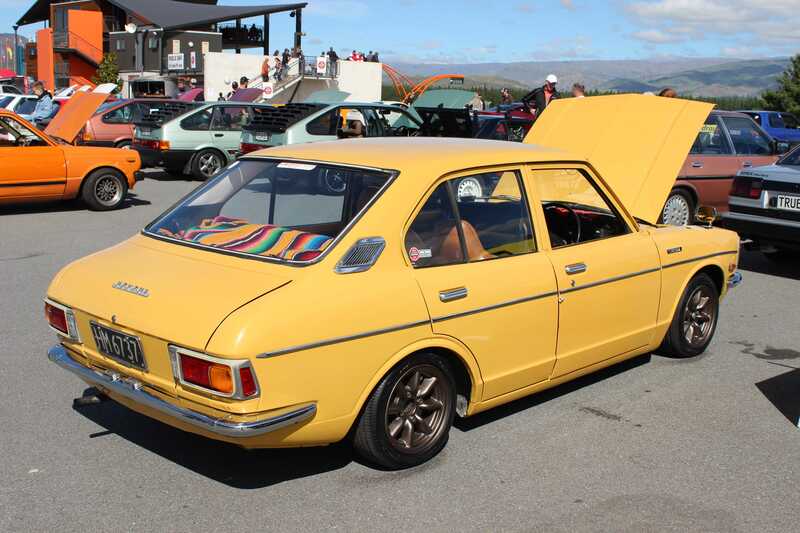 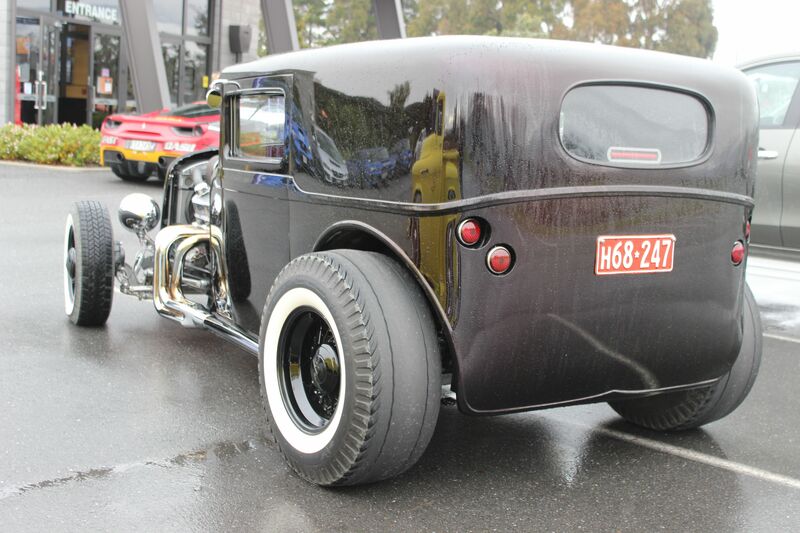 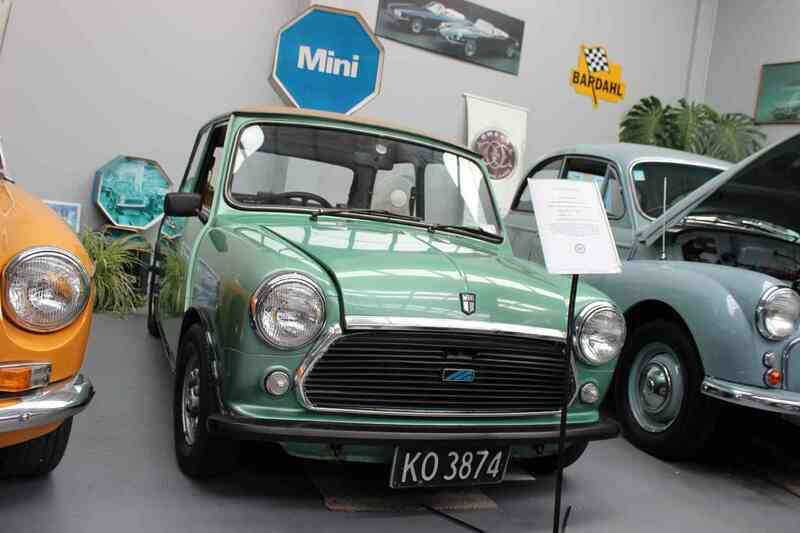 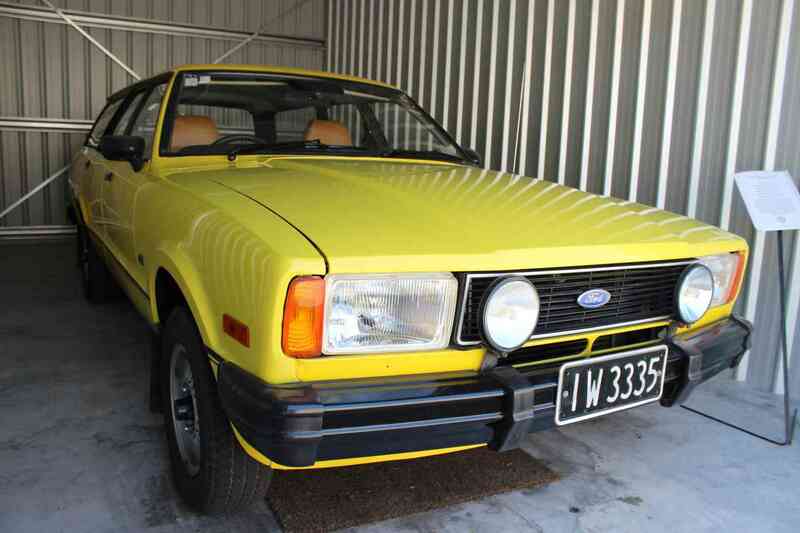 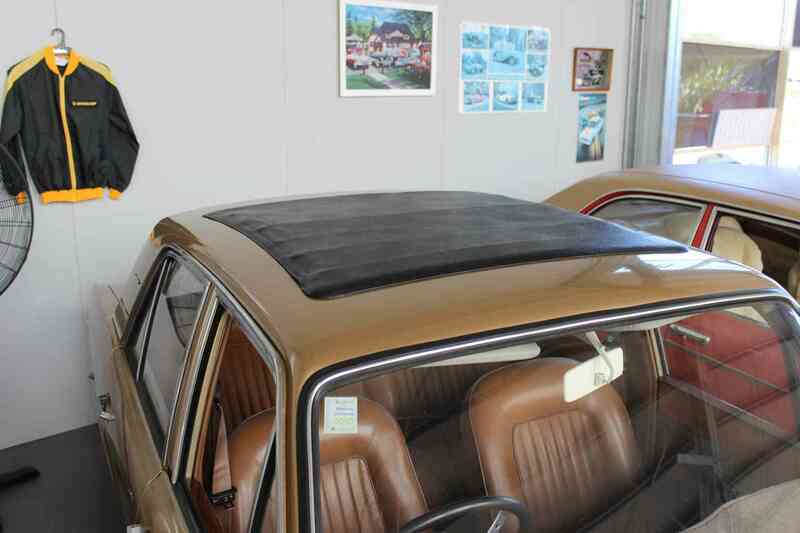 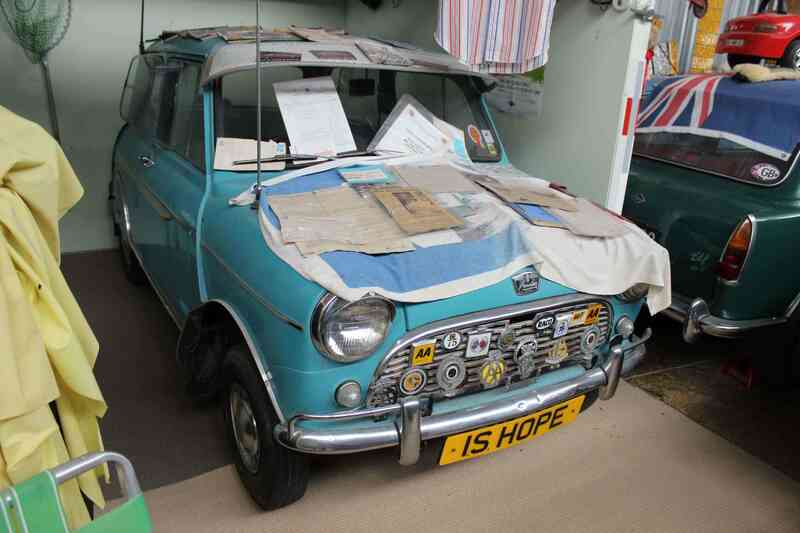 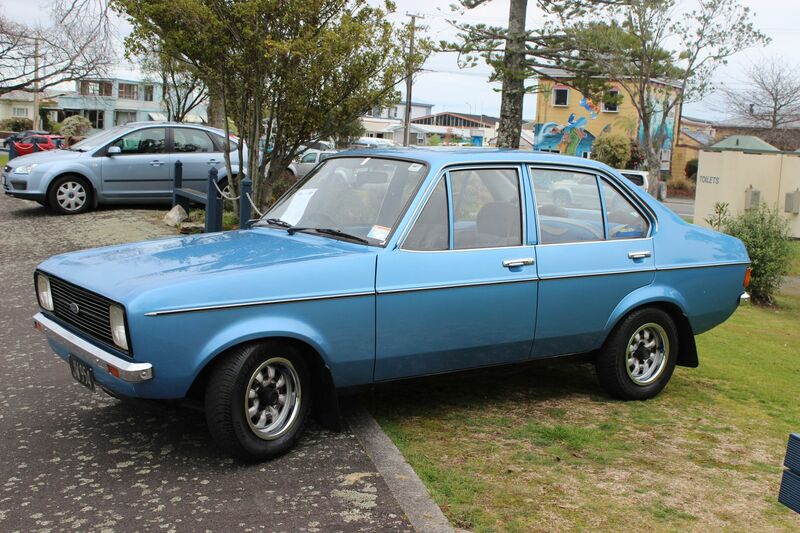 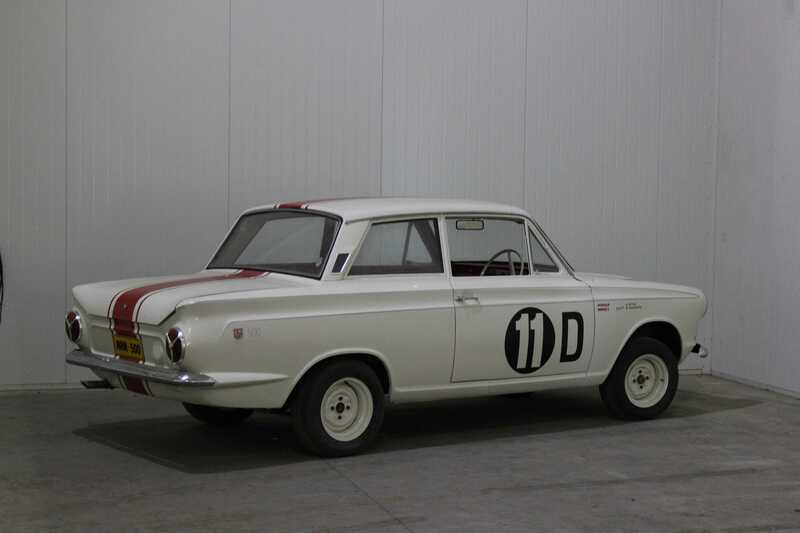 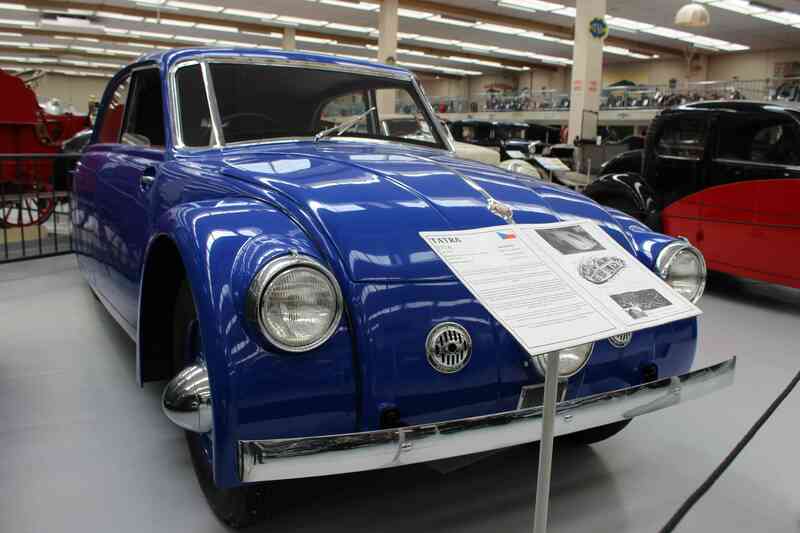 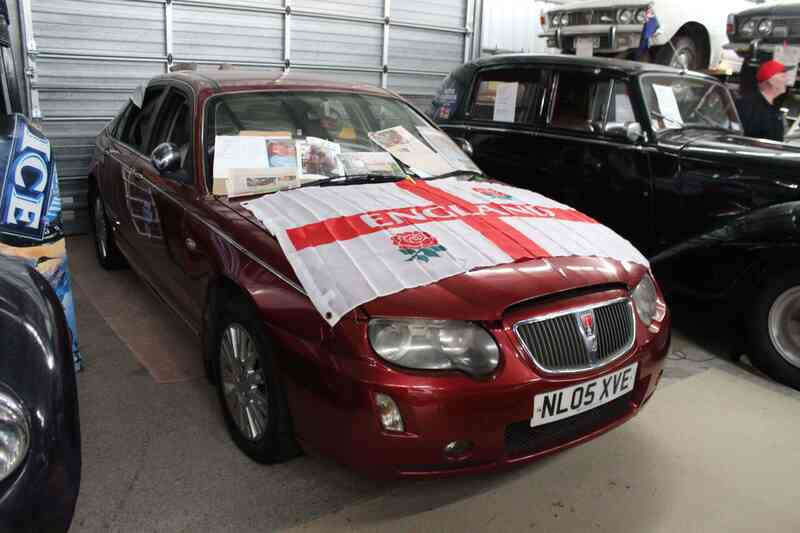 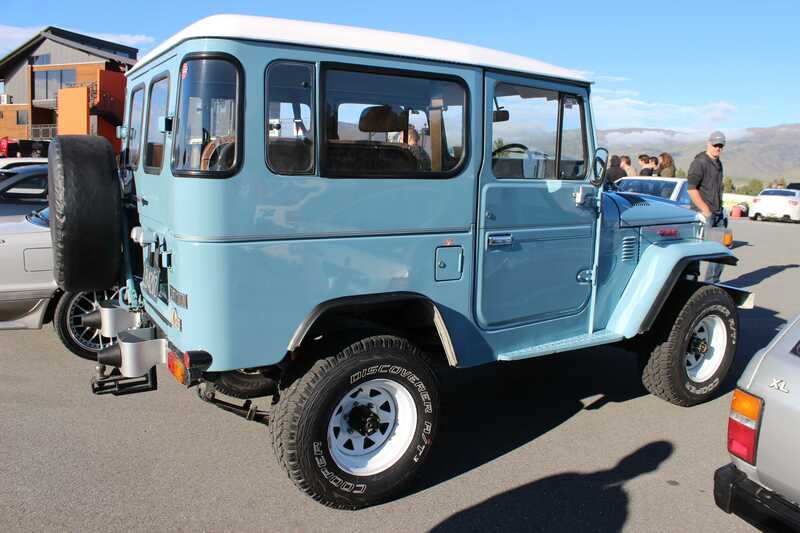 The owner said that it means for such an old car, it has great road handling ability. 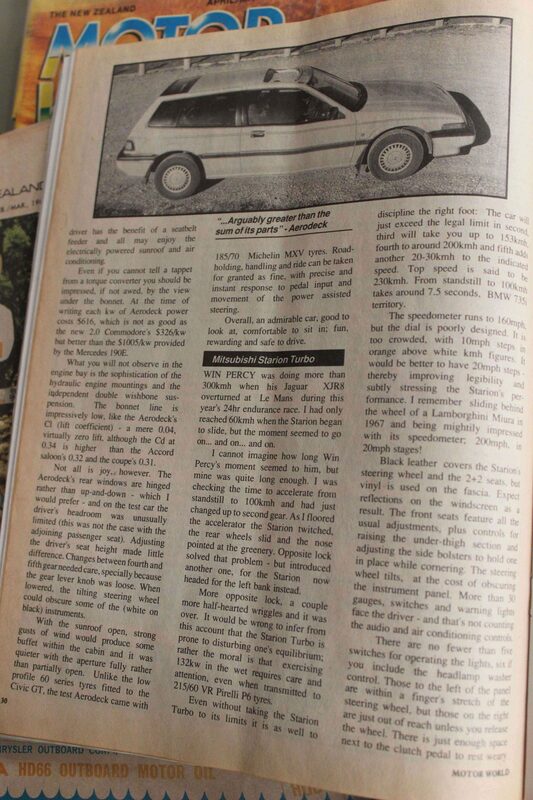 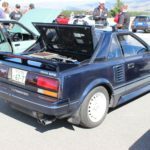 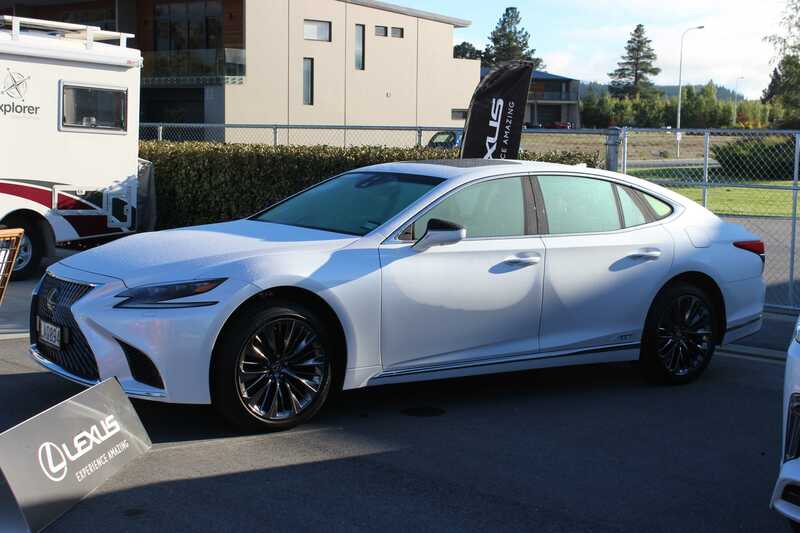 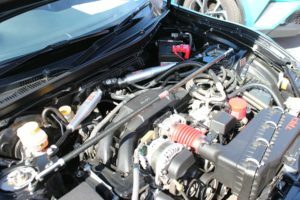 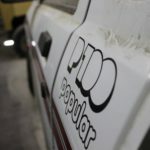 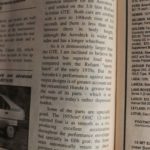 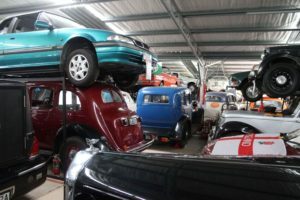 He was also keen to point out that there are electric motors in the back that adjust the rear torsion bars depending on the passengers or load that you carry, leveling the car out so that it always sits at the same height. 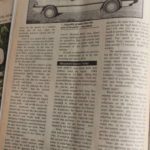 Pretty cool stuff for 1956! 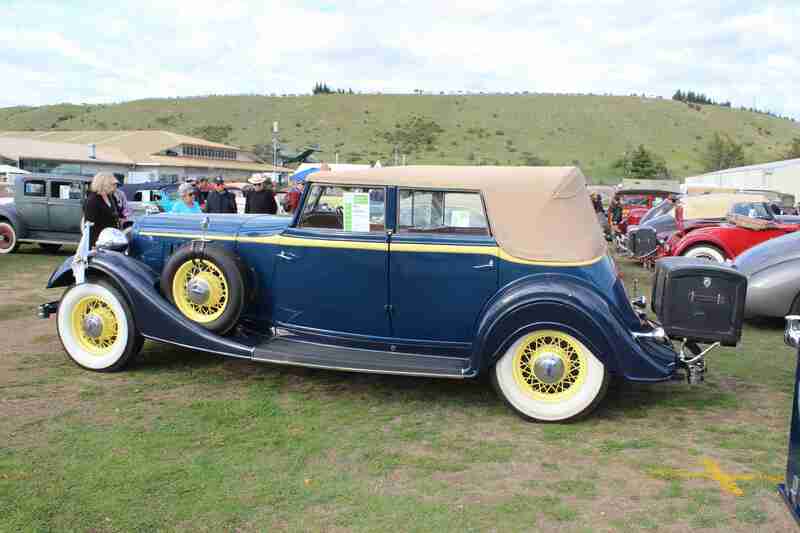 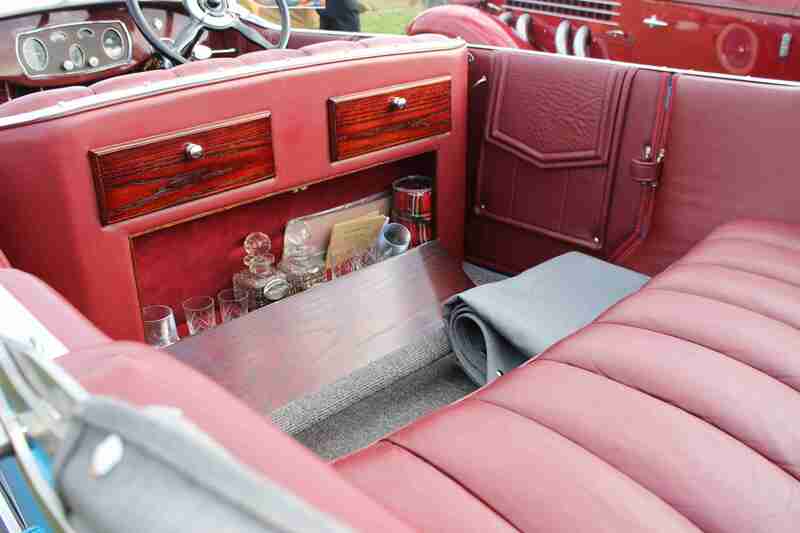 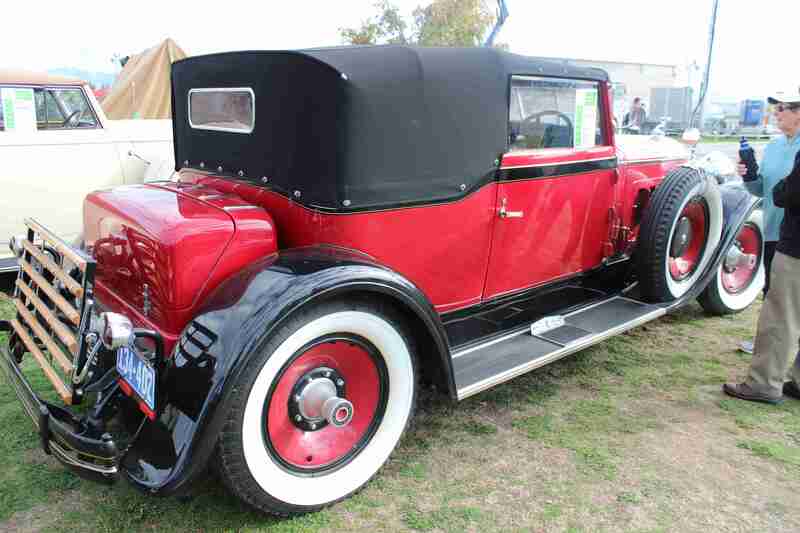 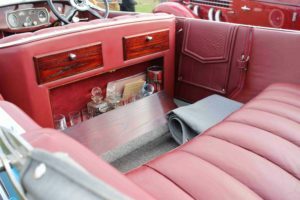 Being a company that produced luxury cars, I wasn’t surprised to see this 1930 Packard featuring a hidden compartment in the rear for the chauffeured passengers to enjoy a little tipple as they were driven to their destination. 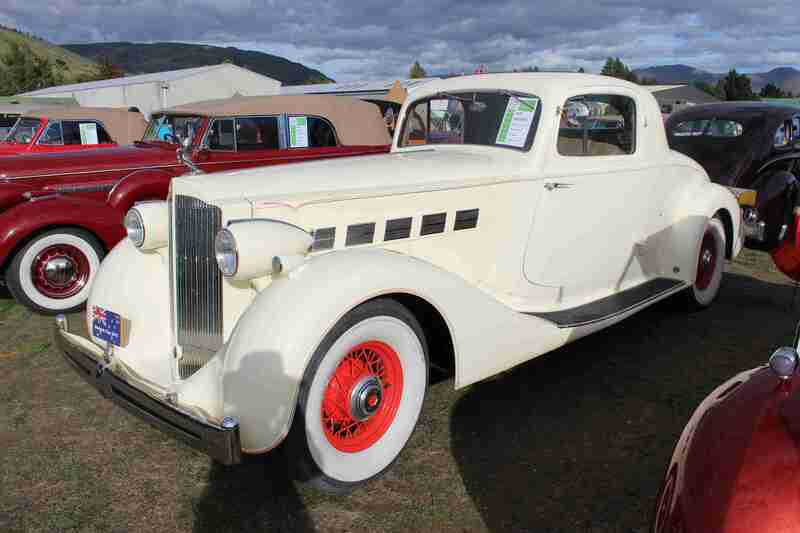 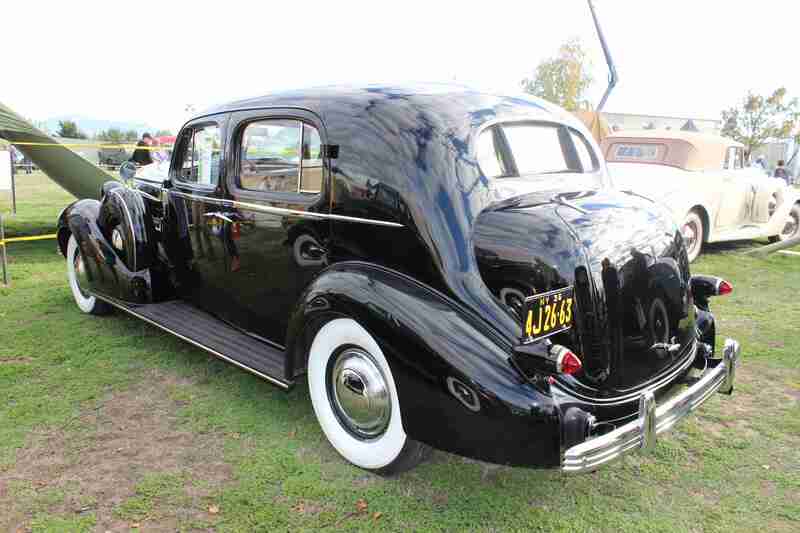 The following 1936 Packard Twelve featured a funny sign at the front stating – “If you get into a flap over fuel prices, then this is not the car for you.” The owners would need to take that approach with this car, as it features a 7.75 litre V12, producing an amazing 175bhp. 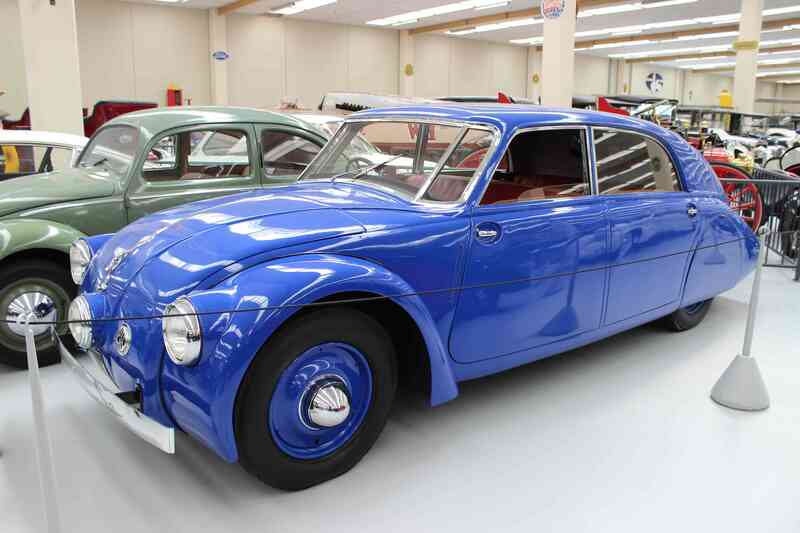 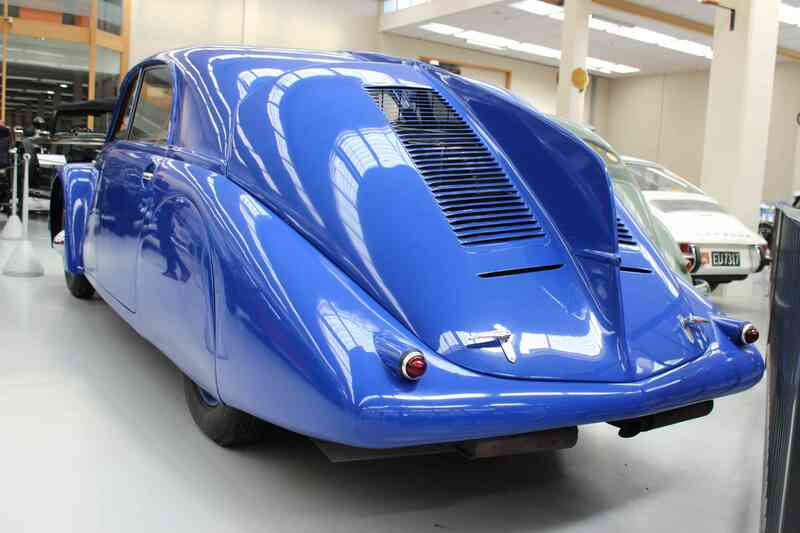 In 1936, this must have been a seriously quick car – even today it’s generously powered compared to a number of cars on the road. 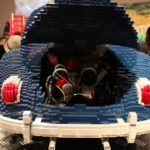 We’ve all heard of the famous pilot Amelia Earhart? 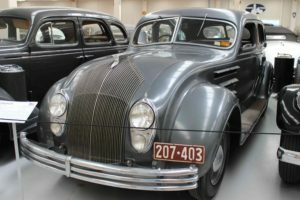 Known for breaking a number records, she disappeared while attempting to circumnavigate the globe in 1937, over the Pacific Ocean. 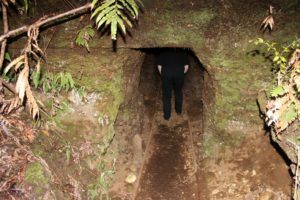 She’s been back in the news recently, with headlines stating that they’ve found bones on an island called Nikumaroro and believe they could belong to her. 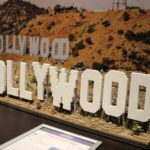 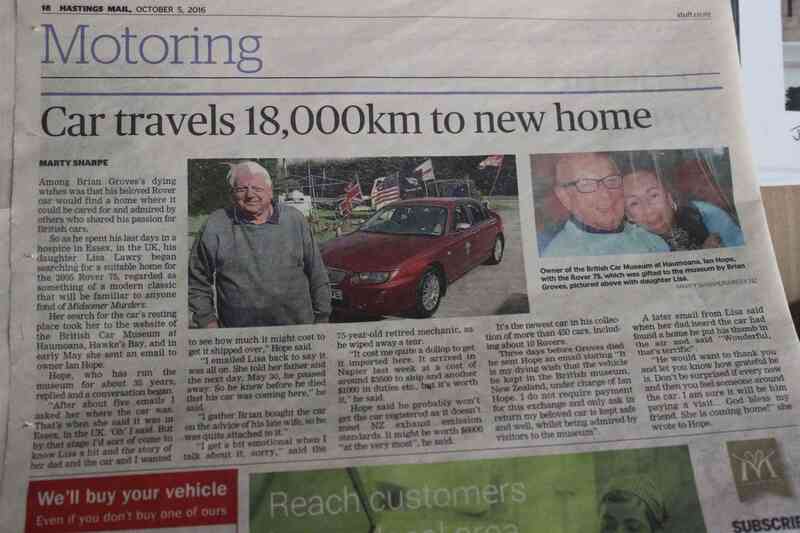 Aside from making a good headline and attracting traffic, it’s unlikely these stories are true. Even though Amelia and her navigator were in the general area, it’s unlikely they would have had anywhere near enough fuel to reach the island. 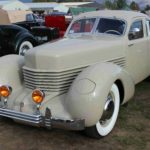 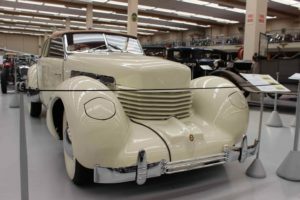 At the time Amelia disappeared, she was a spokeswoman for Packard and owned the following 1935 Packard Super Eight 3 window coupe. 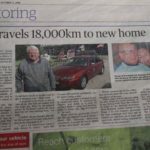 After she disappeared, her husband held onto the car for two years, hoping she’d return, before moving the car on. 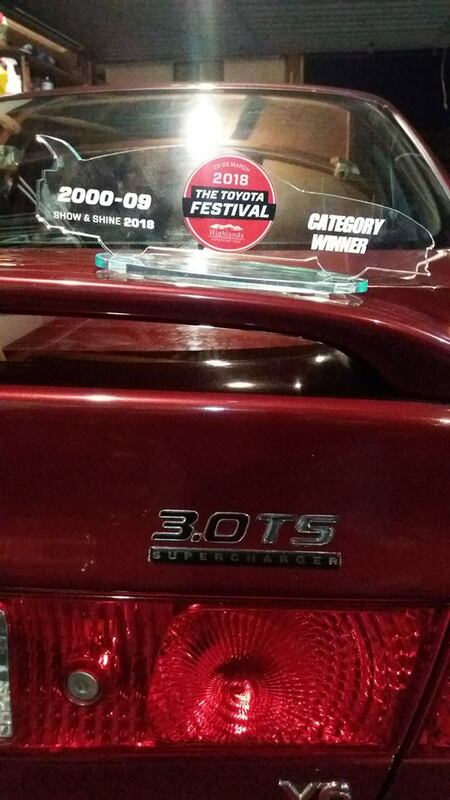 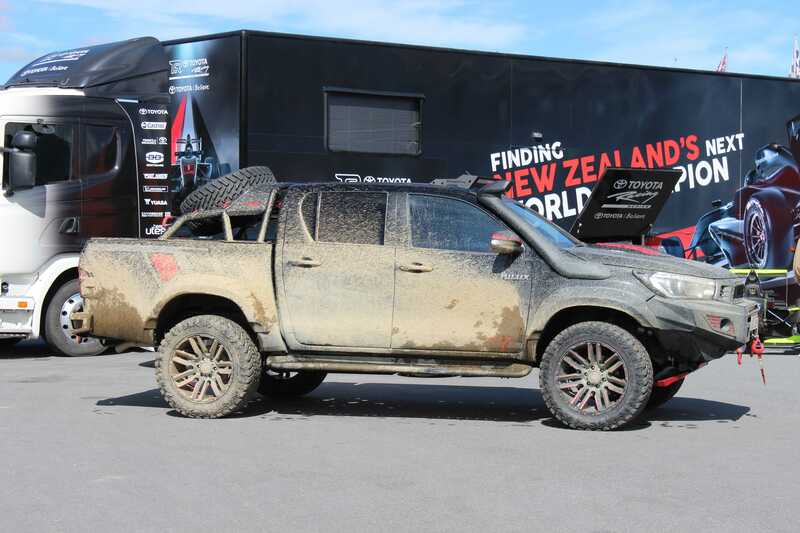 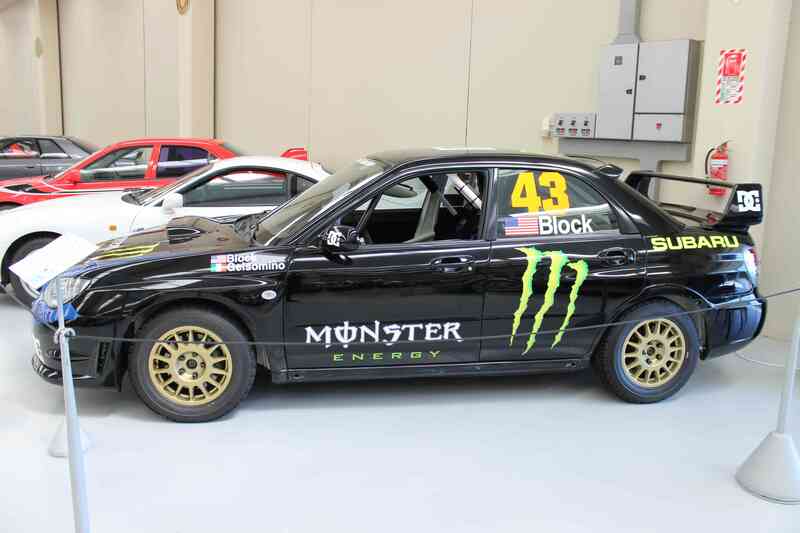 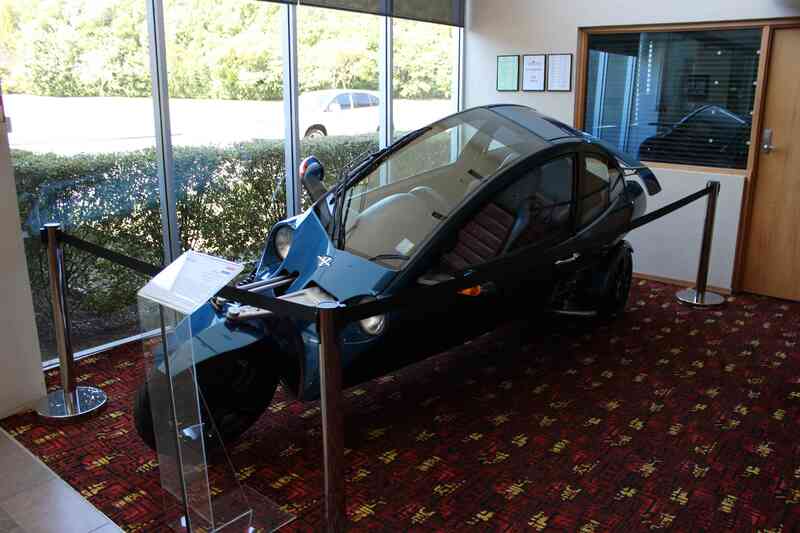 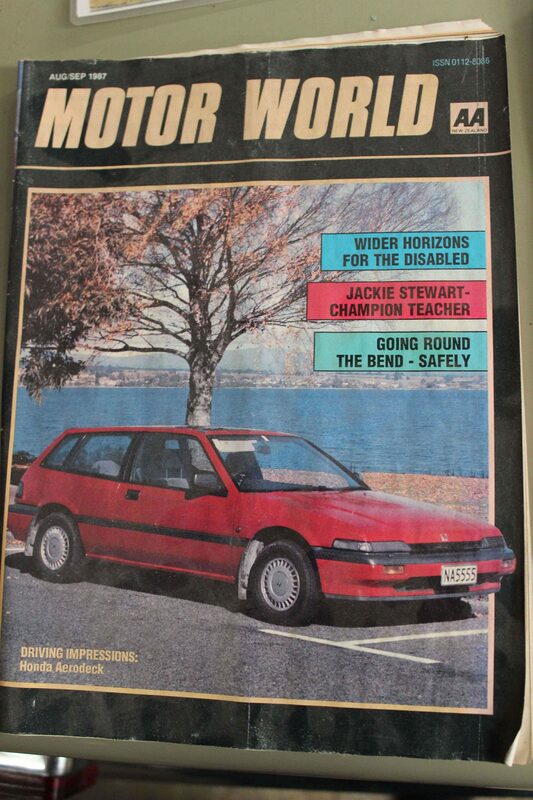 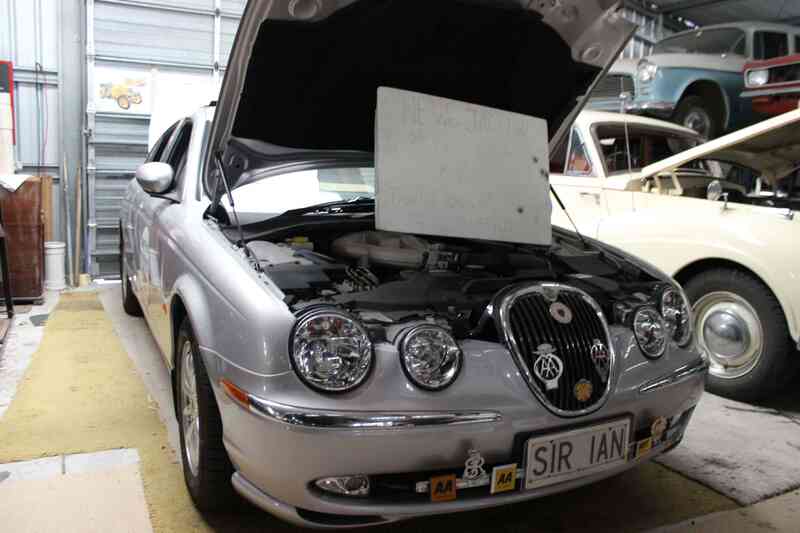 The car is now owned by Ross & Robyn from Queensland, Australia. 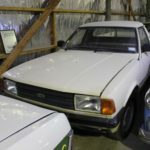 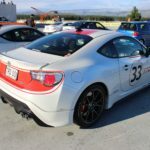 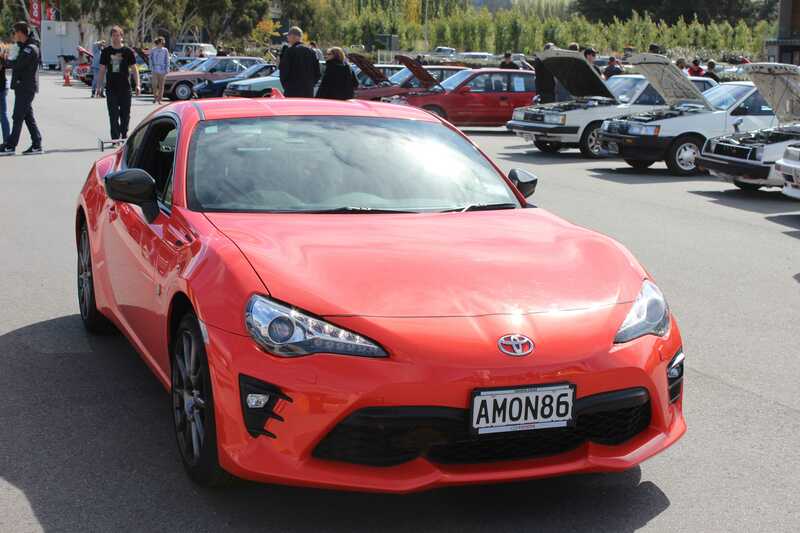 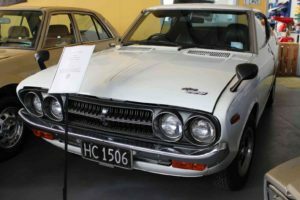 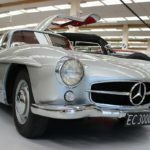 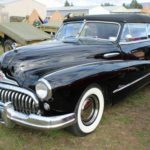 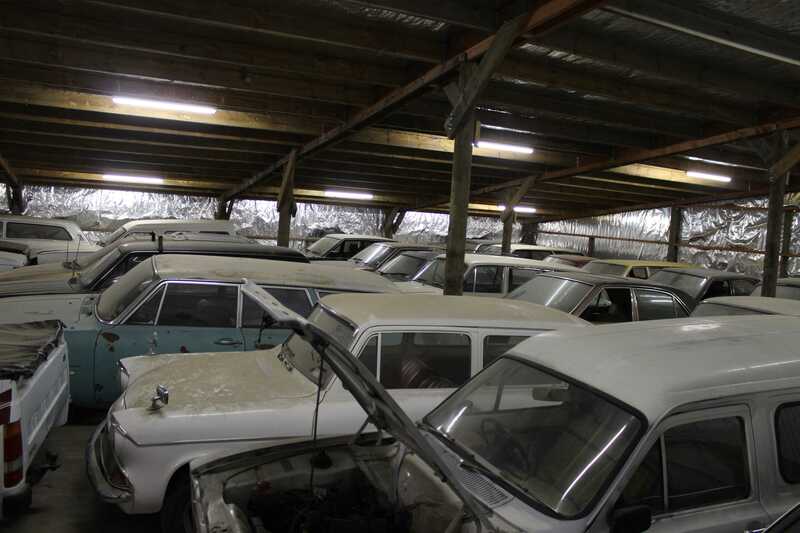 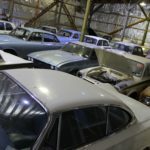 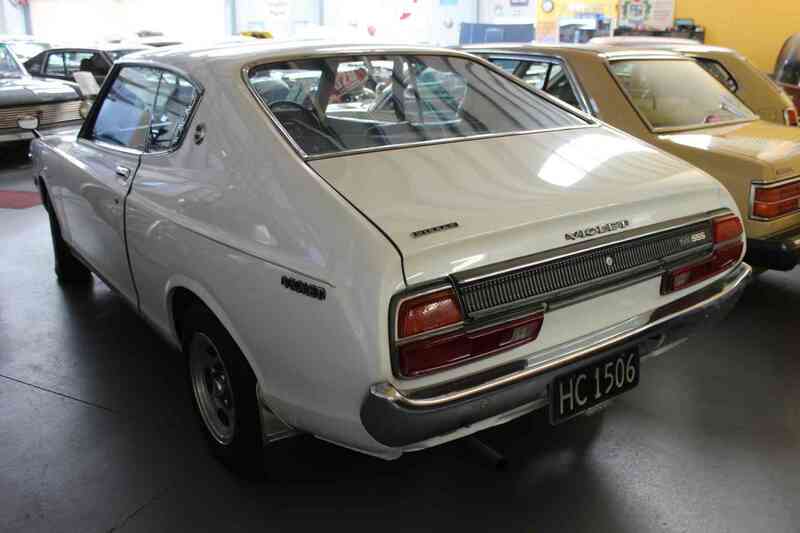 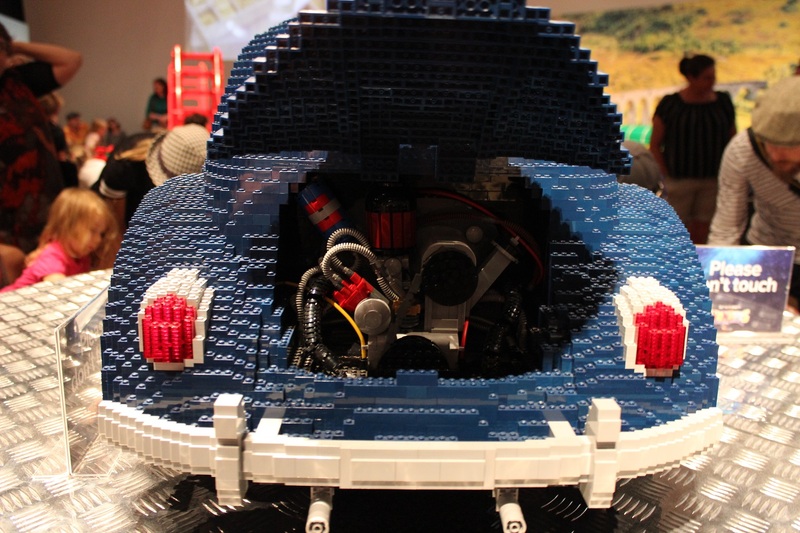 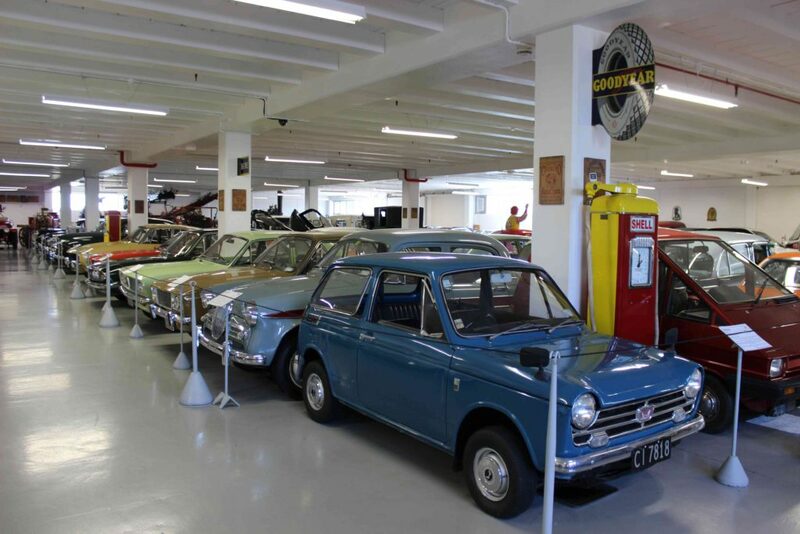 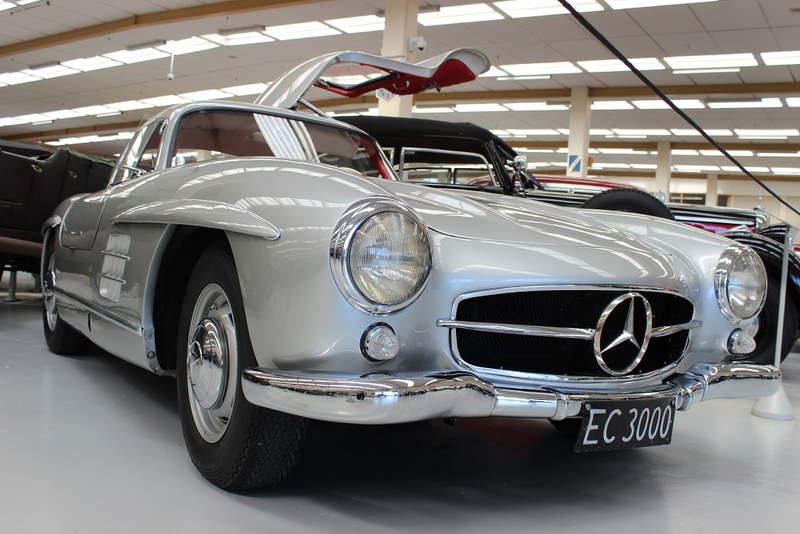 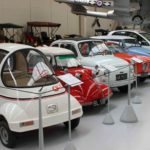 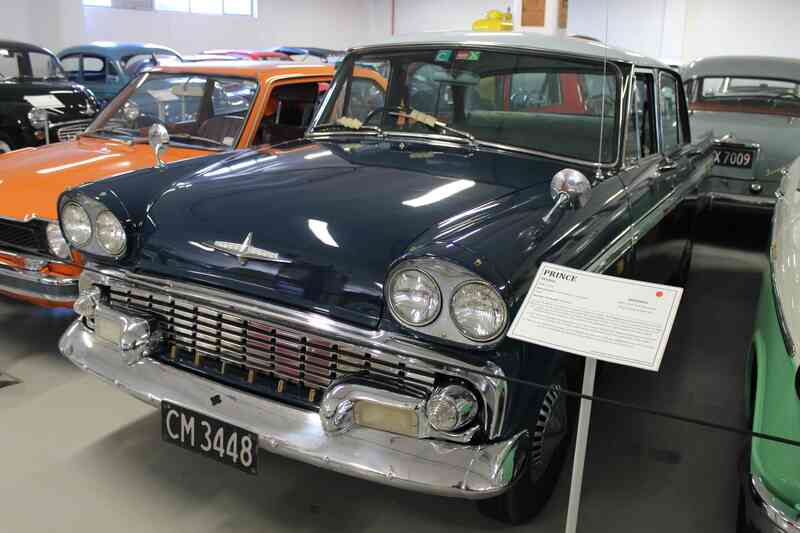 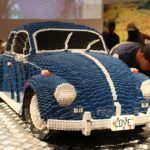 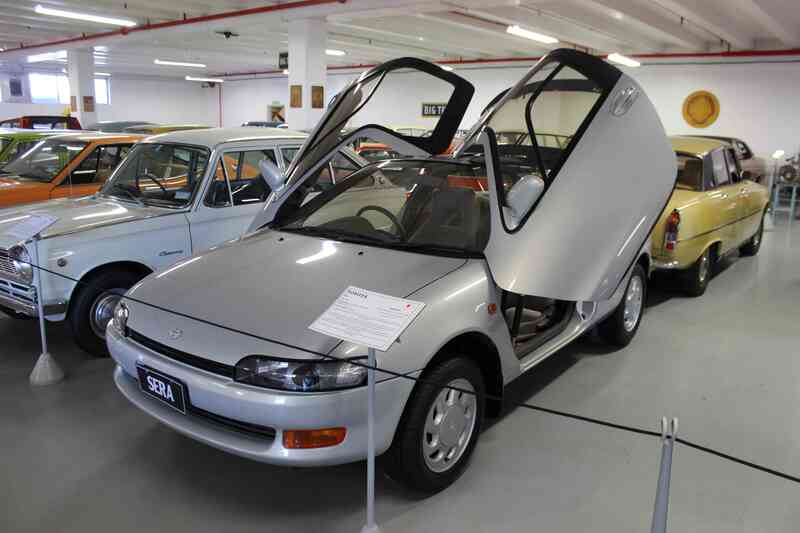 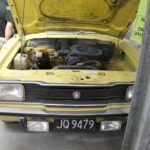 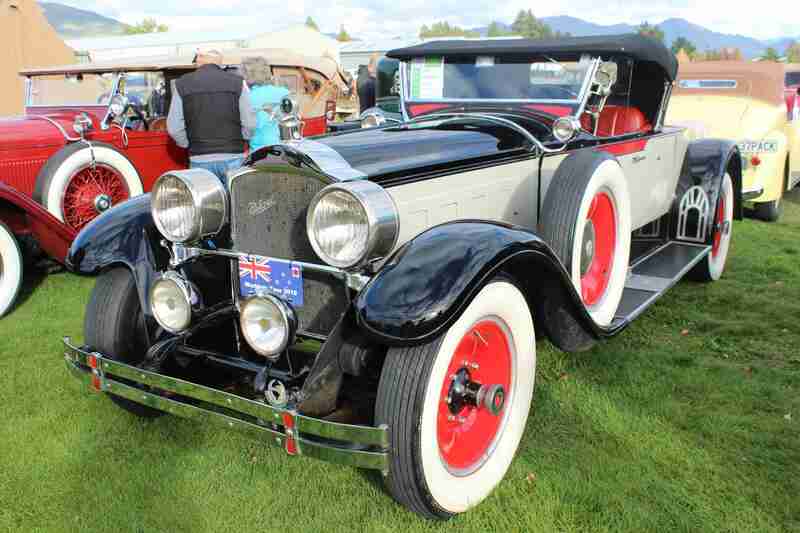 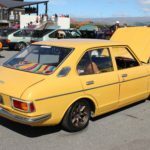 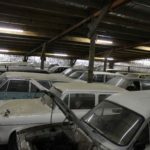 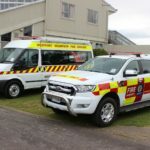 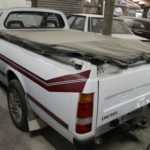 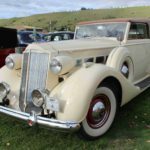 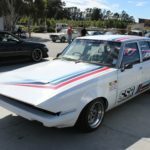 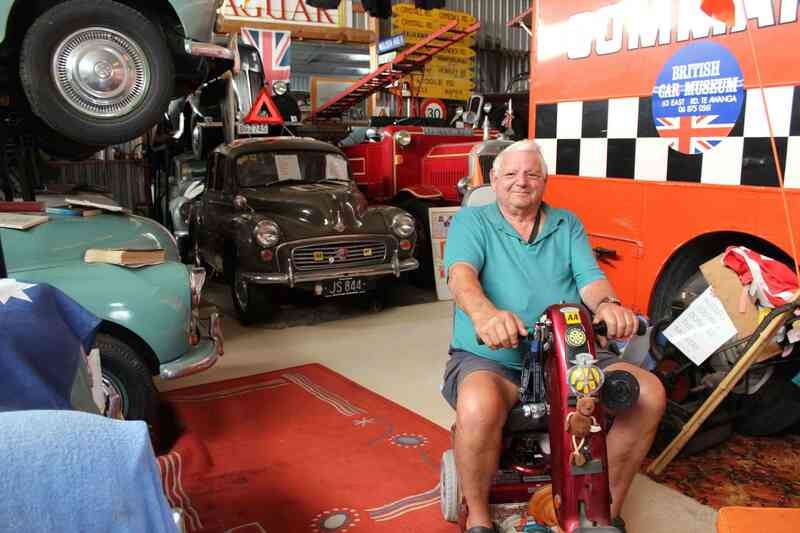 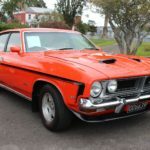 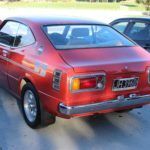 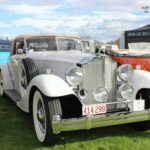 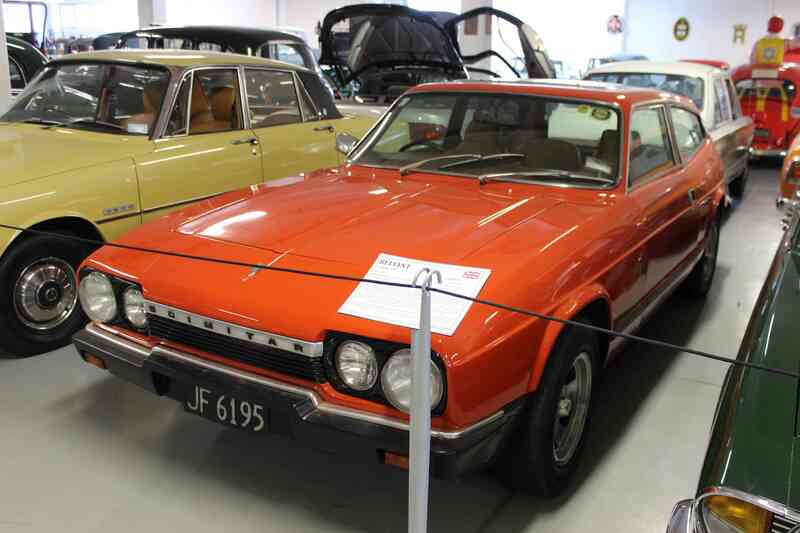 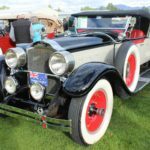 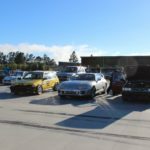 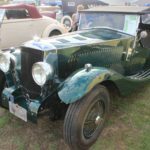 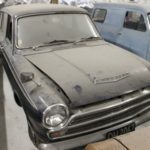 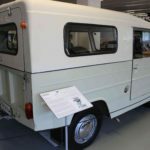 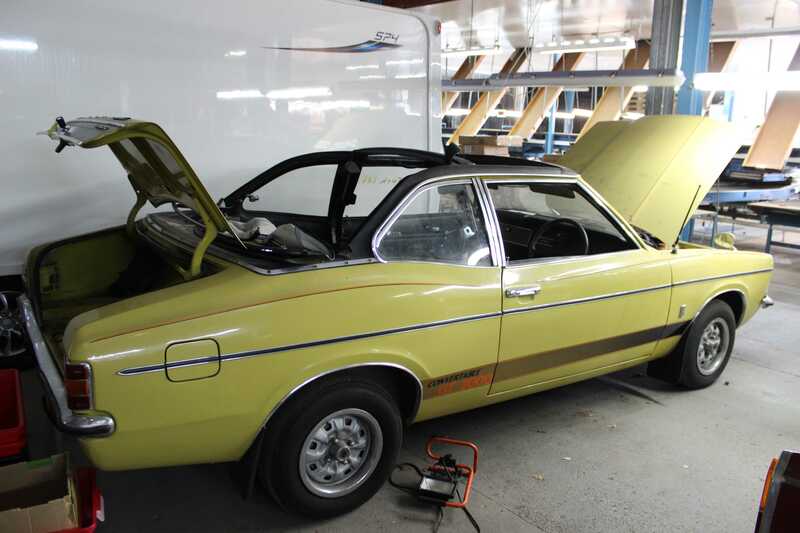 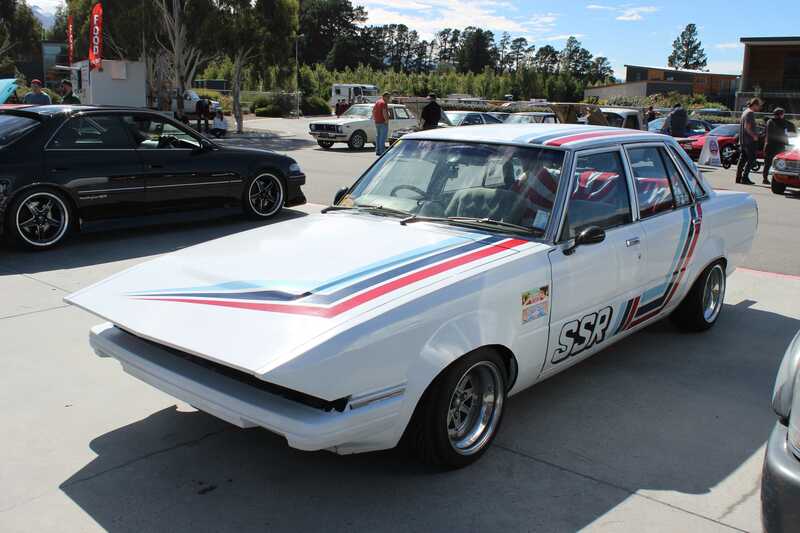 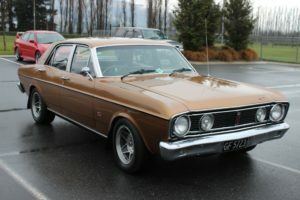 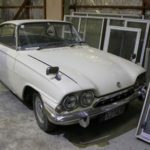 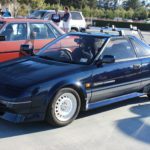 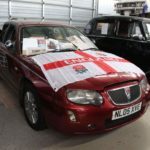 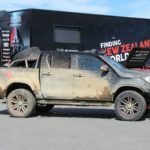 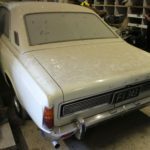 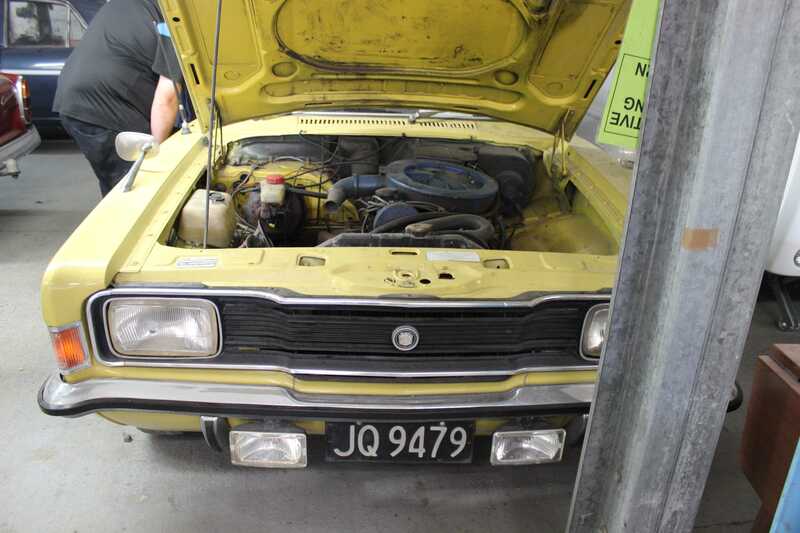 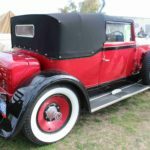 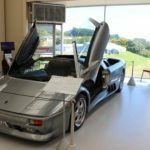 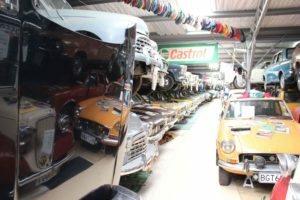 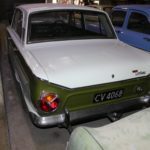 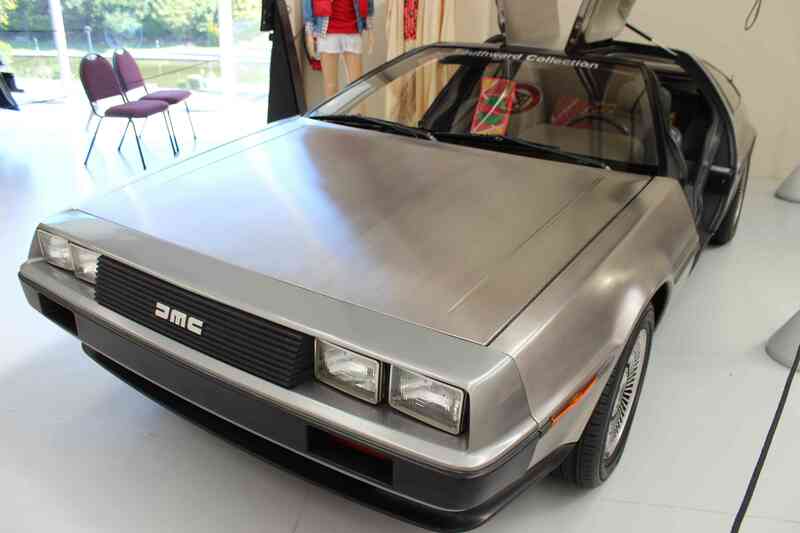 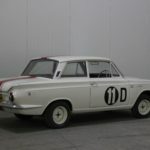 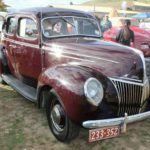 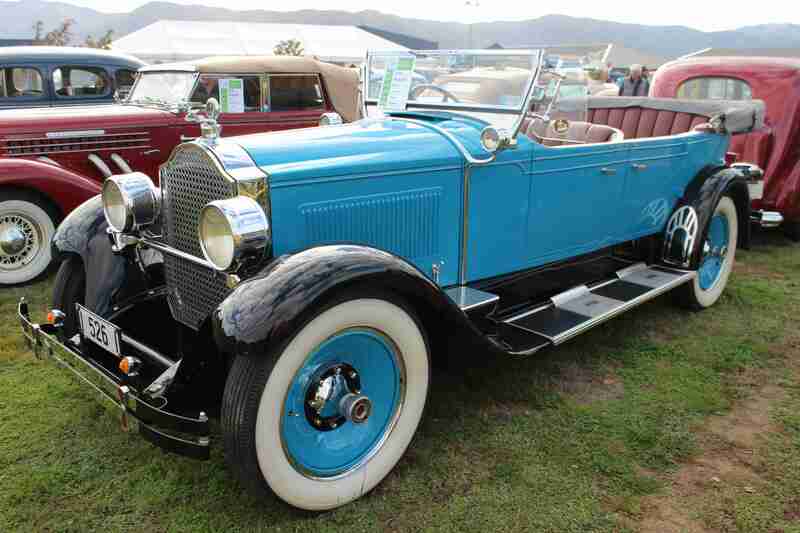 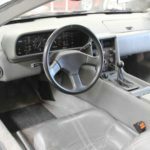 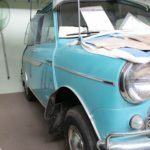 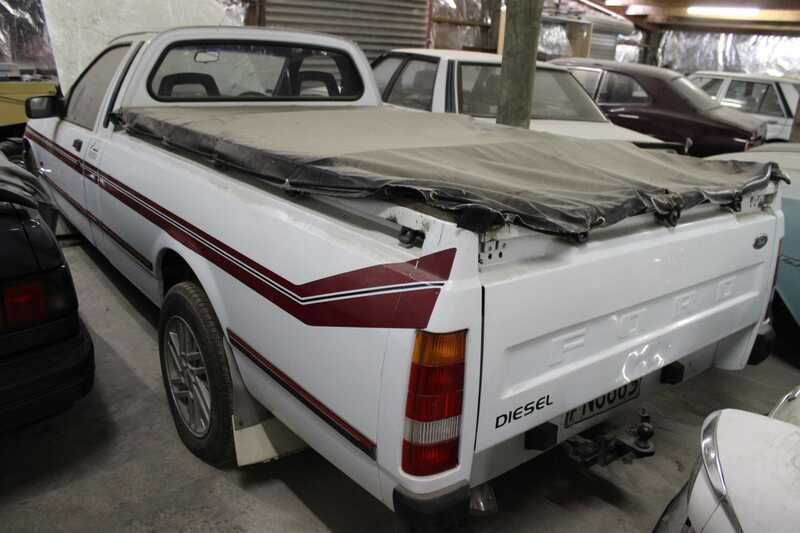 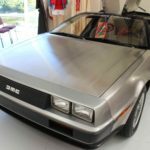 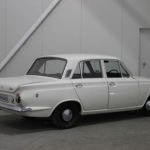 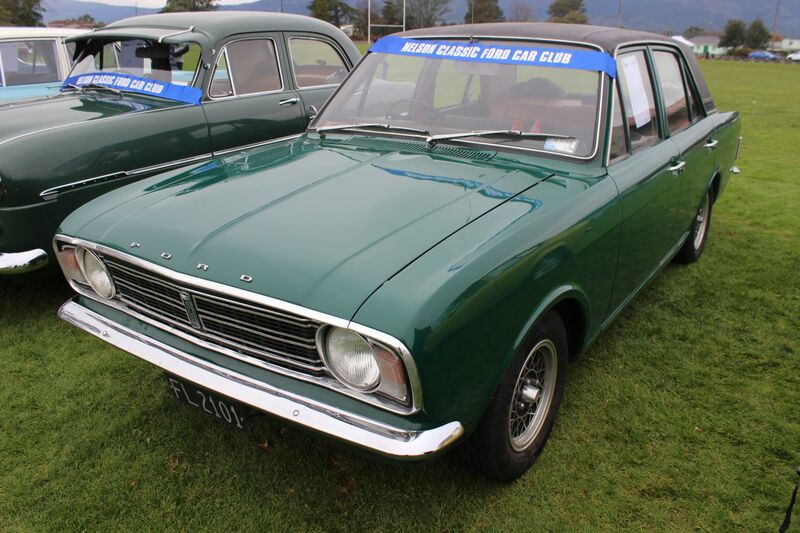 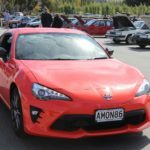 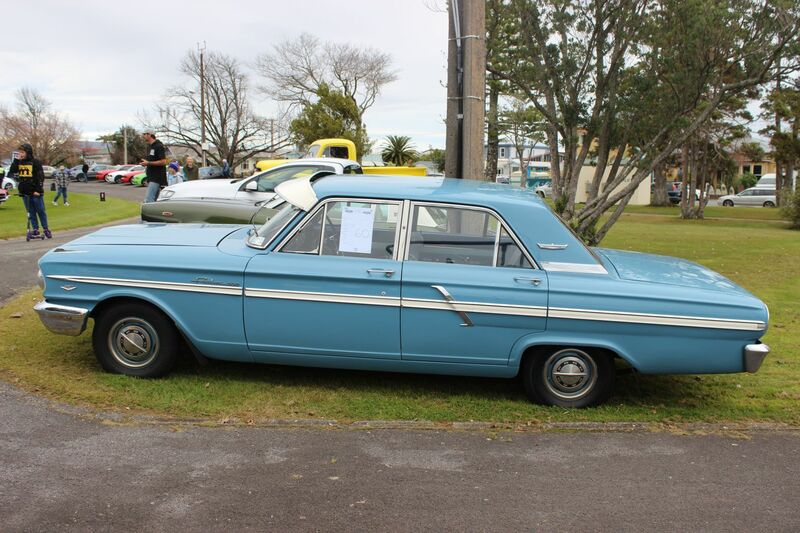 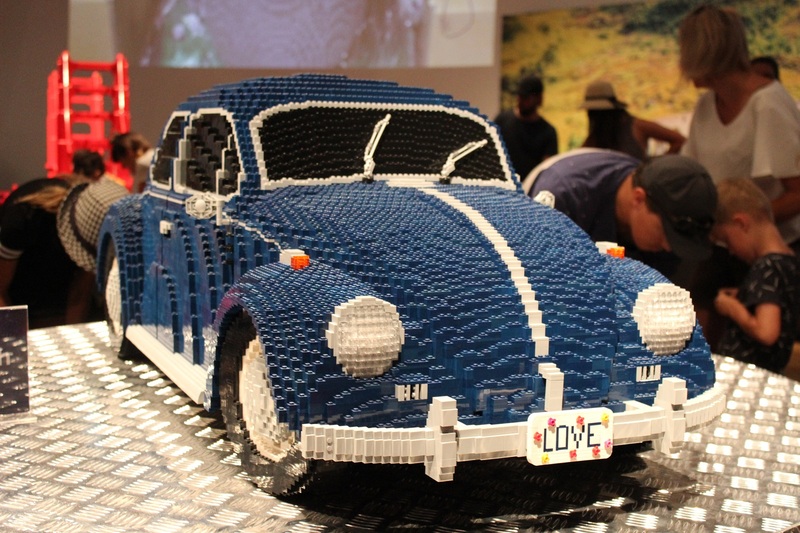 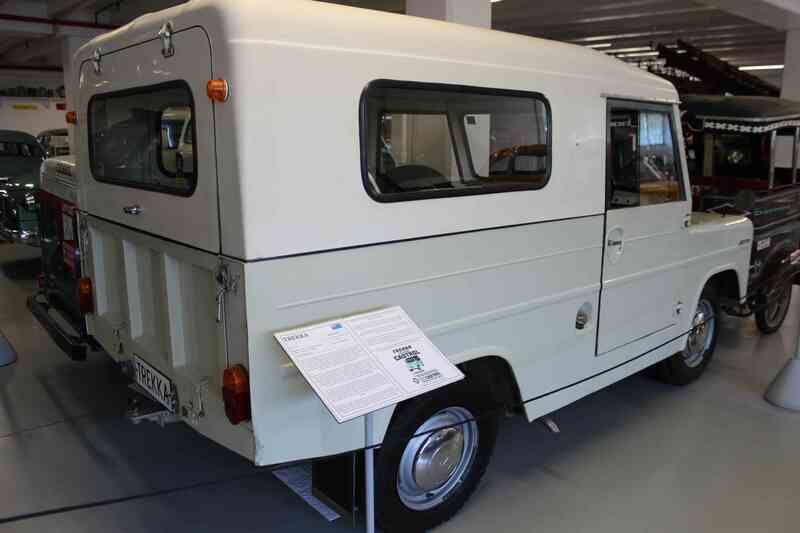 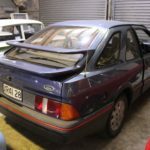 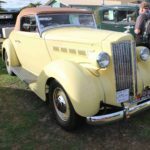 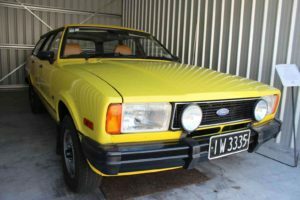 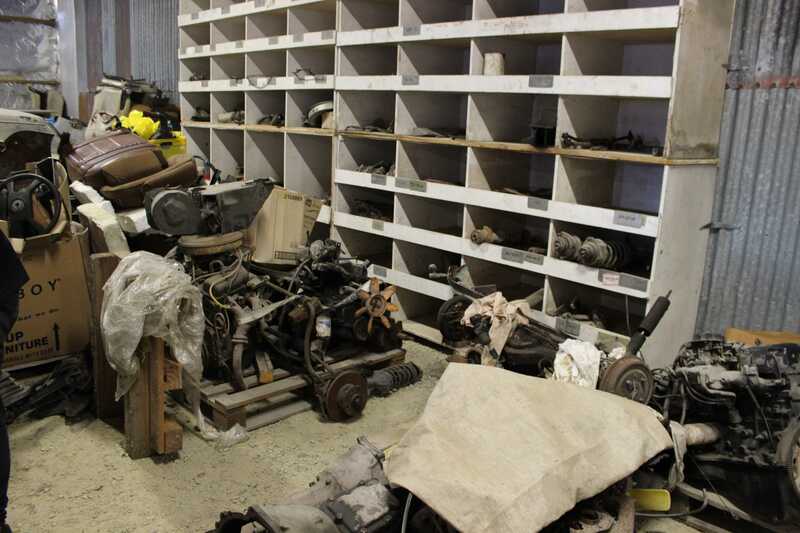 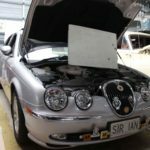 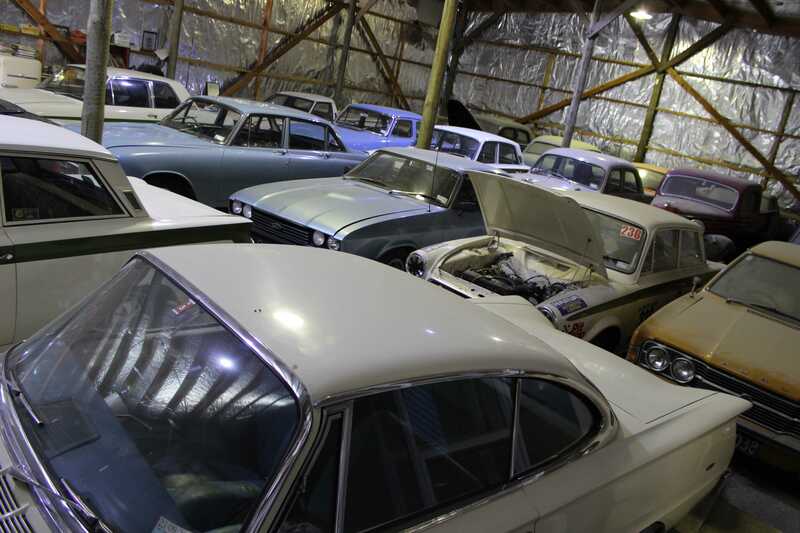 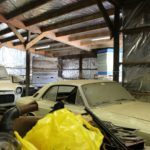 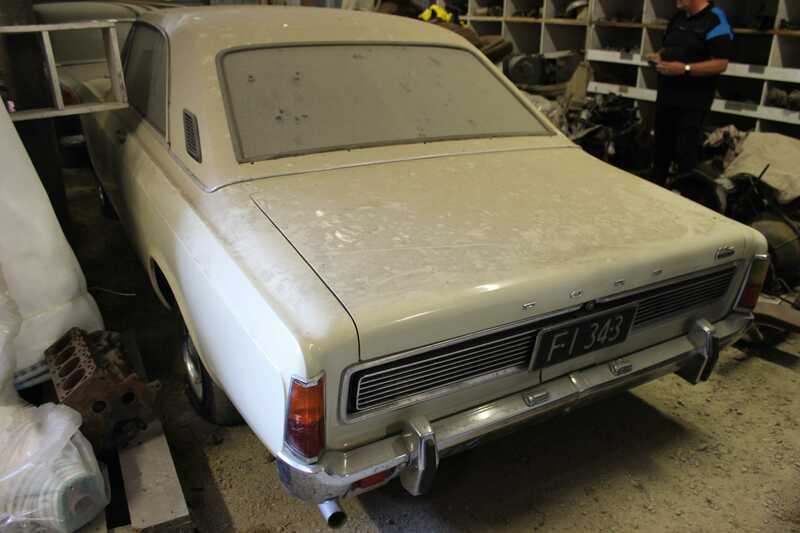 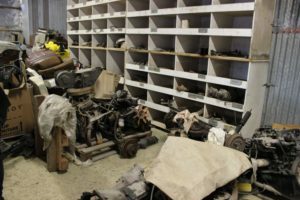 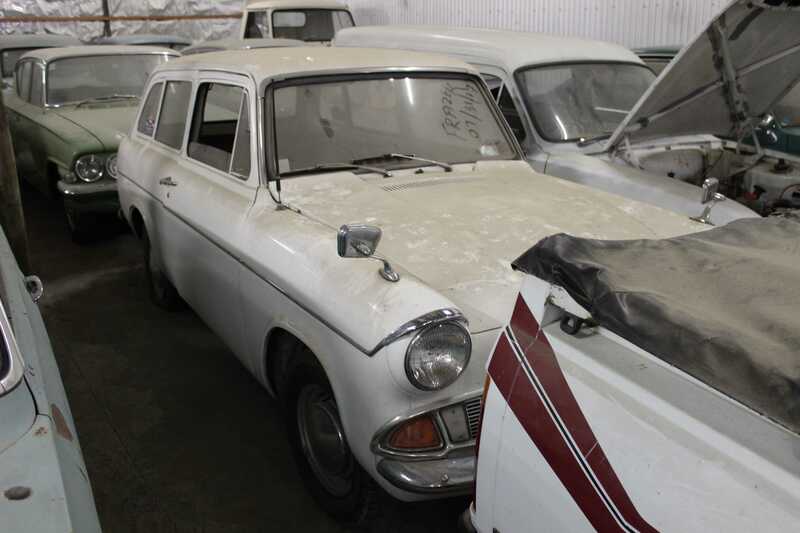 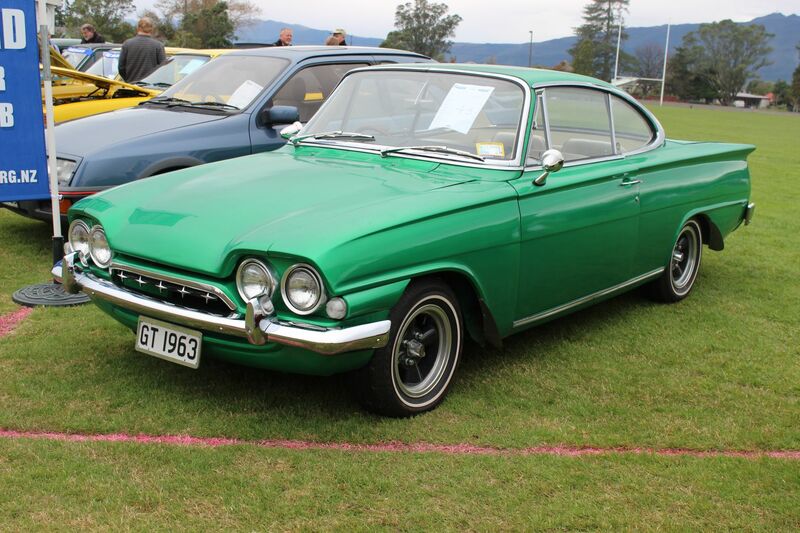 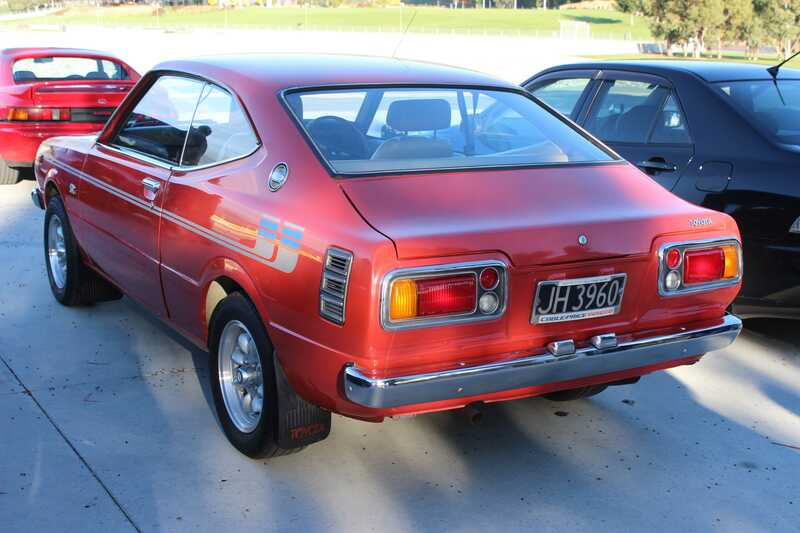 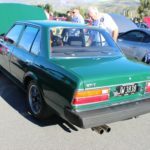 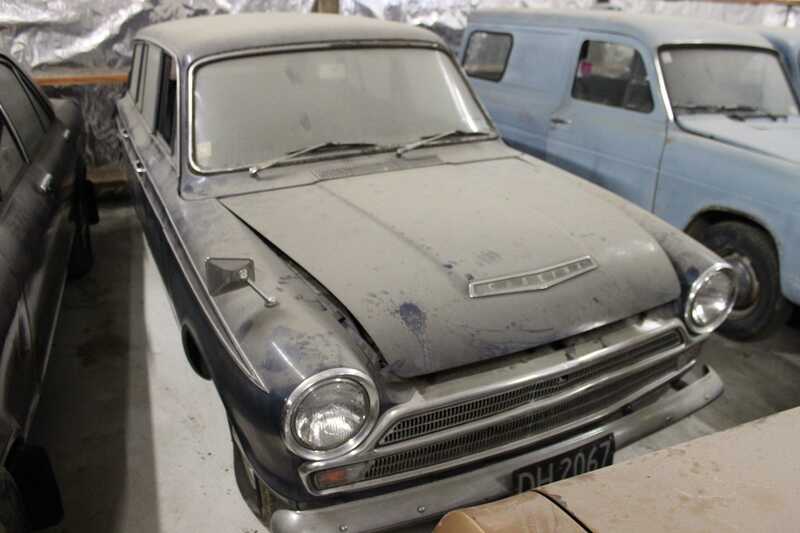 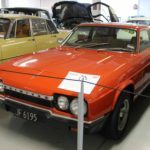 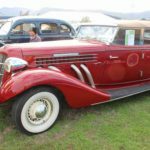 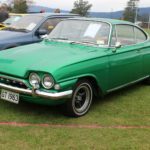 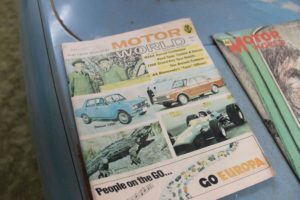 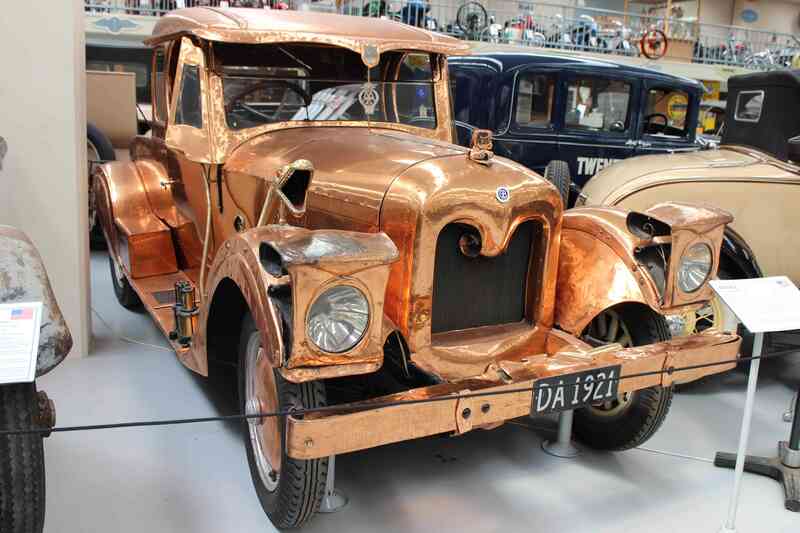 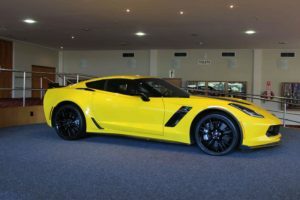 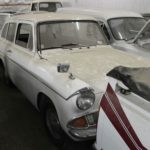 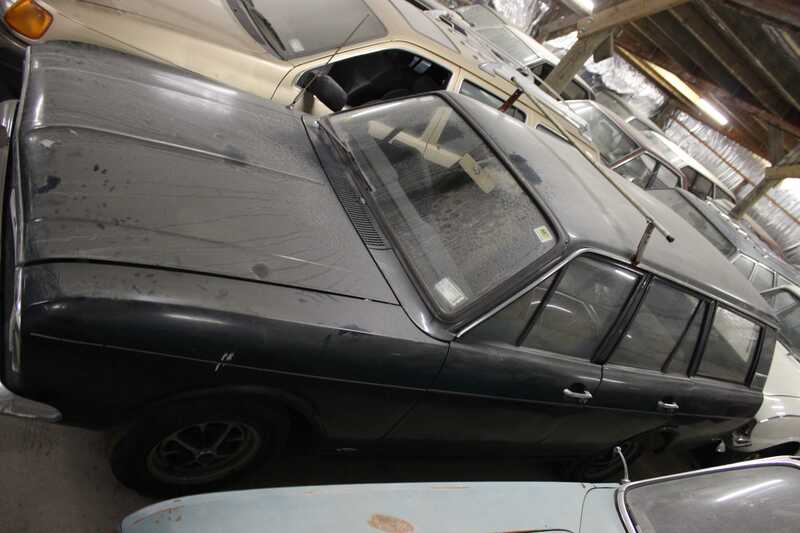 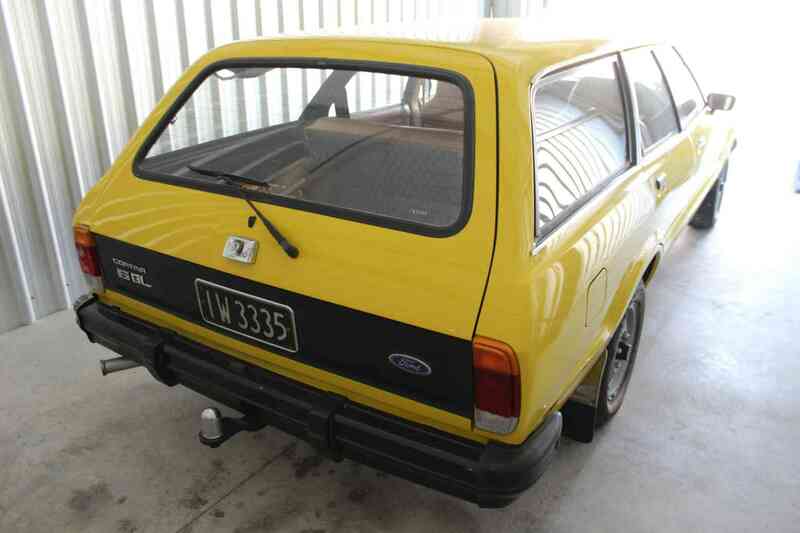 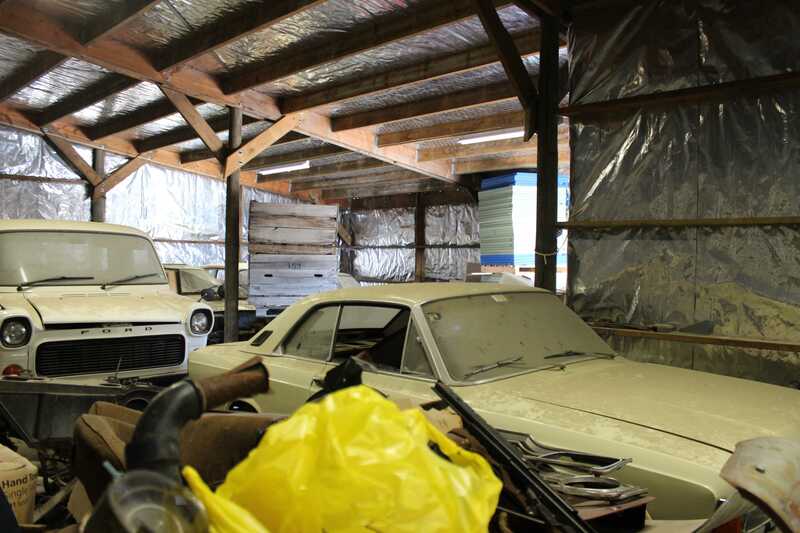 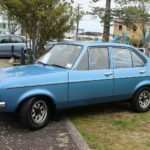 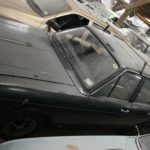 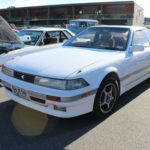 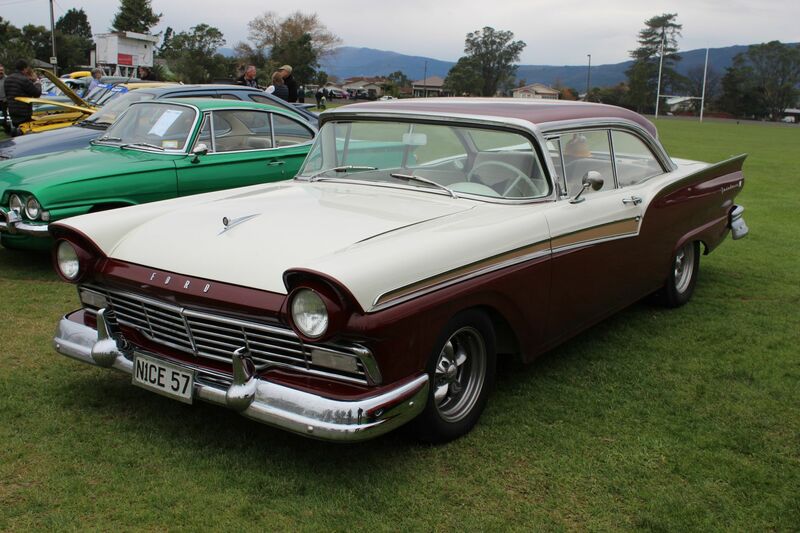 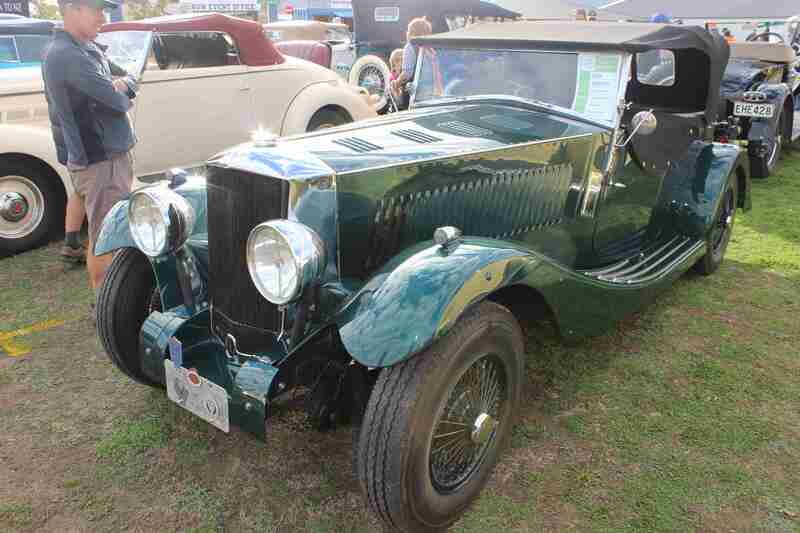 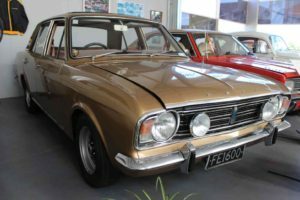 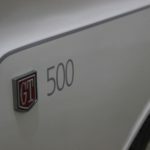 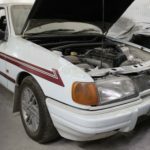 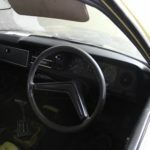 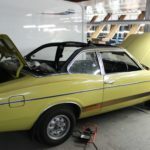 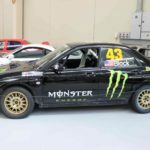 Most of the restoration work has been carried out in Sydney and Queensland and the car has since then won both National and State events in Australia. 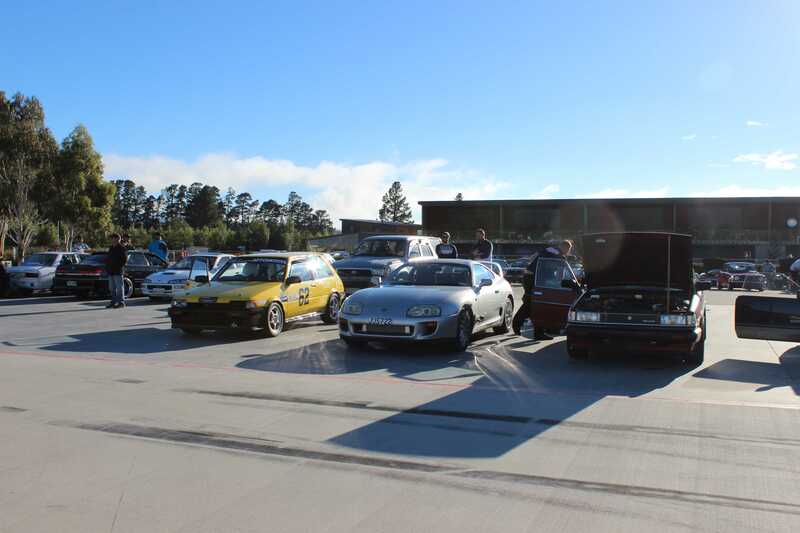 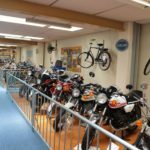 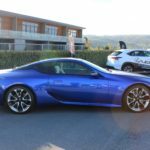 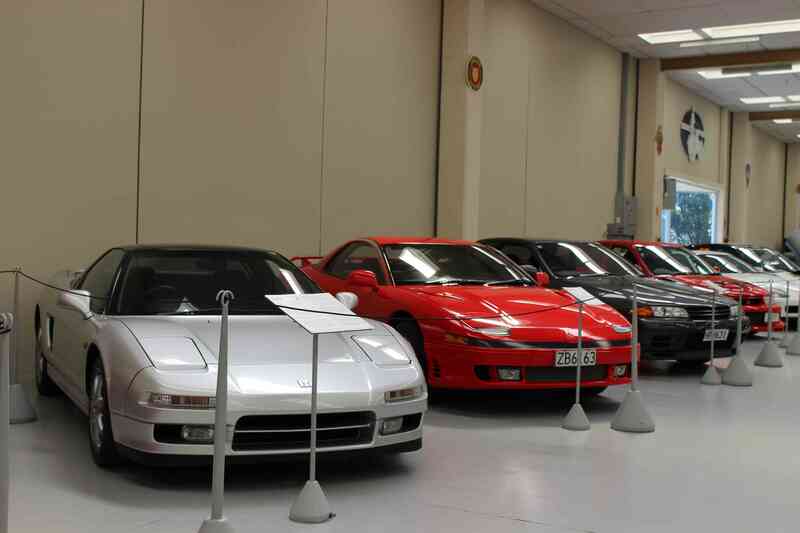 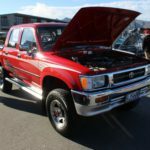 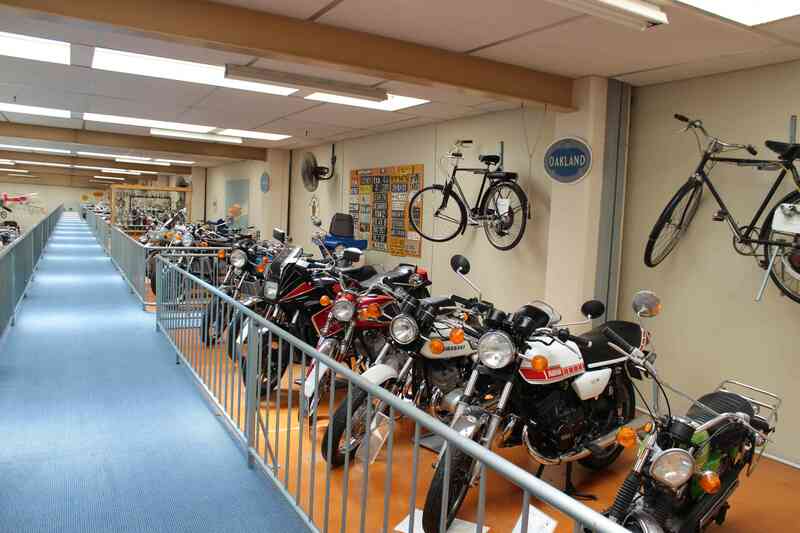 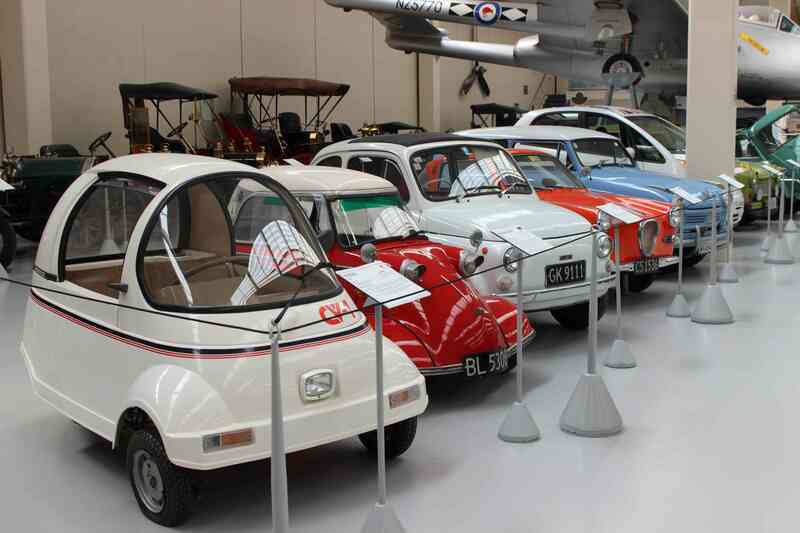 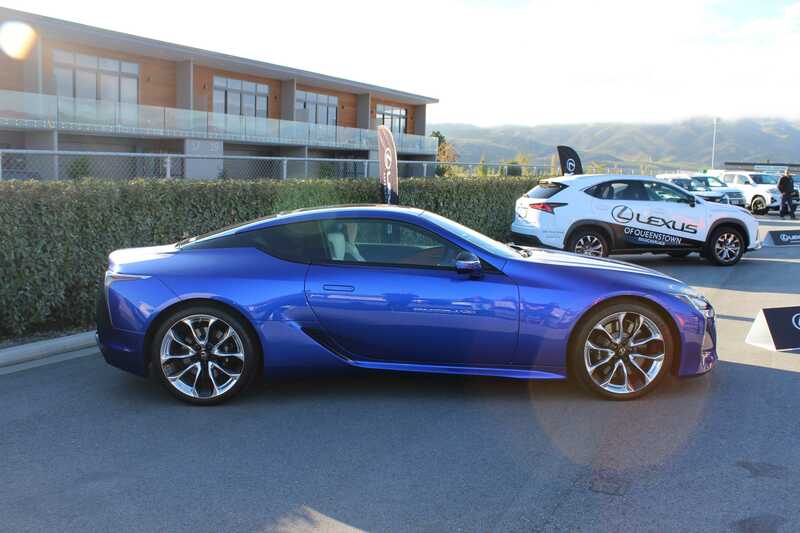 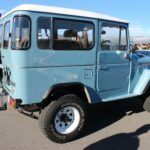 In attendance, were a number of vehicles from other manufacturers. 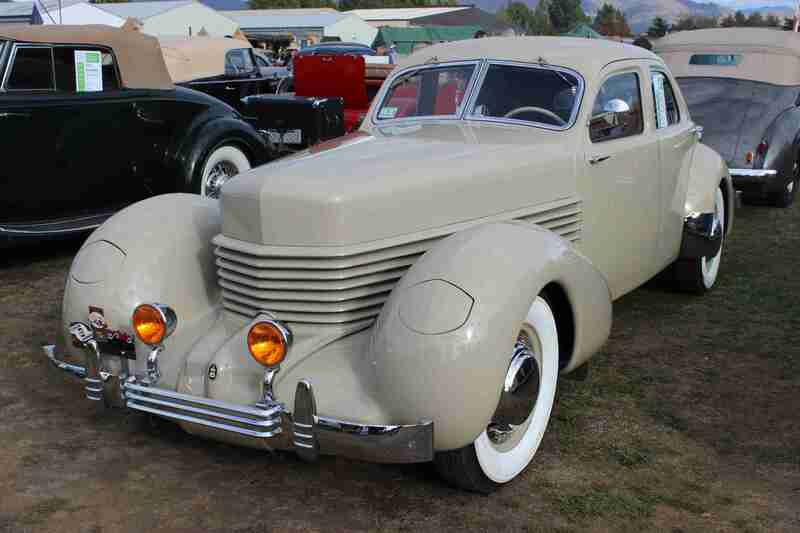 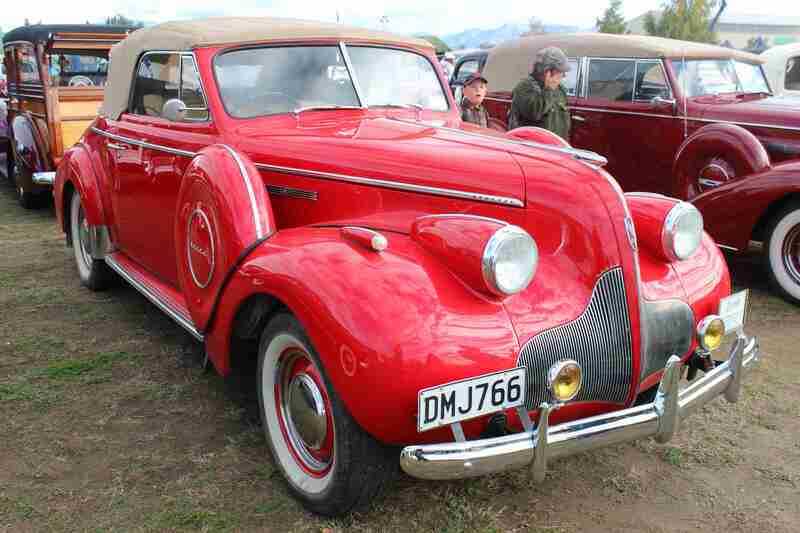 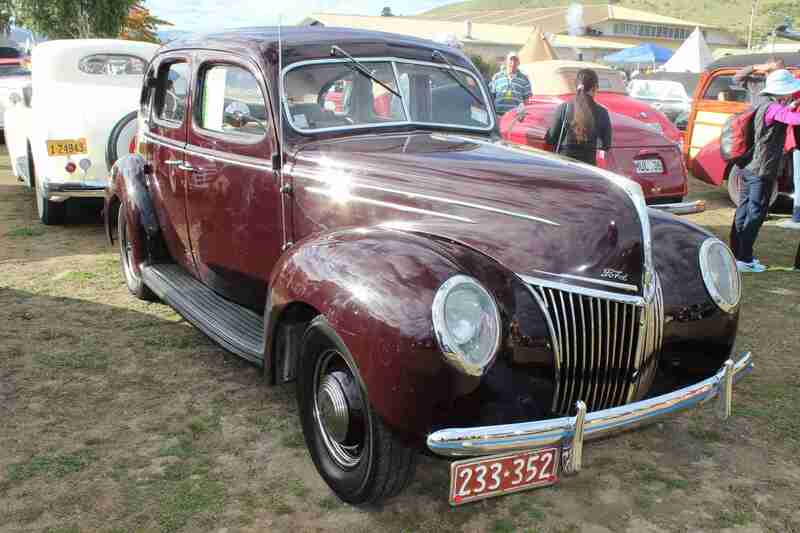 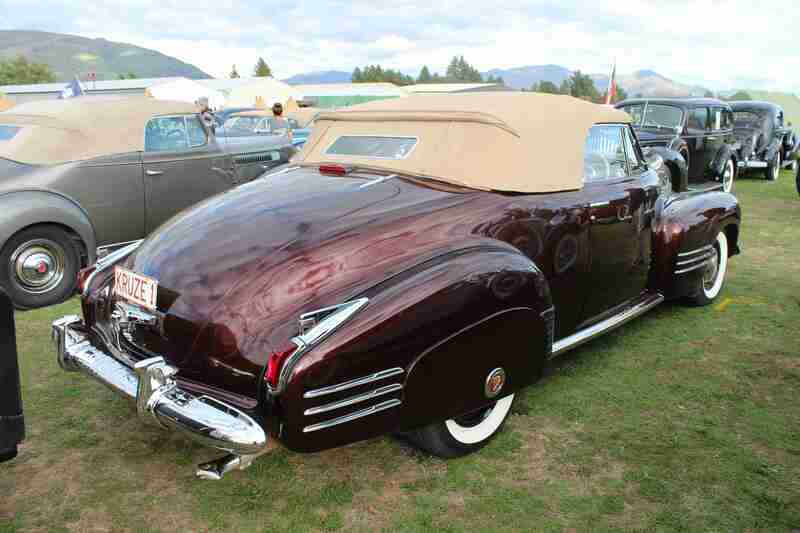 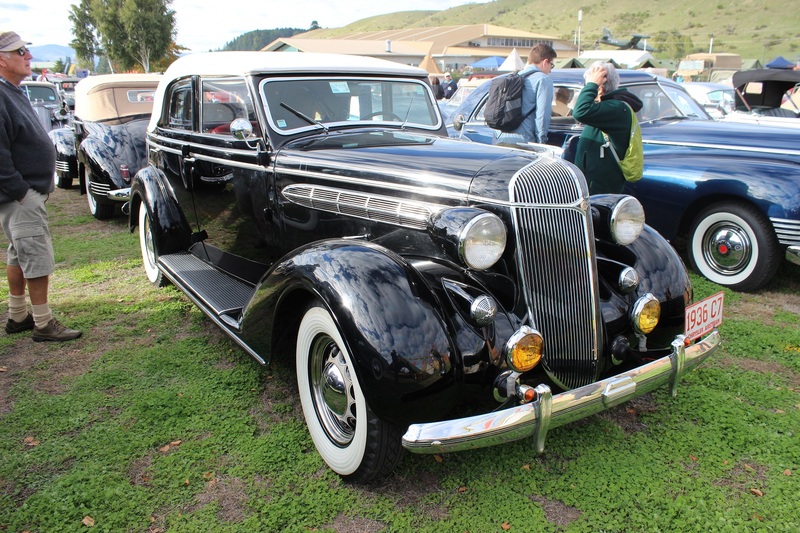 One interesting car was the following 1936 Chrysler Airstream. 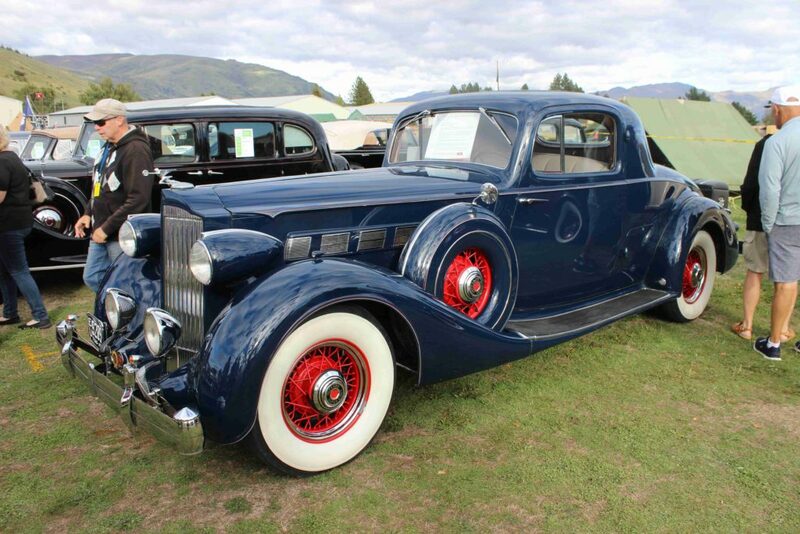 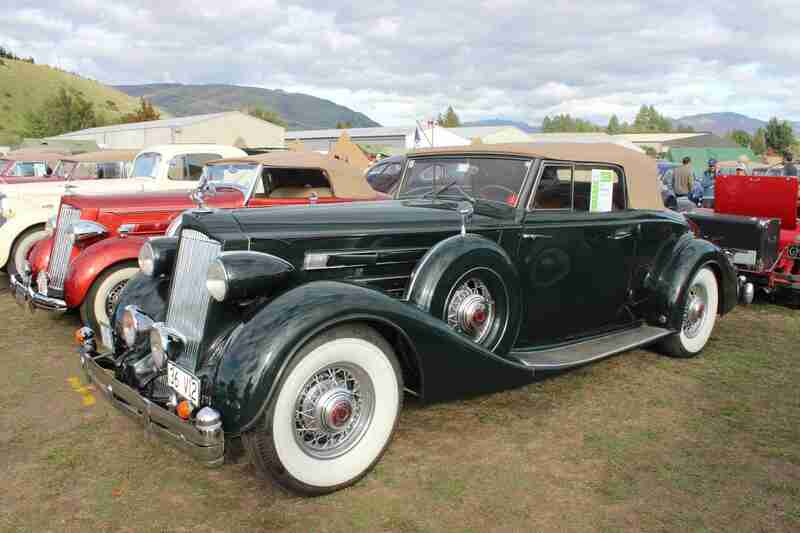 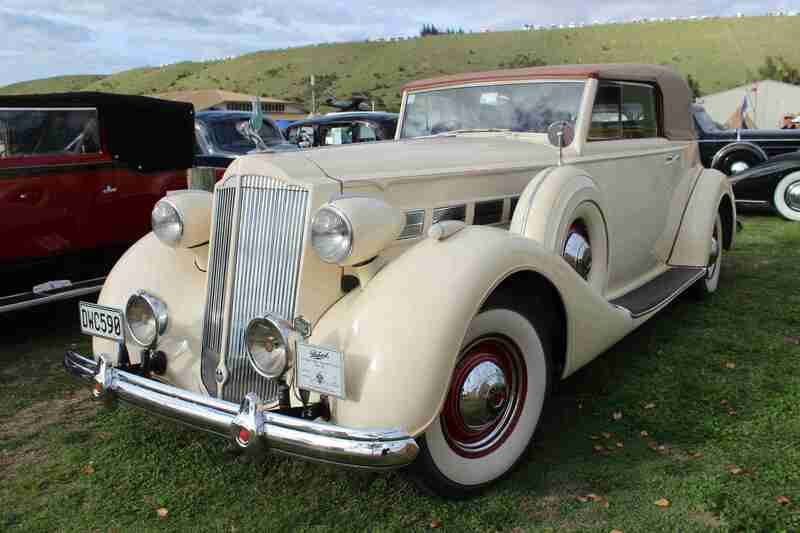 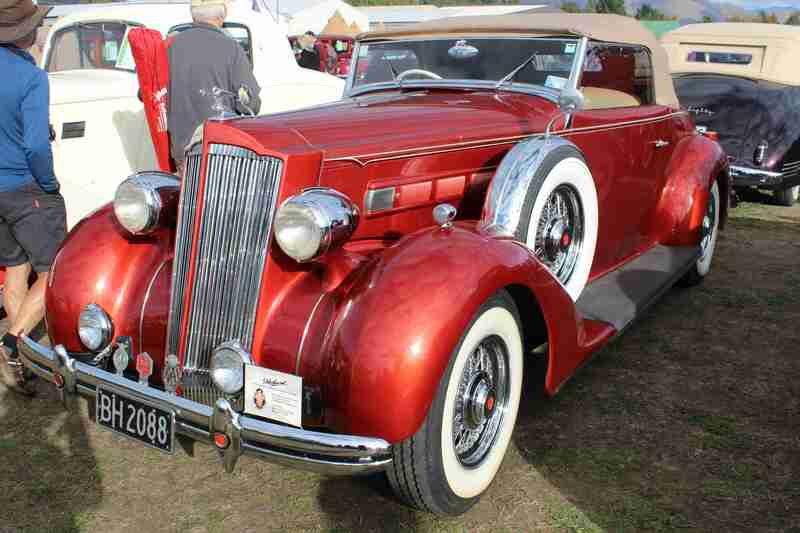 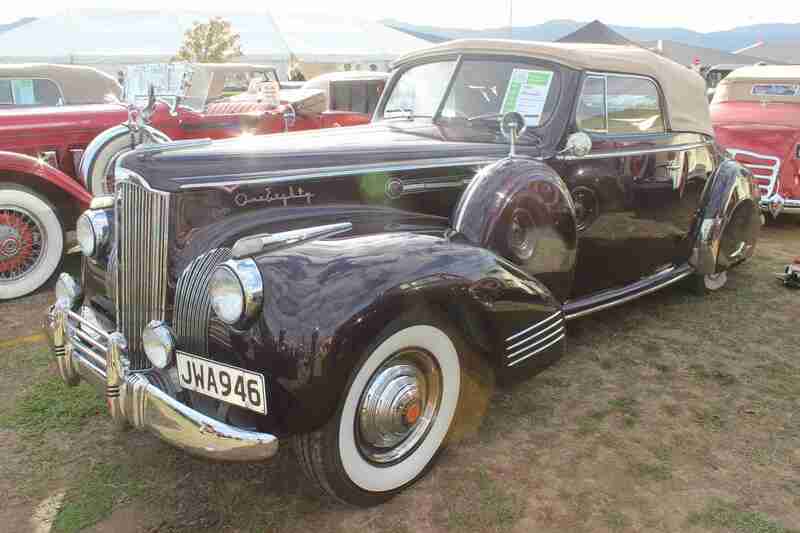 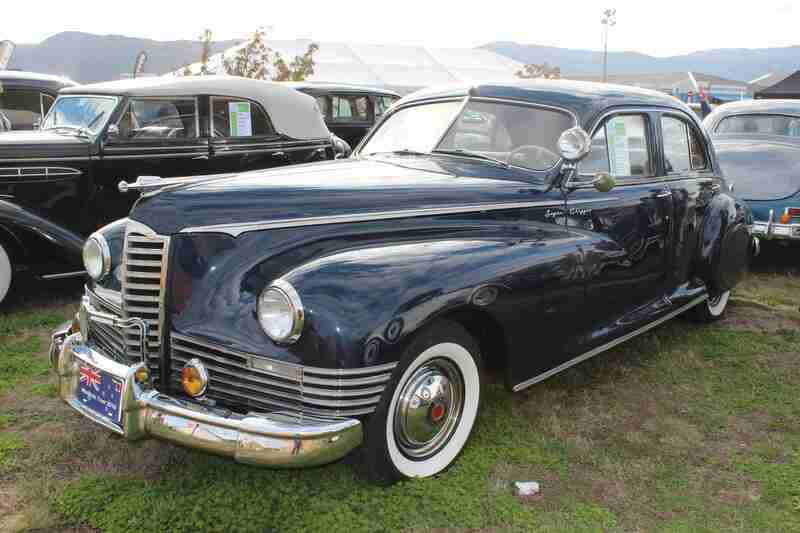 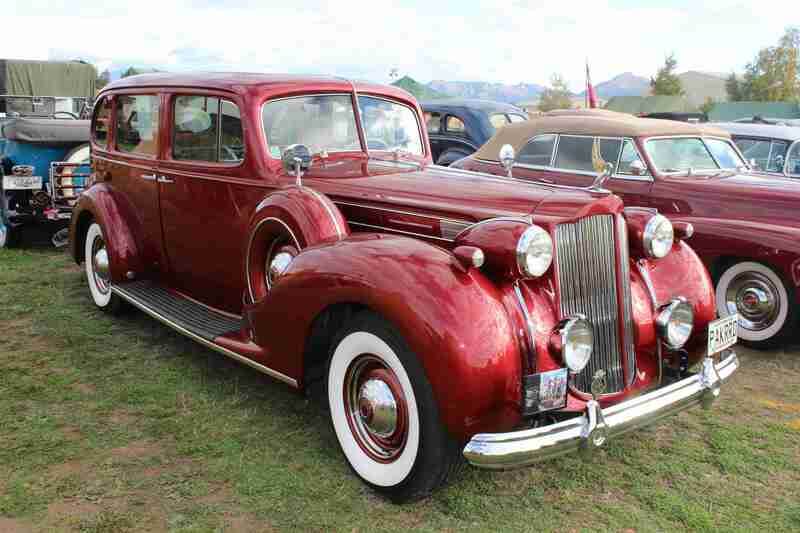 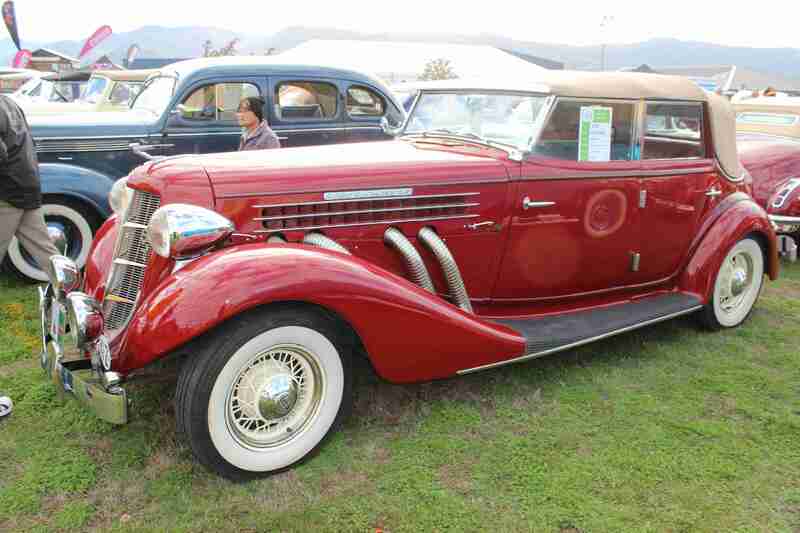 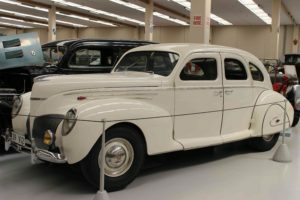 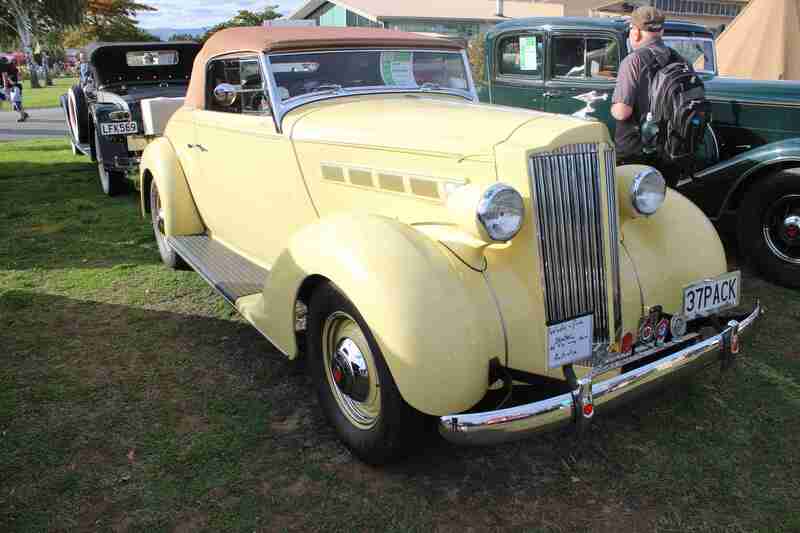 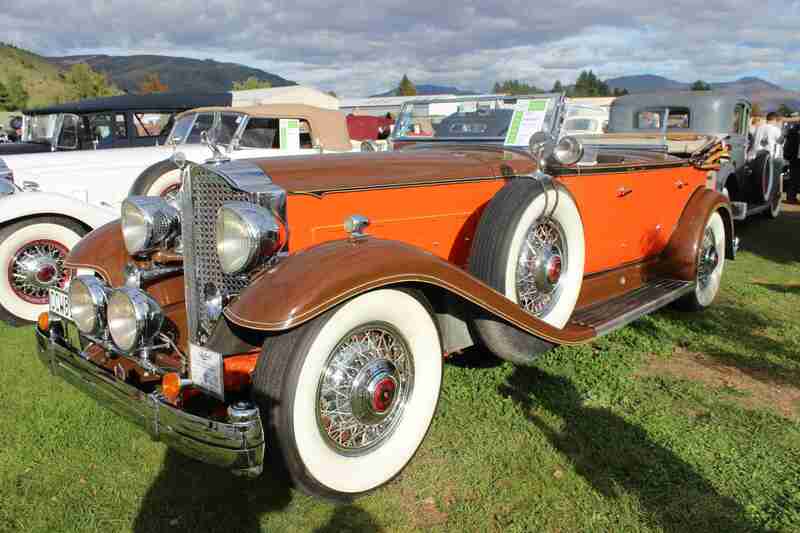 It would have been a car that competed against the luxury Packard brand back in the 1930s. 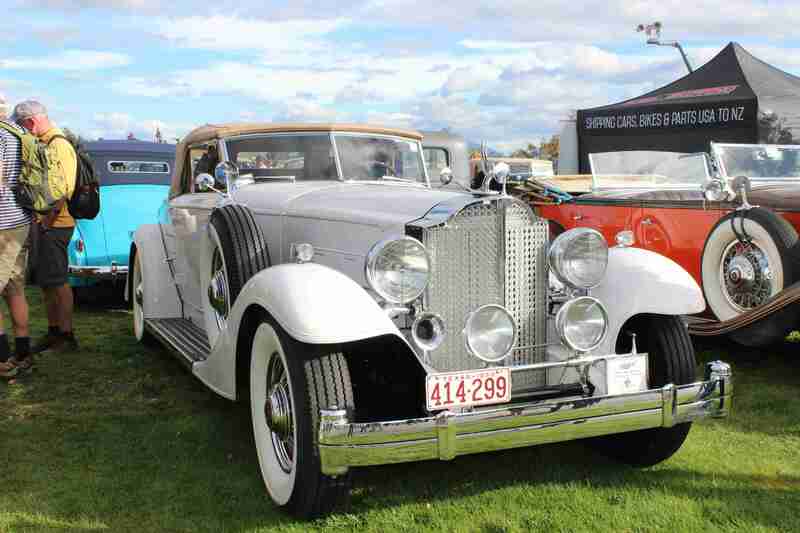 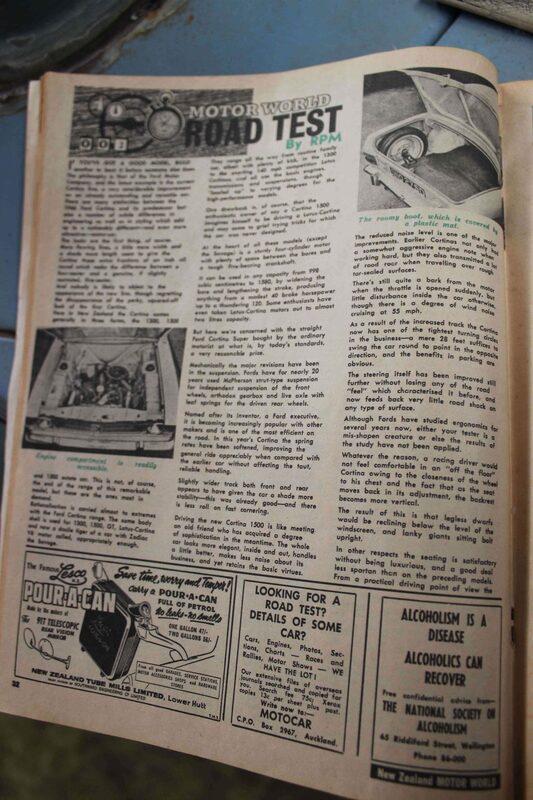 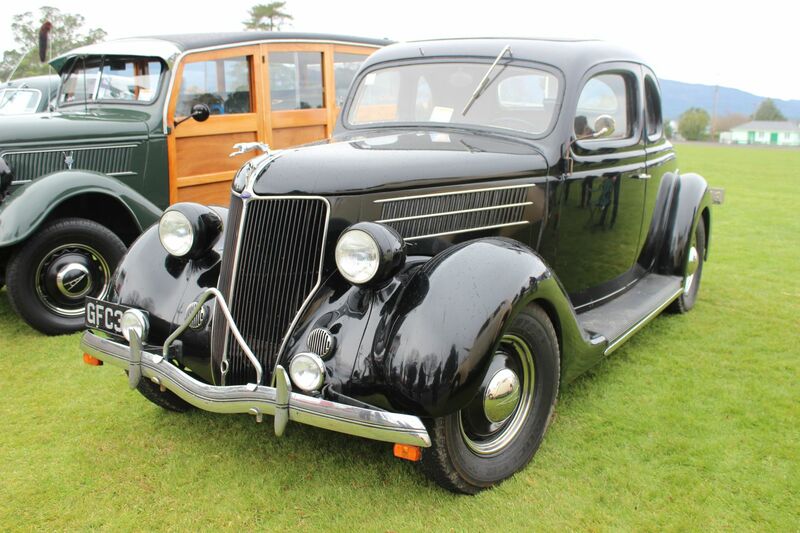 Appearances from brands such as Buick, Auburn, Ford, Cadillac, Lincoln, Cord & Railton made some good viewing too. 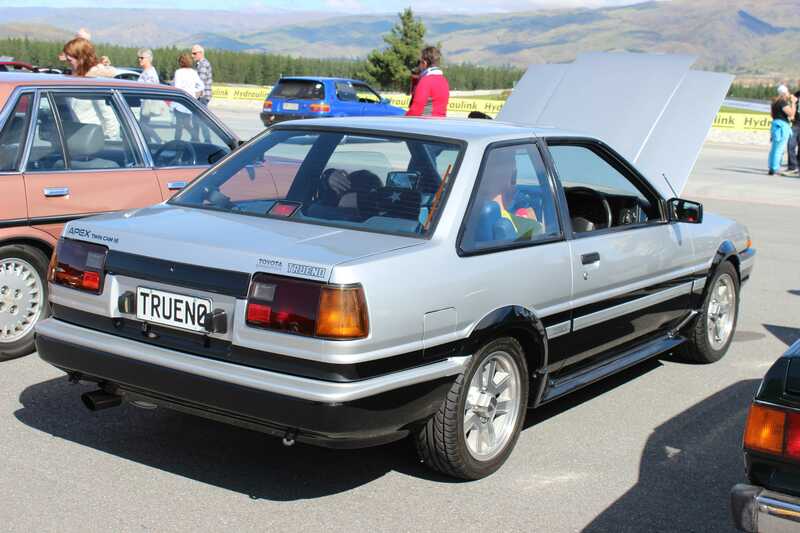 It’s the first time I’ve spotted imported cars sporting their original plates, which are their genuine registration plates. 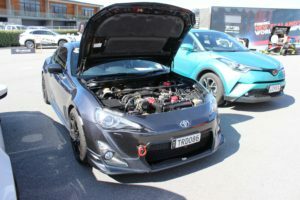 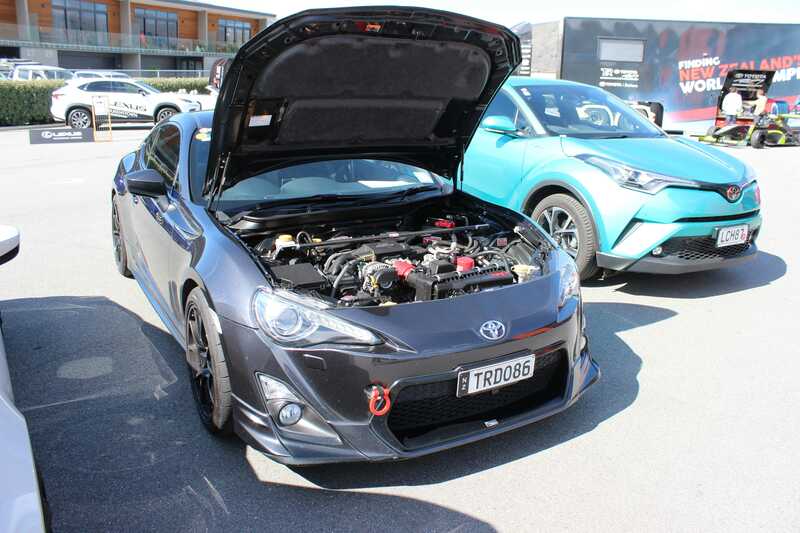 I’m not sure how these owners get on, as typically, unless the plate is a NZ-approved plate, you’re not supposed to run them on the car. 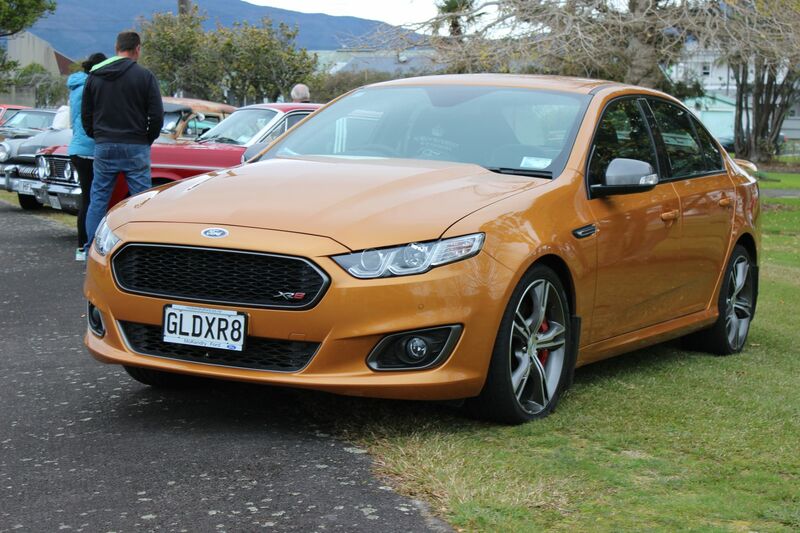 They’ve obviously paid for personalised plates & then just left the original ones on the car. I love the idea! From here, I wandered around the rest of the airfield, checking out the ground displays and looking at some of the aircraft that were flying in, out & performing stunts in the air. 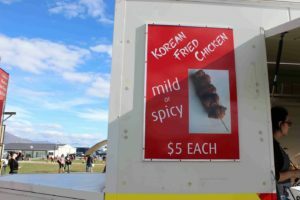 Stopping for a bite to eat, I had some KFC (Korean Fried Chicken). 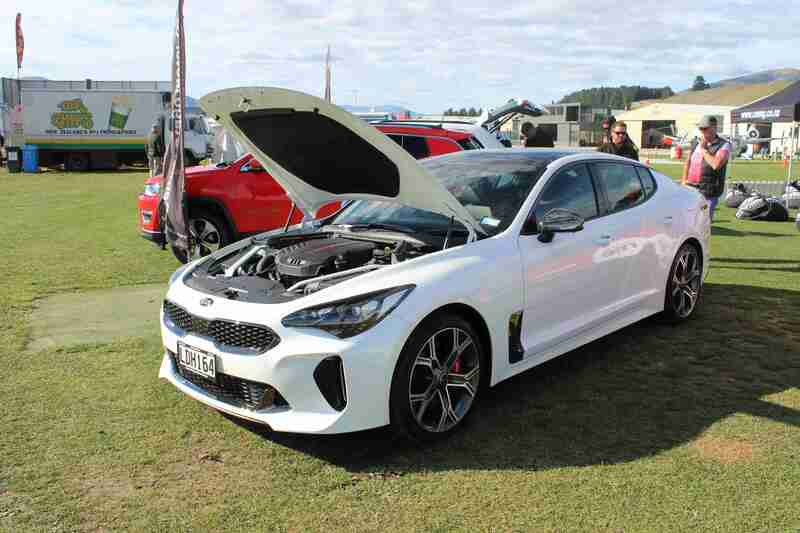 The new Kia Stinger GT was on display and was looking menacing in white. Need to get myself a drive of this new car. 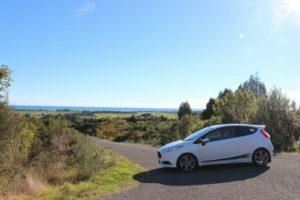 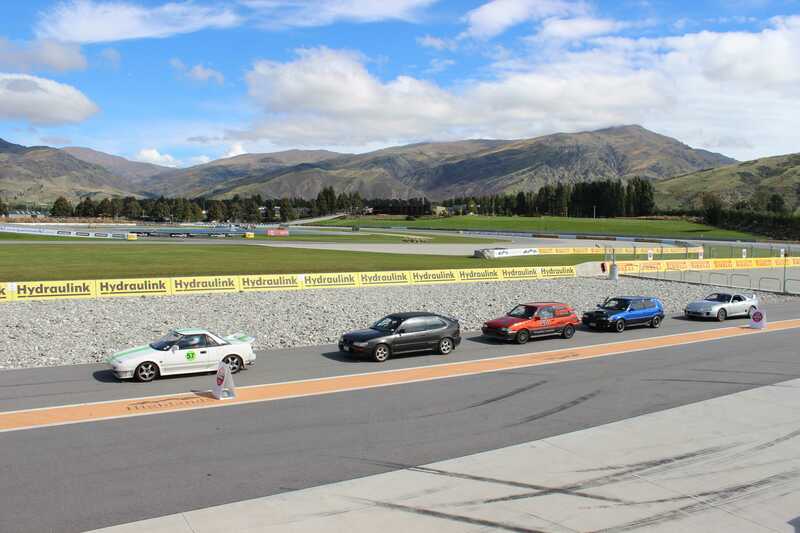 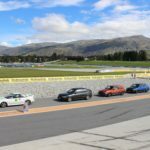 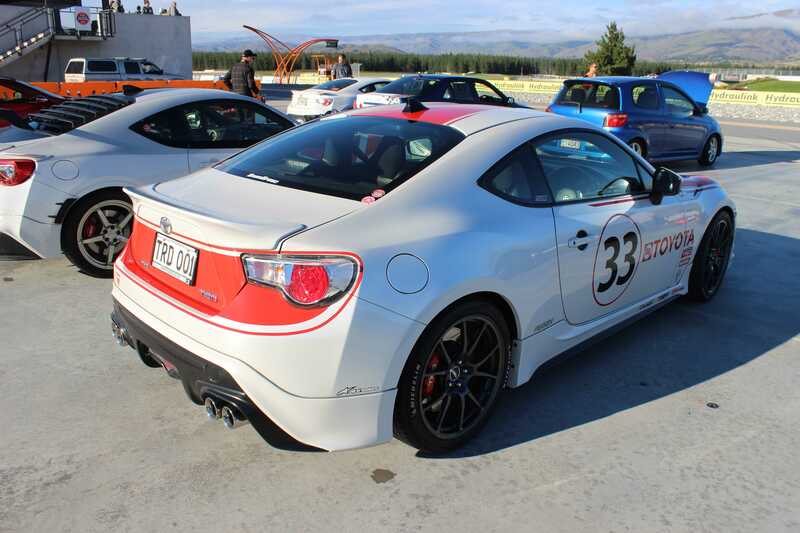 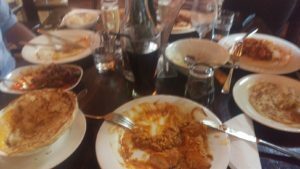 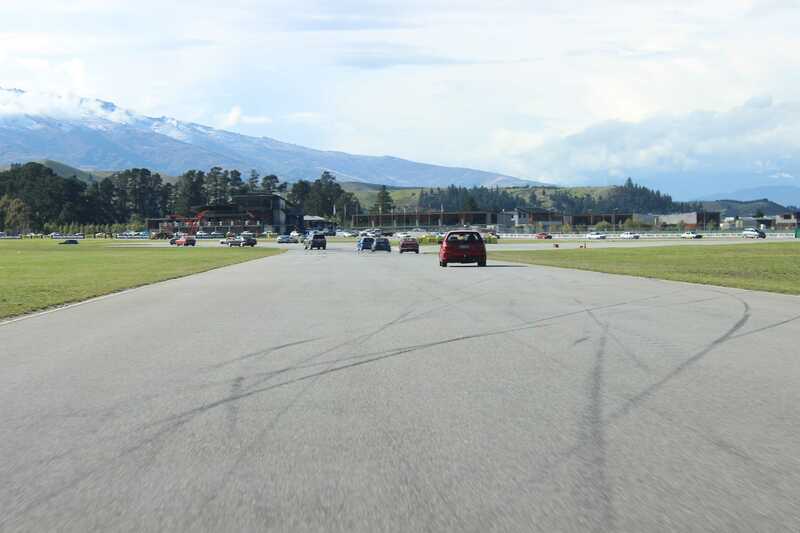 With lunch completed and having looked over everything of interest, I had an enjoyable drive in the ST back to Invercargill.